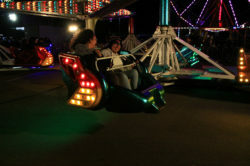 Home Tags Articles tagged with "Masik Tas"
Ak-Chin Indian Community has hosted a carnival this weekend as part of Masik Tas, and the rides continue Sunday starting at noon. 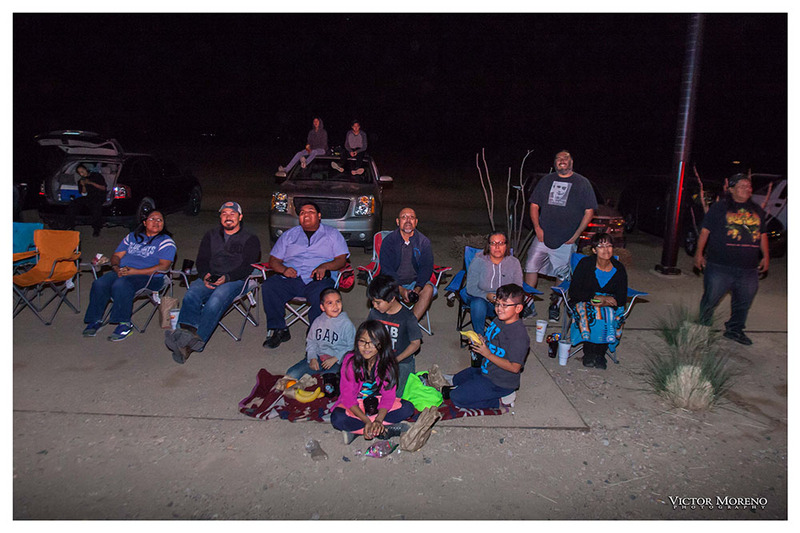 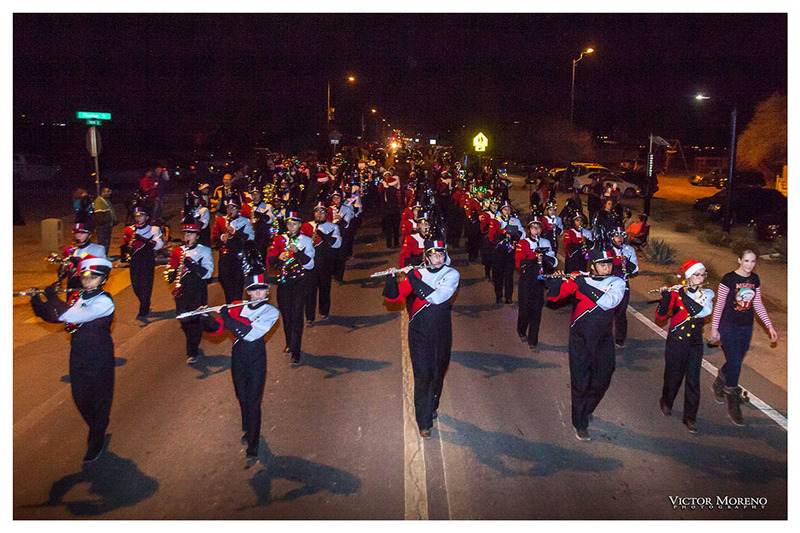 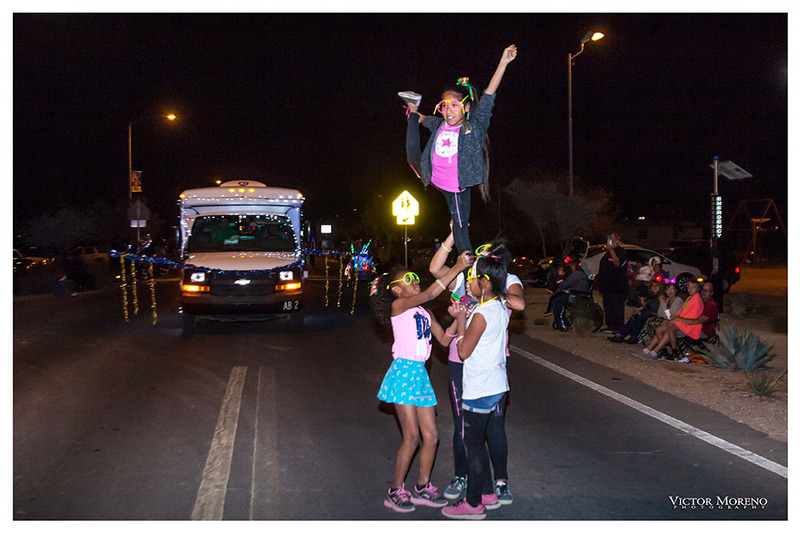 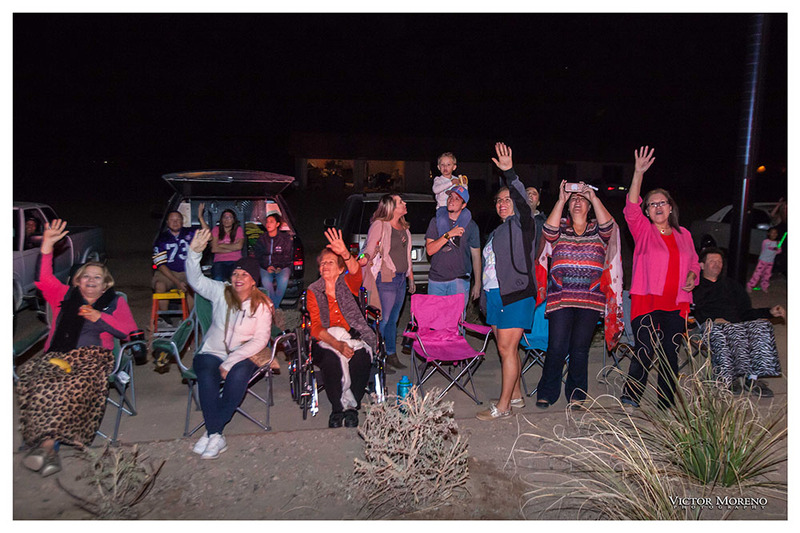 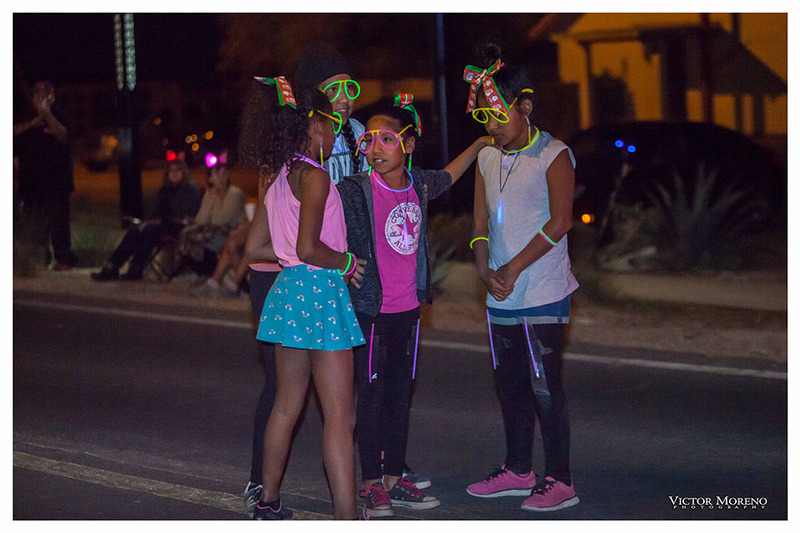 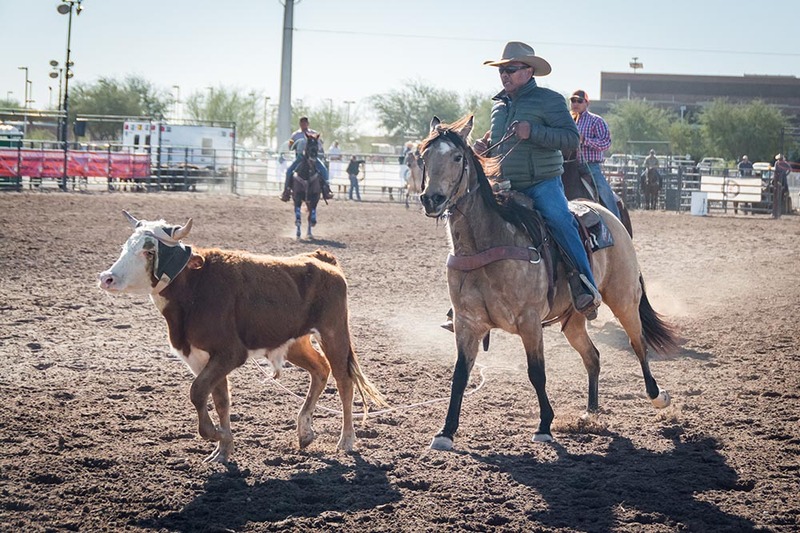 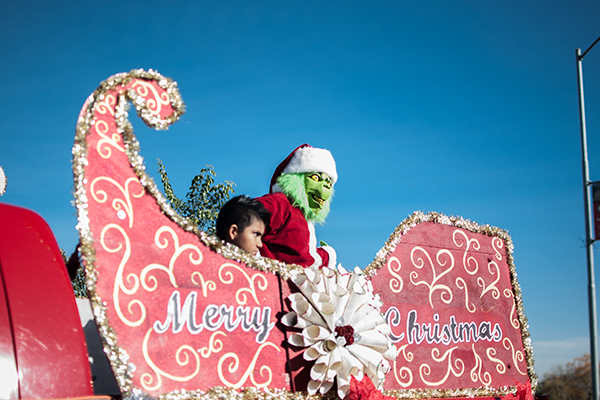 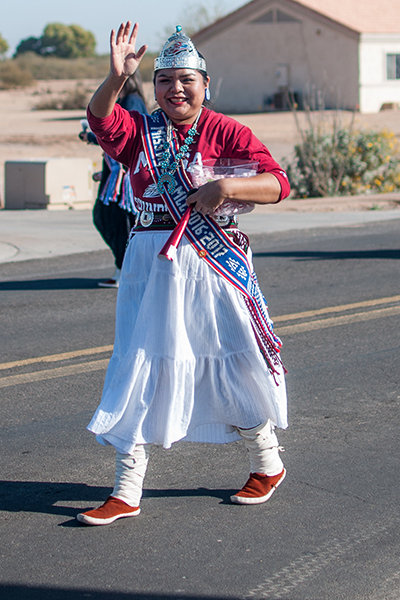 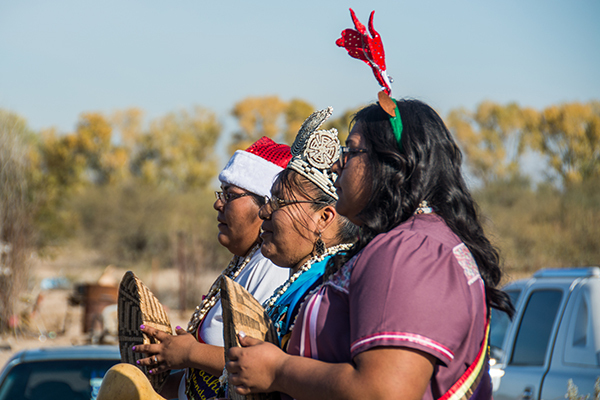 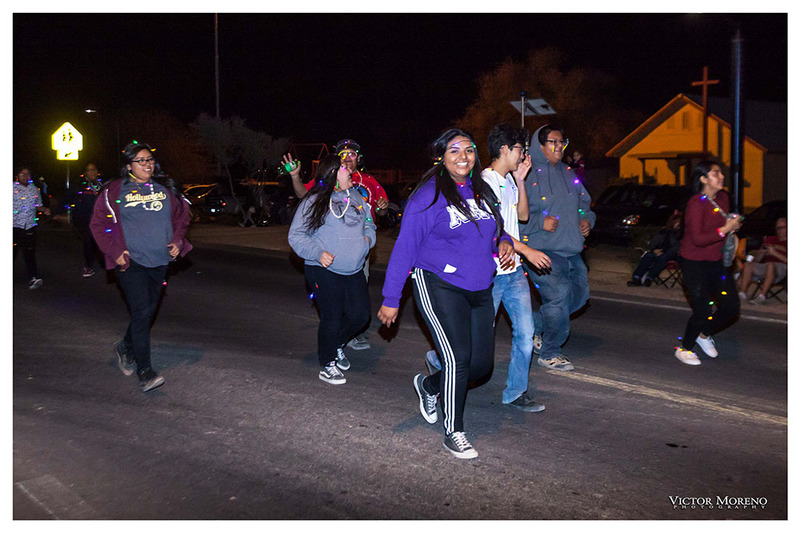 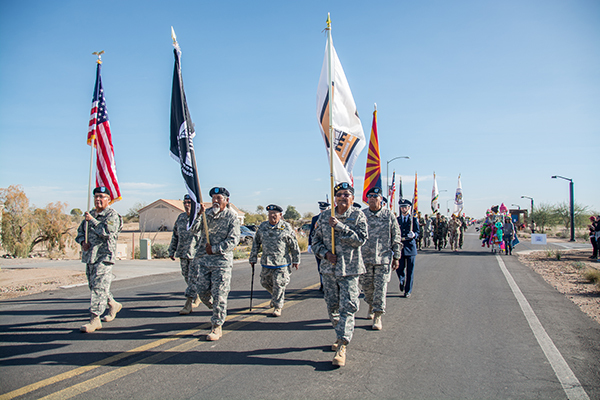 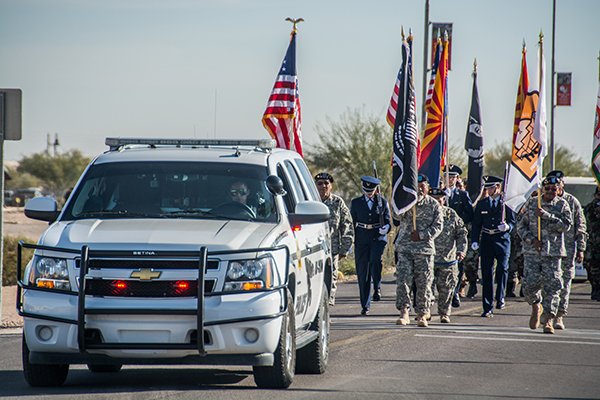 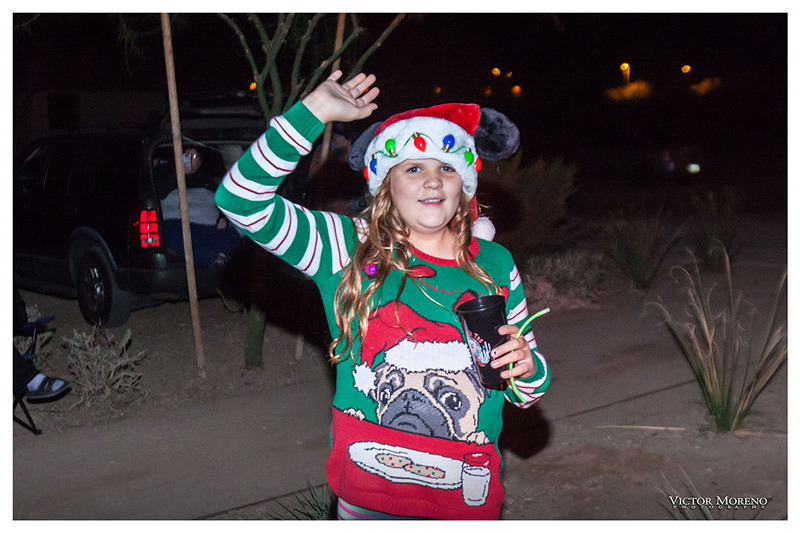 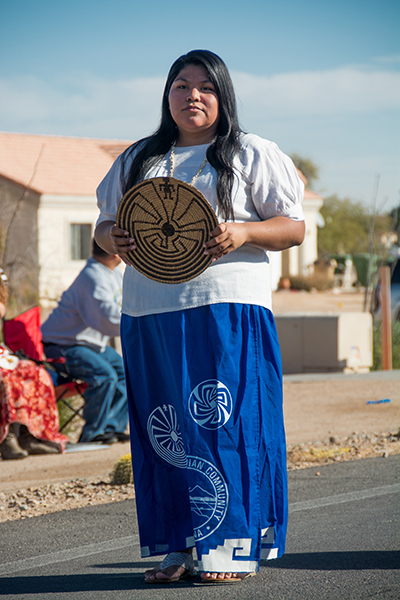 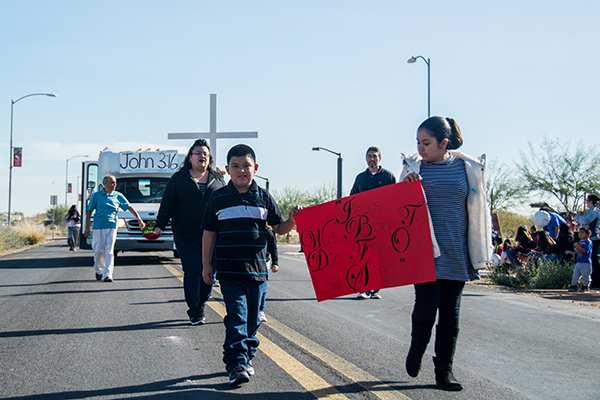 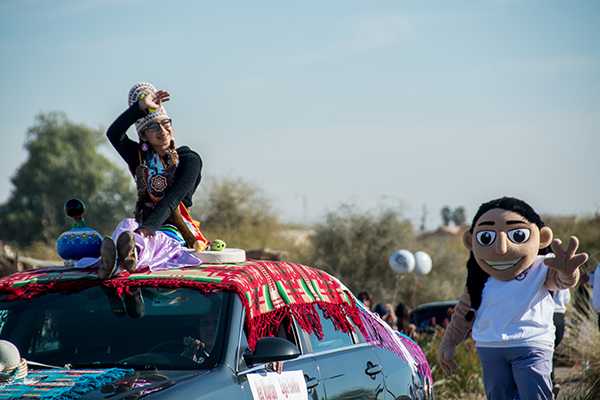 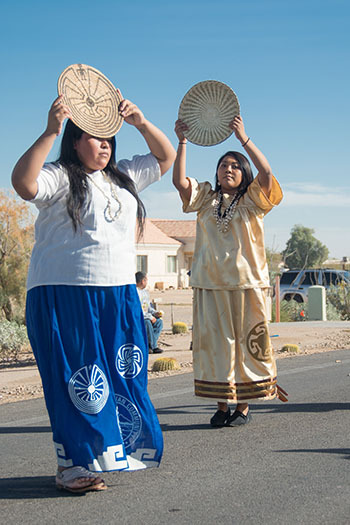 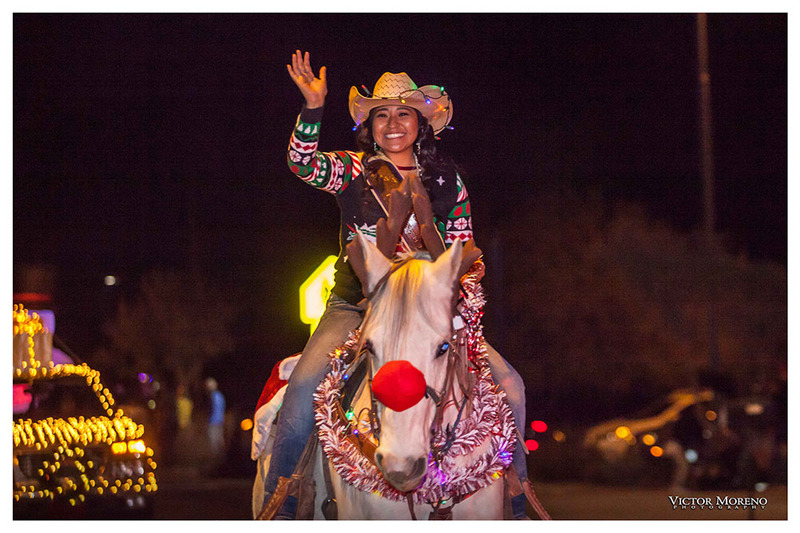 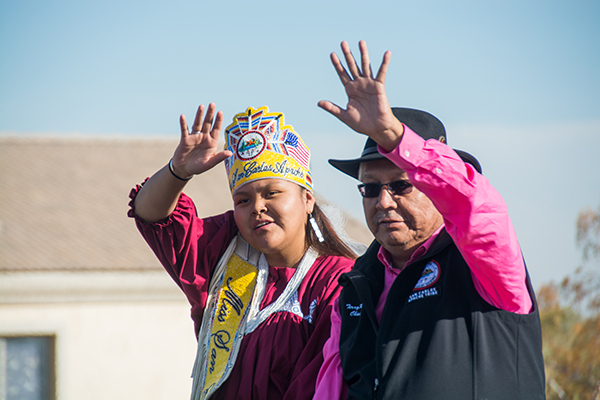 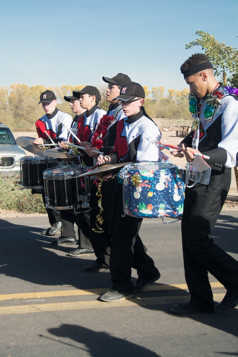 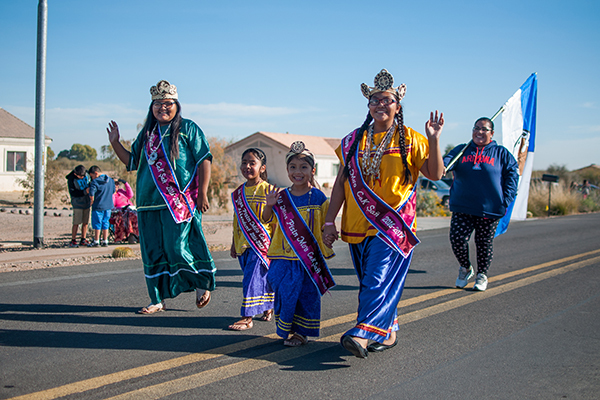 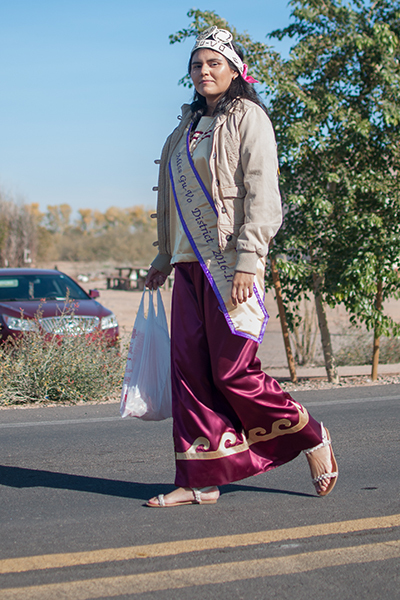 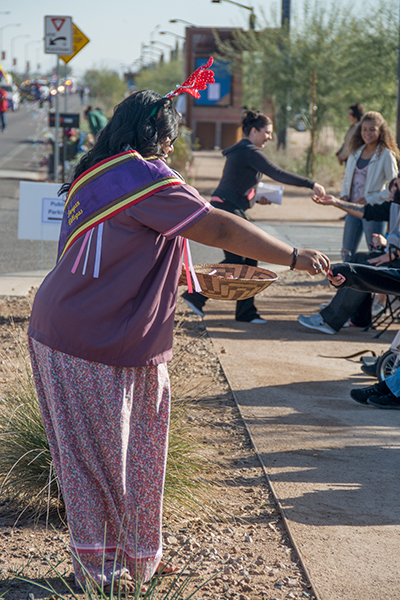 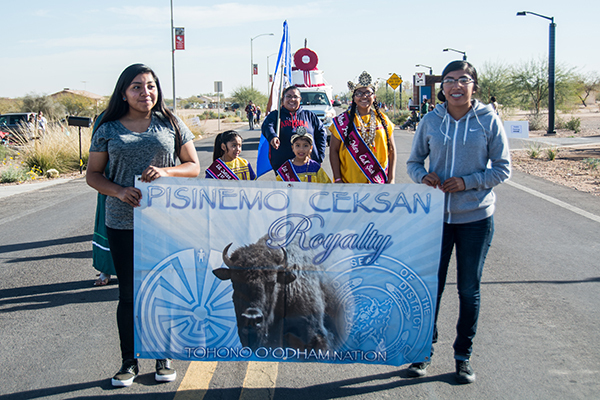 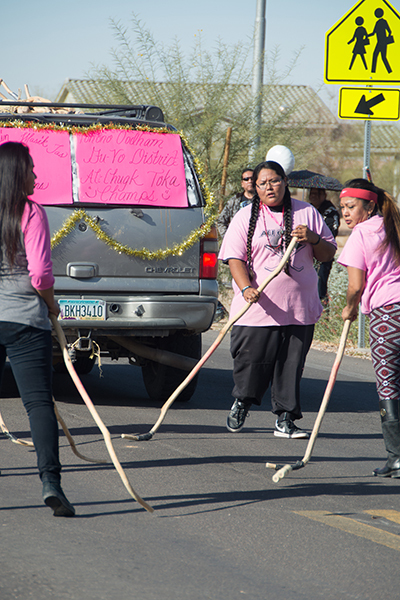 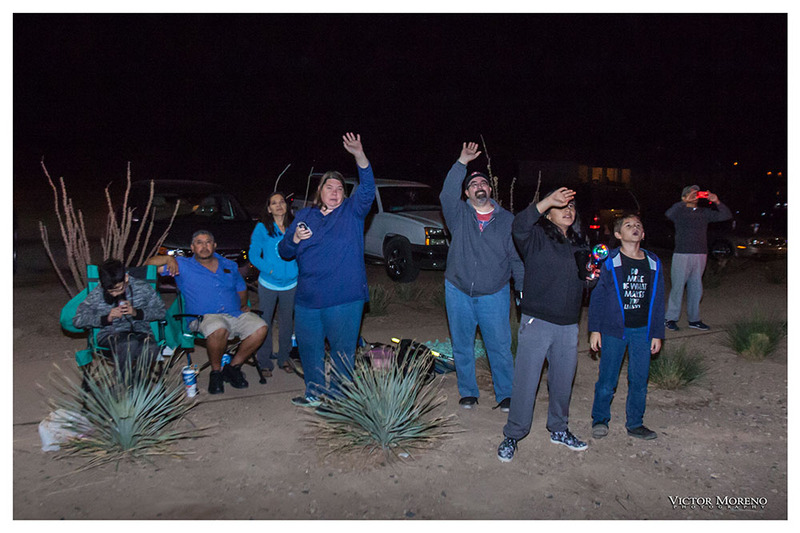 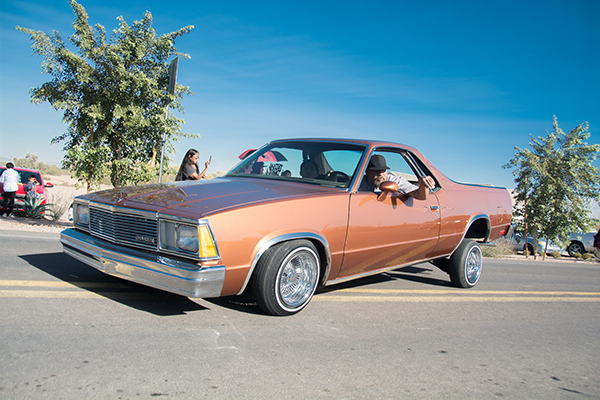 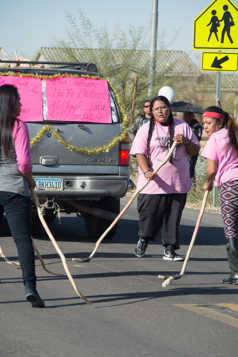 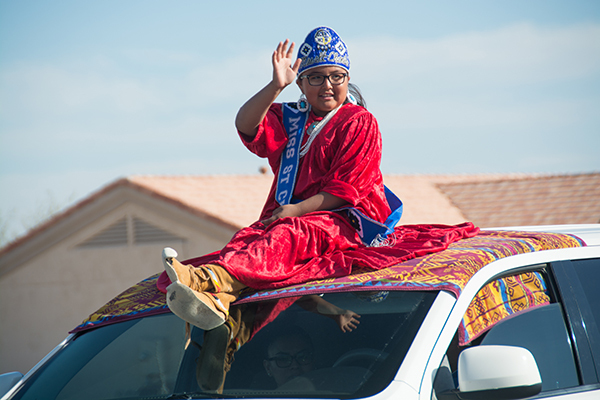 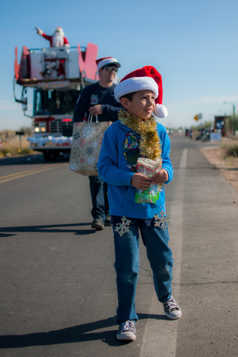 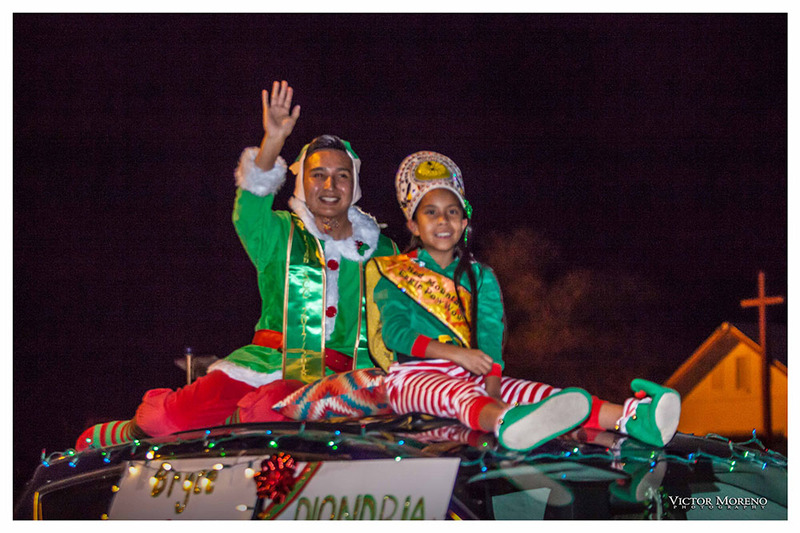 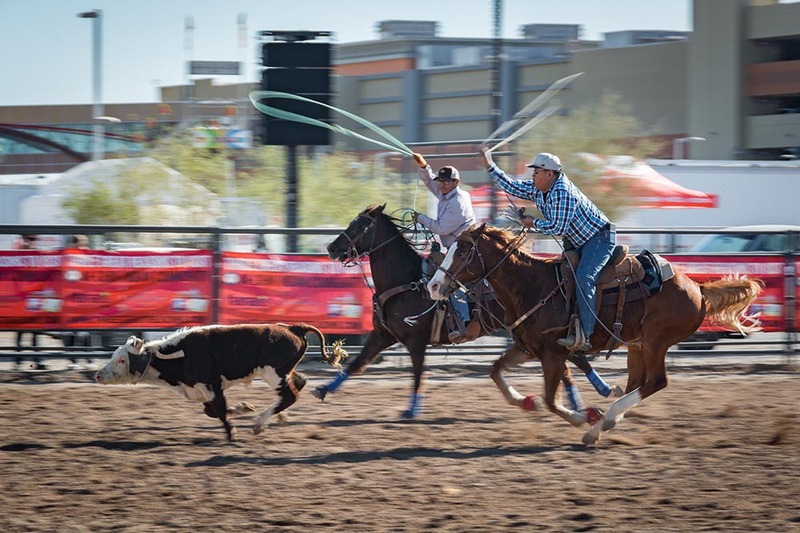 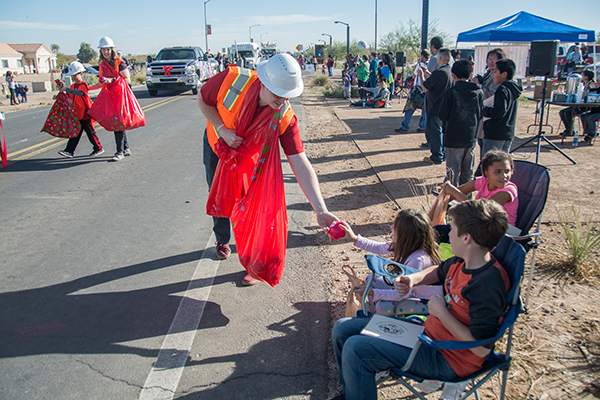 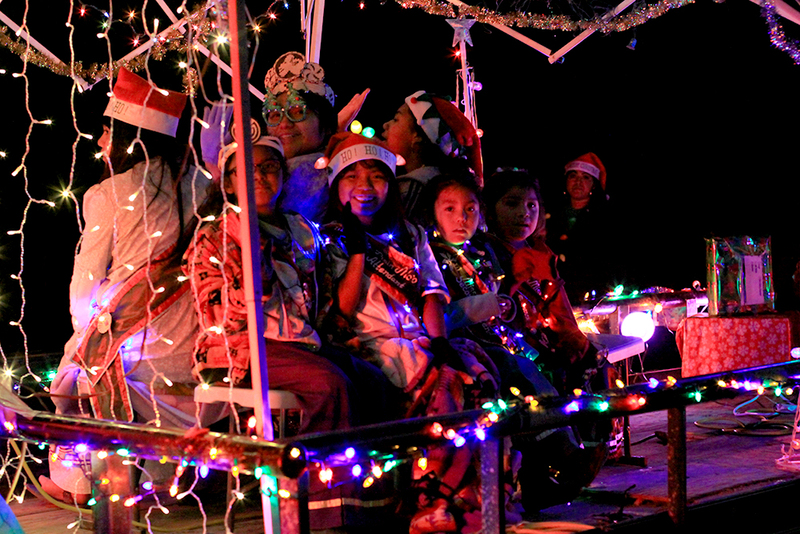 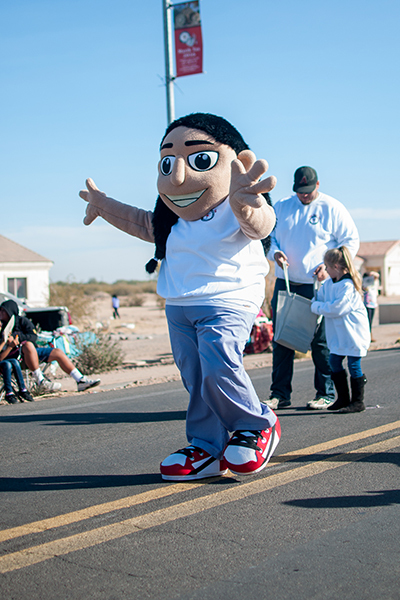 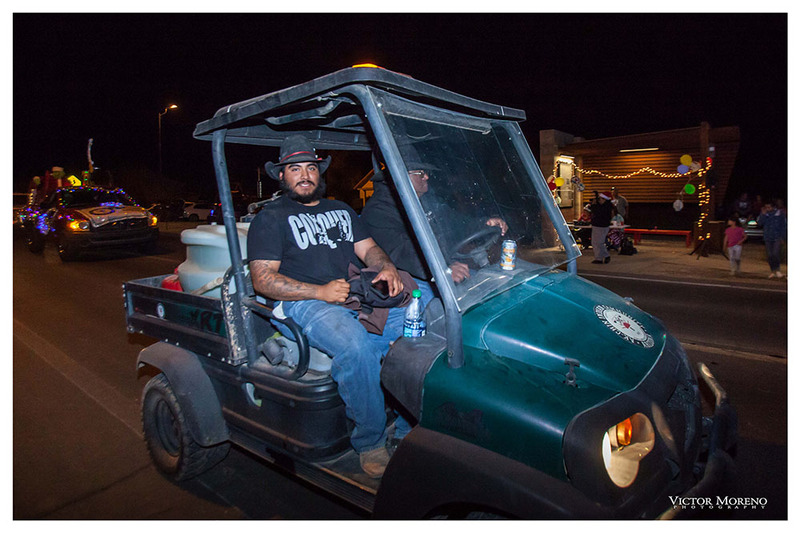 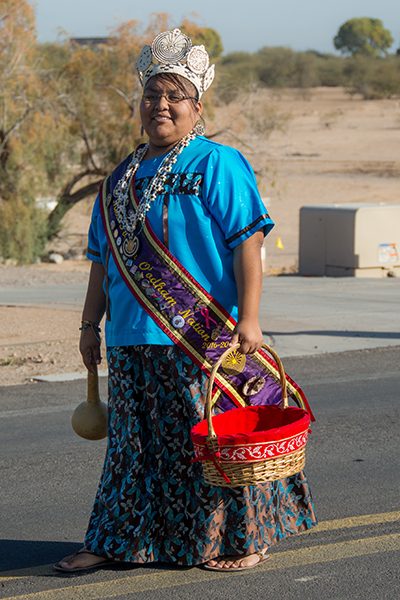 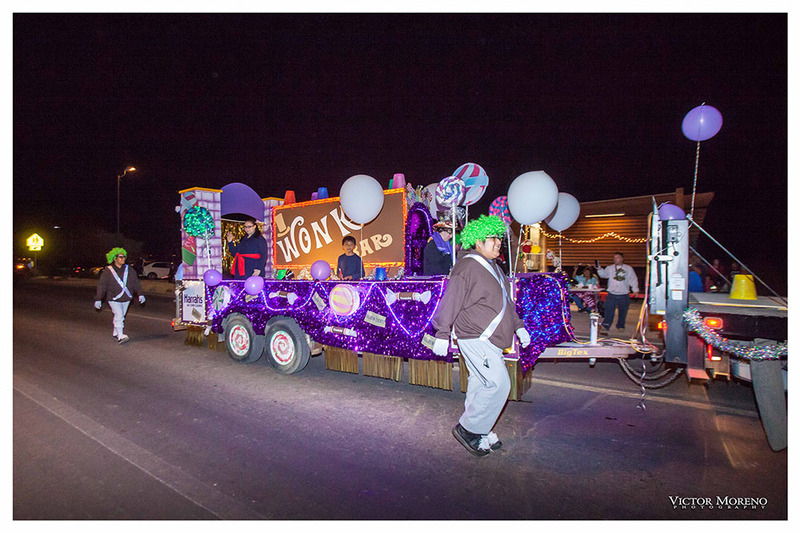 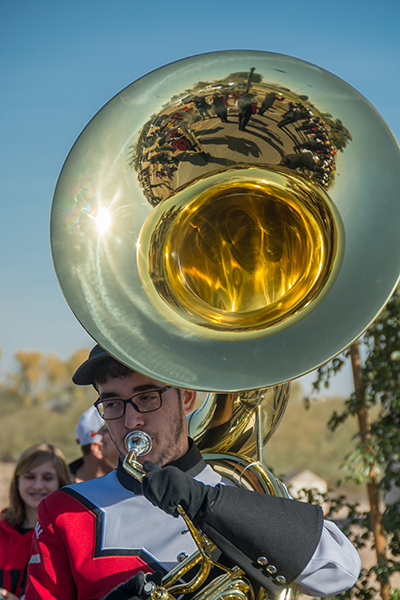 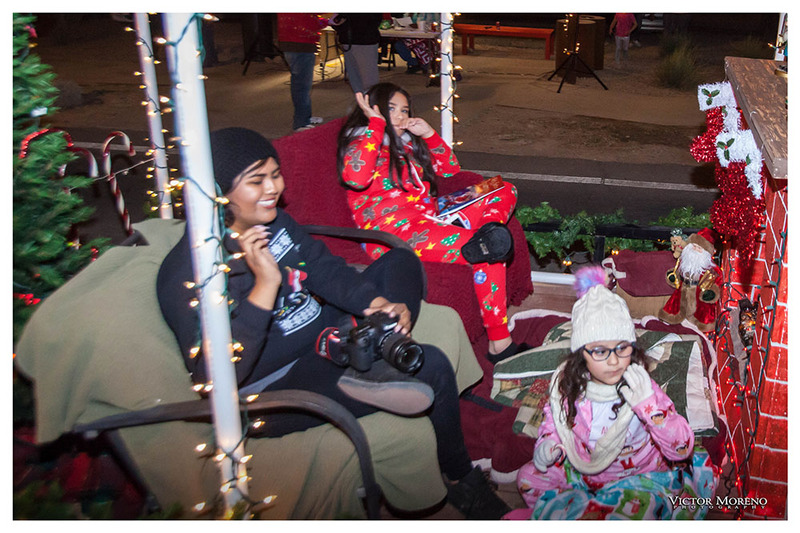 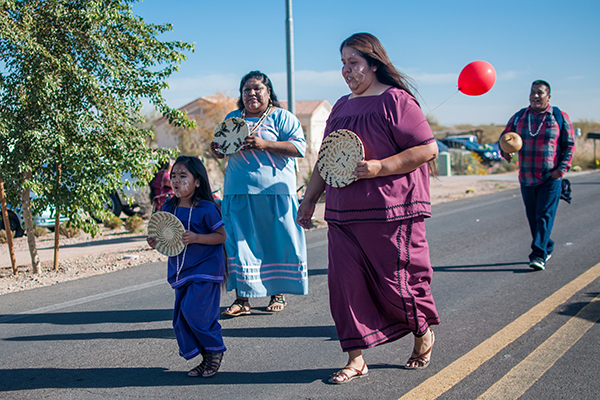 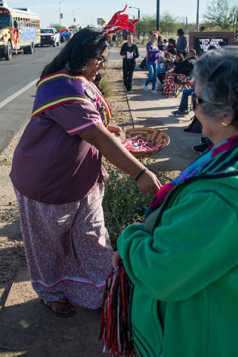 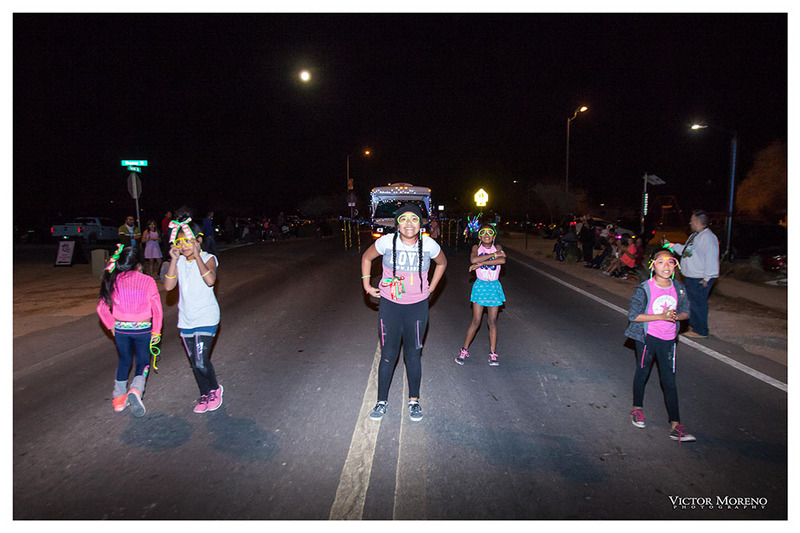 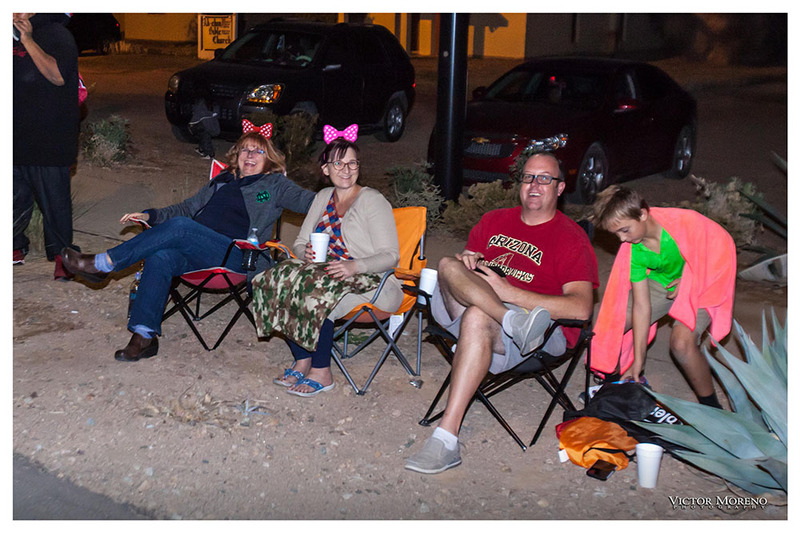 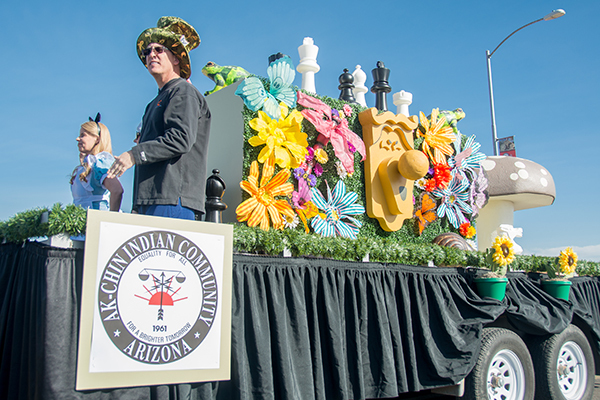 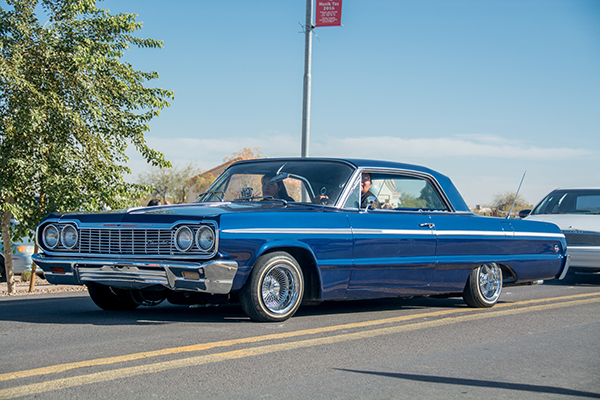 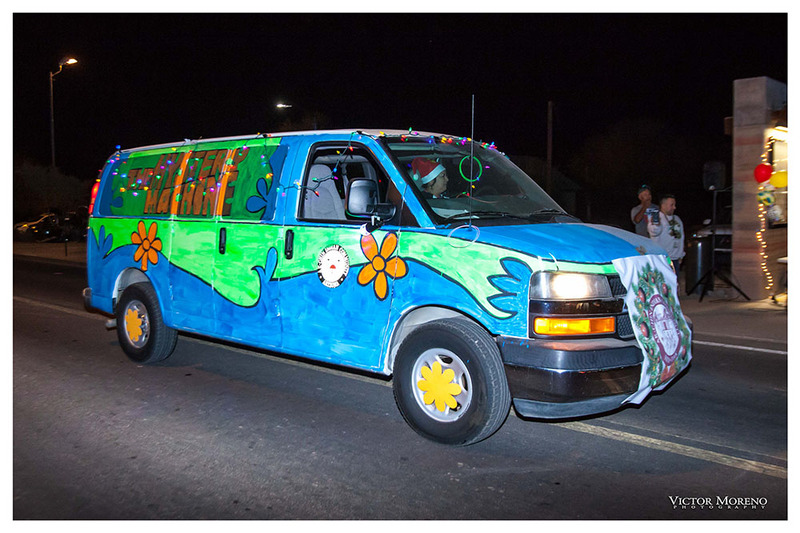 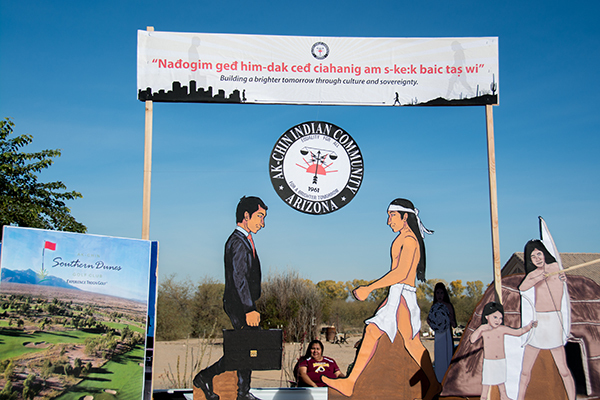 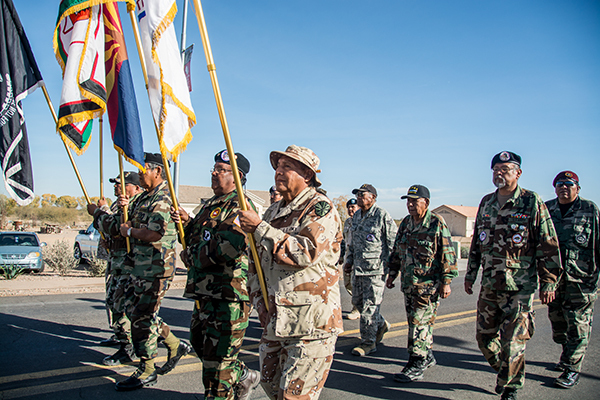 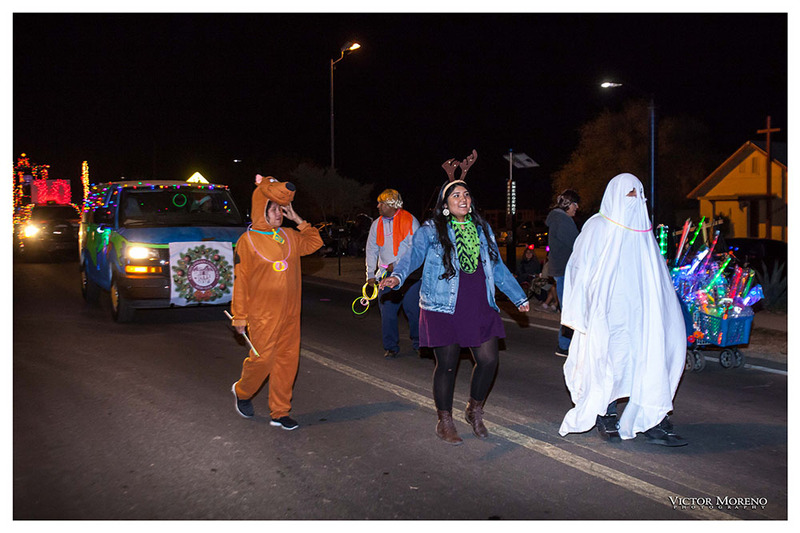 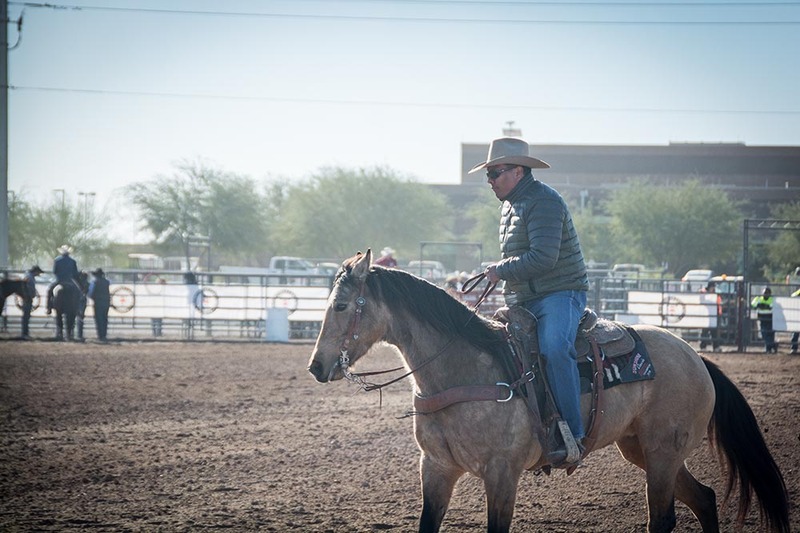 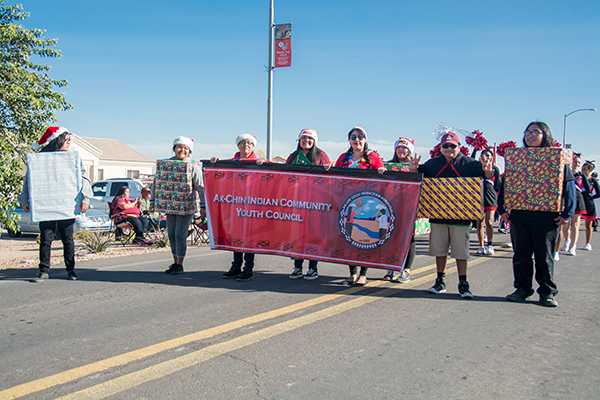 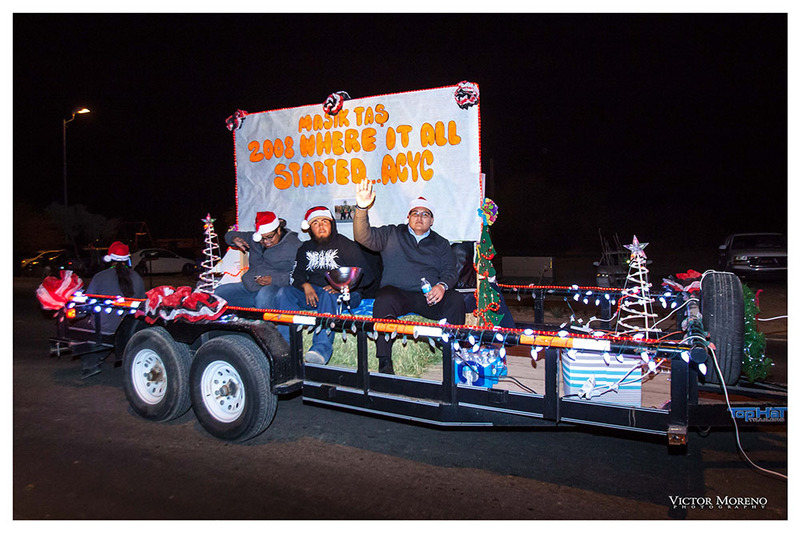 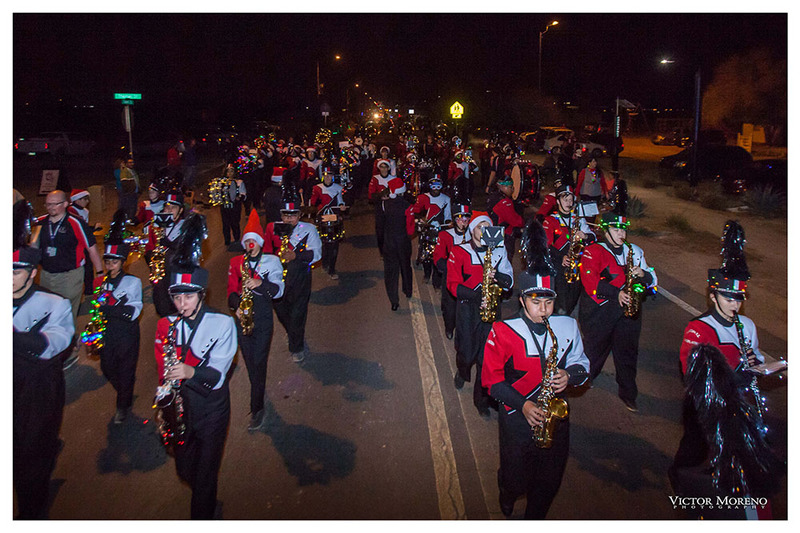 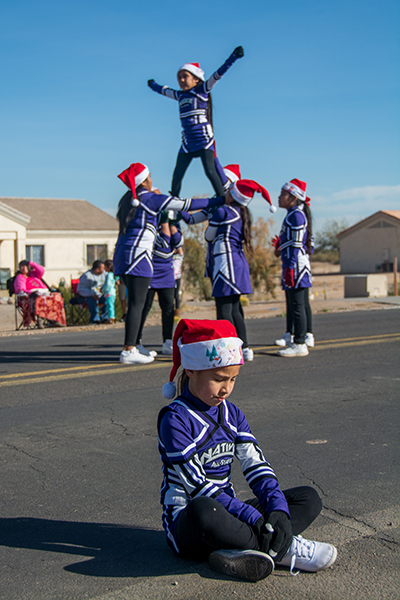 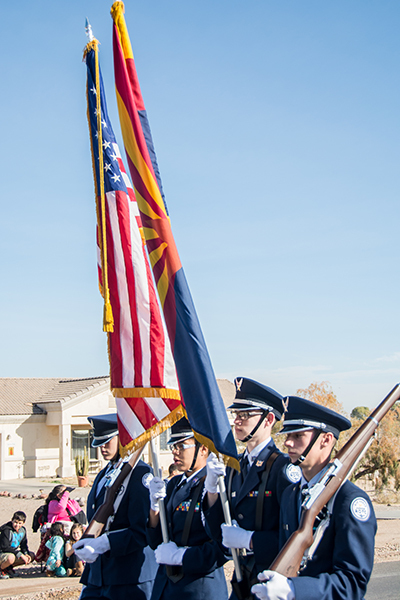 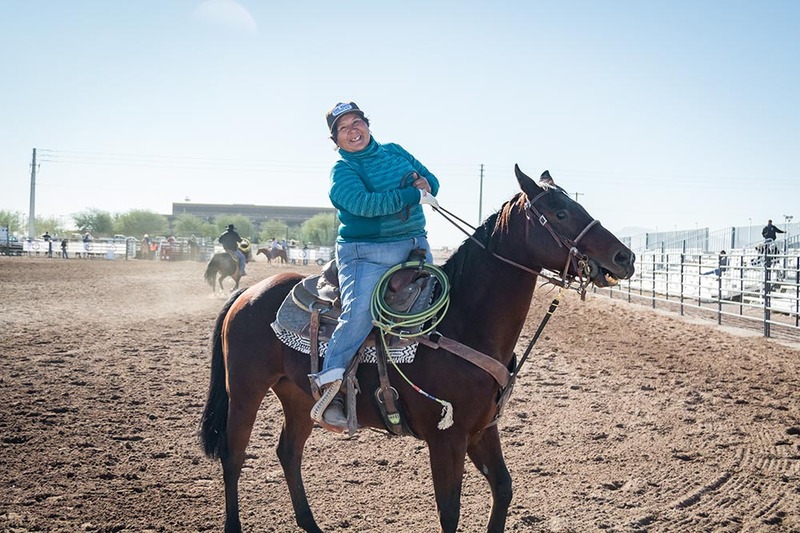 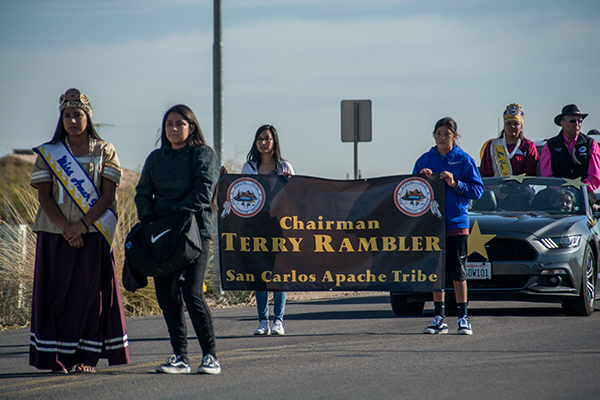 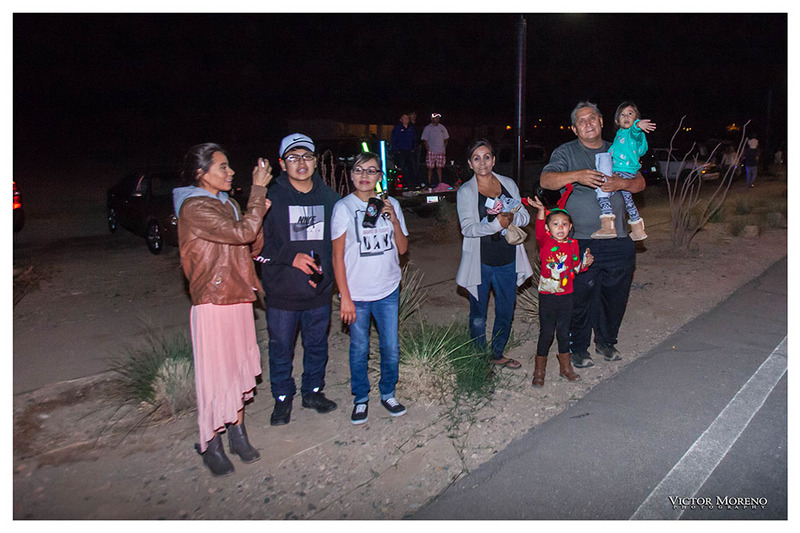 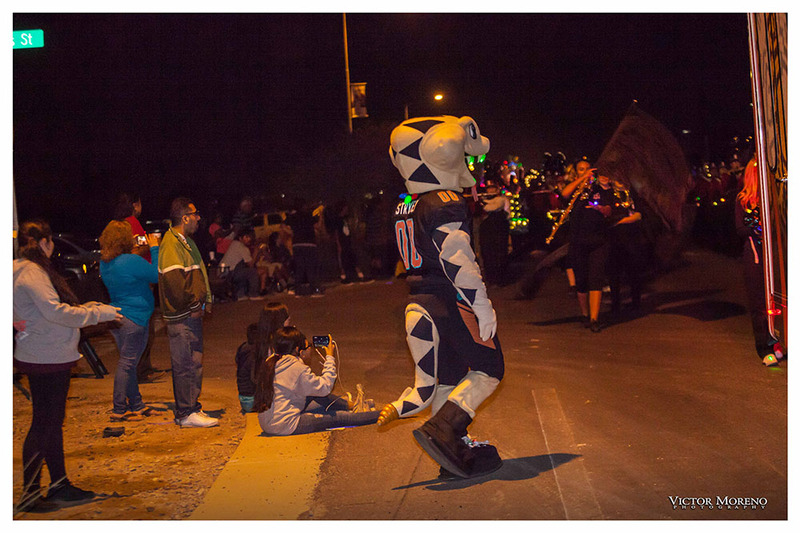 December marks a yearly celebration for the Ak-Chin Indian Community, where Maricopa’s longtime neighbors welcome the public to partake in various free events over two weekends. 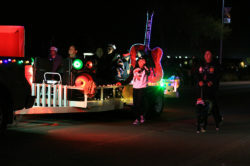 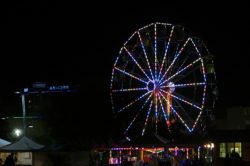 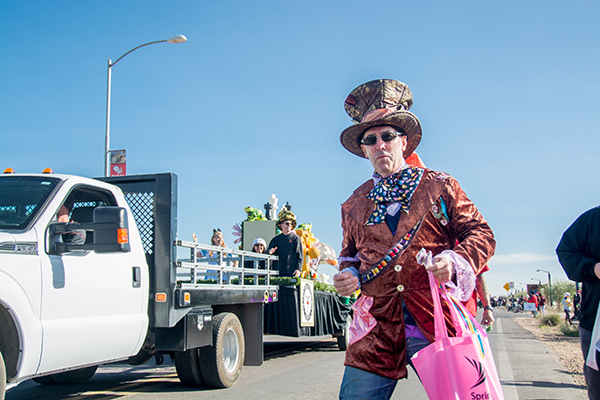 The Masik Tas celebration, now in its 11th year, is known for its headlining concert acts, the crowd-drawing carnival, electric light parade, cultural dances and rodeos. 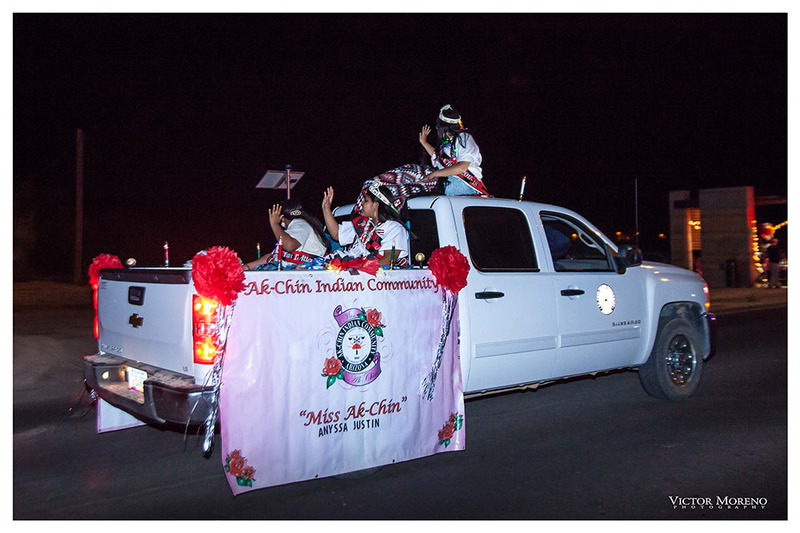 The events celebrate the formal recognition of the Ak-Chin Indian Community and its government. 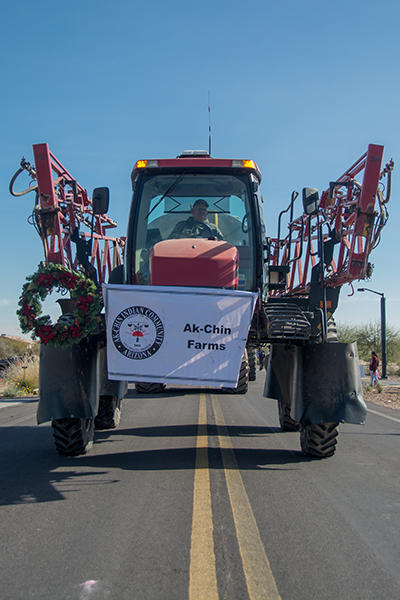 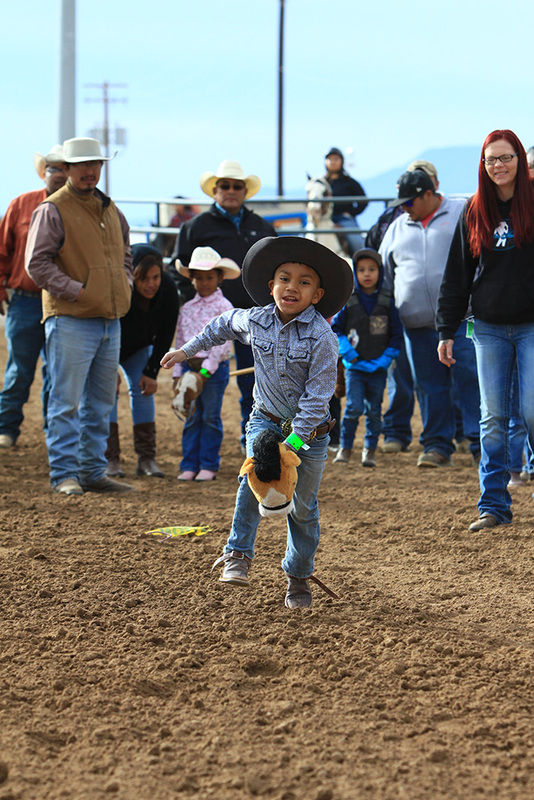 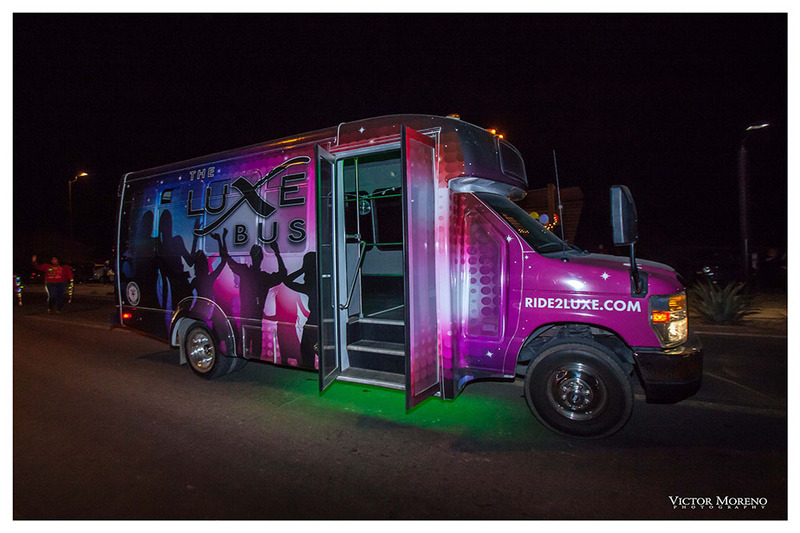 “This is our early birthday present and Christmas gift to the public, so come out and participate with us and have some fun,” said Robert Miguel, chairman of the Ak-Chin Indian Community. 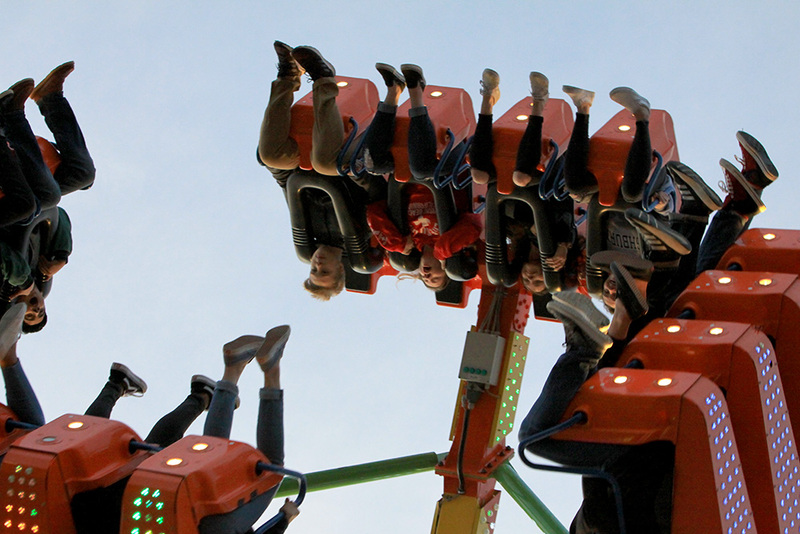 Cultural entertainment, sporting events and a parade return to Masik Tas with a lineup that spans a weekend filled with music, dance and fair ride thrills. Maricopa resident Elena Reinhardt looks forward every year to hearing Ak-Chin’s announcement of their next musical act. 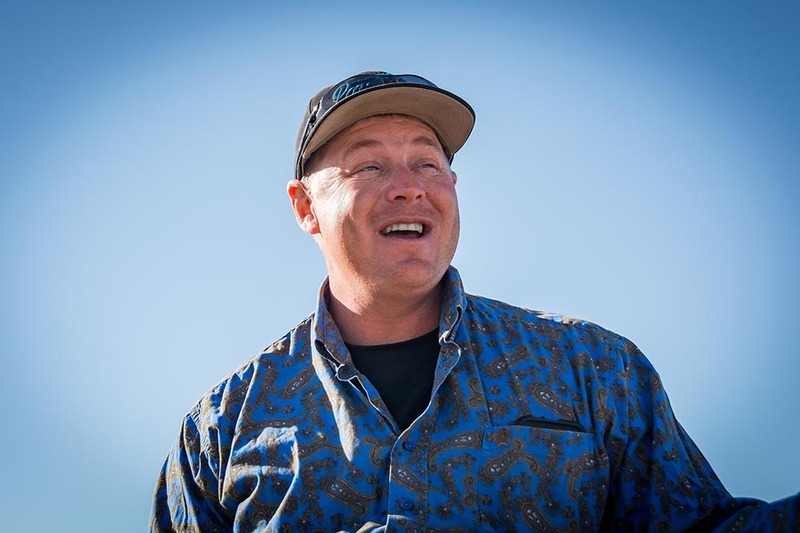 “Gin Blossoms is one of my favorites, so I will definitely be there,” Reinhardt said. 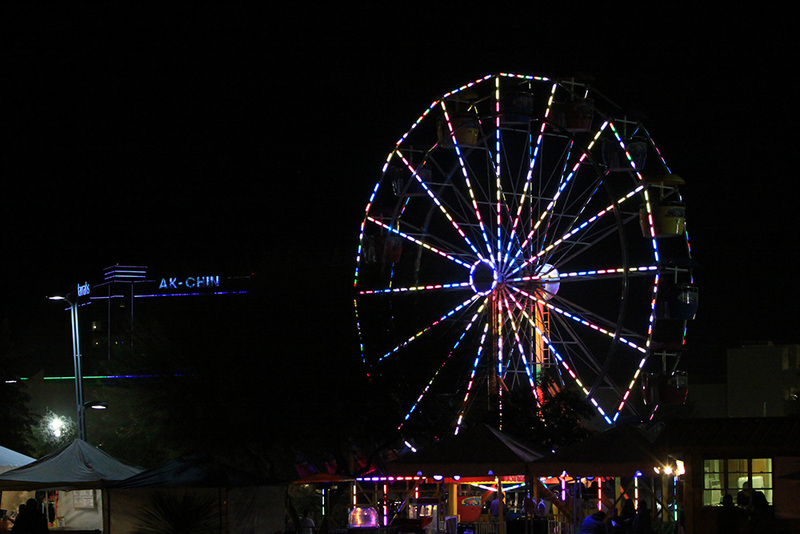 Vertical Horizon will open the free Gin Blossoms show Dec. 14 at Ak-Chin Circle, and it will conclude with fireworks. 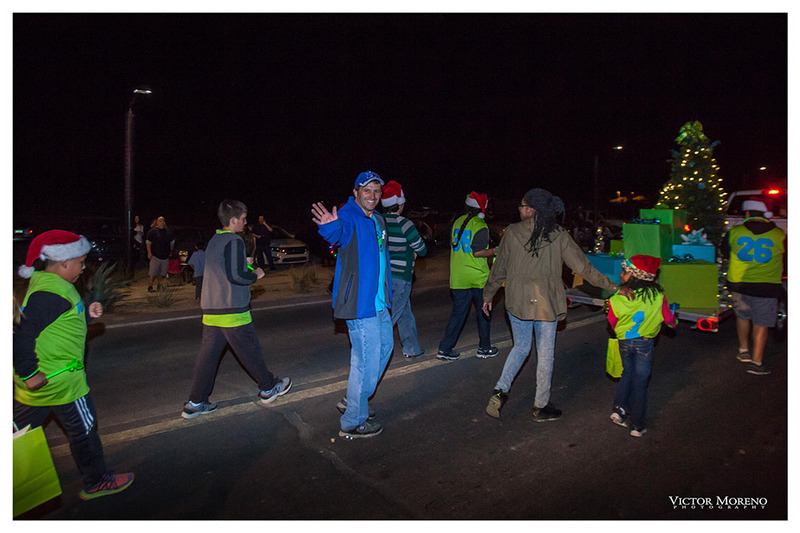 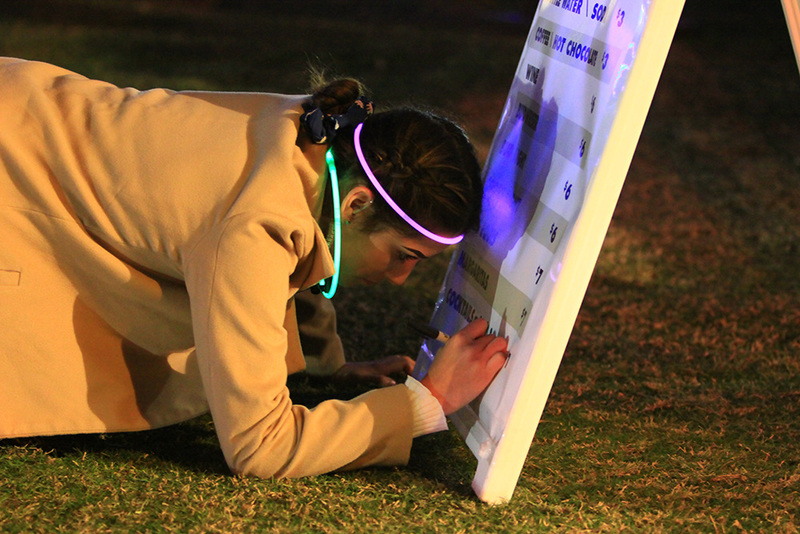 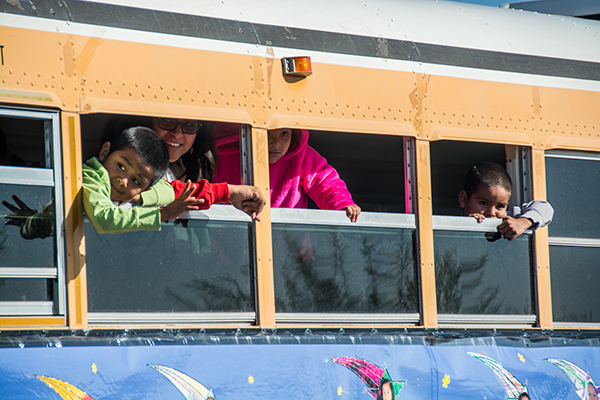 The end-of-year celebration is boasted by the community’s chairman as one with a welcoming, family atmosphere. Country Rock Band Parmalee departed Nashville, Tennessee, early Wednesday morning and headed toward Arizona. 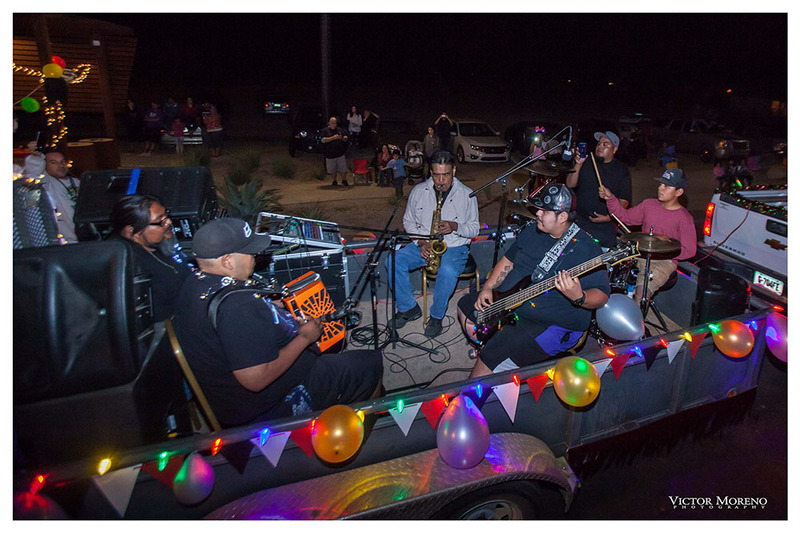 The group – made up of brothers Matt and Scott Thomas, their cousin Barry Knox and close friend Josh McSwain – will perform a free concert Friday night at Ak-Chin Circle. 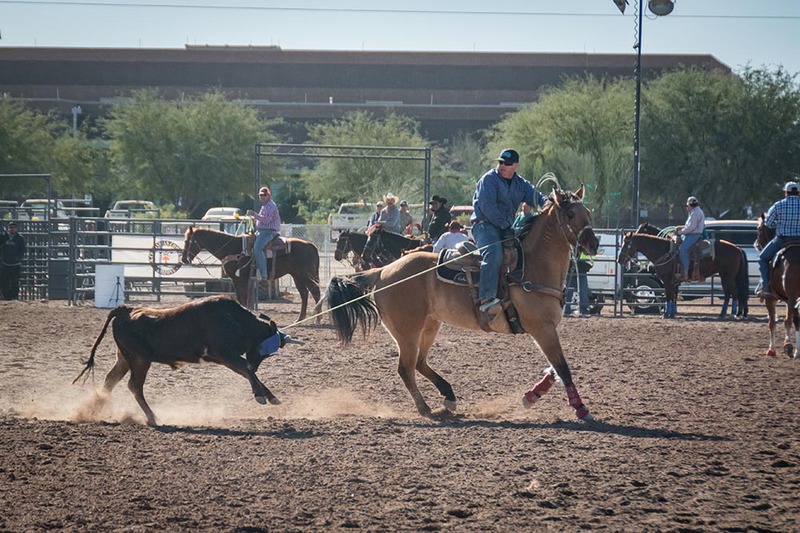 The outdoor show will take place on the lawn north of Ultra Star and will open with “firecracker” Kasey Tyndall. 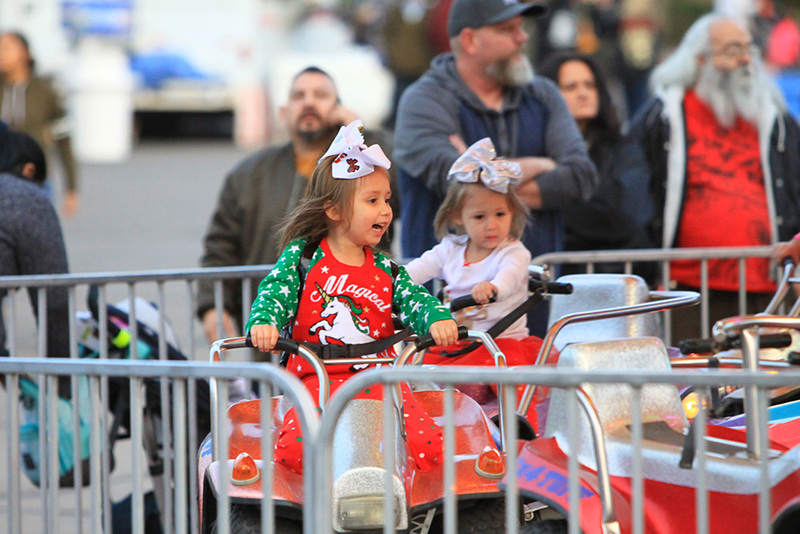 Gates open at 6 p.m.
Tyndall has been on the road with Parmalee on their “HOTDAMALAMA” tour since November. 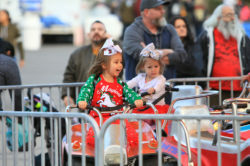 Parmalee frontman Matt Thomas said it’s the first headlining tour for the band that includes an opening act every night. 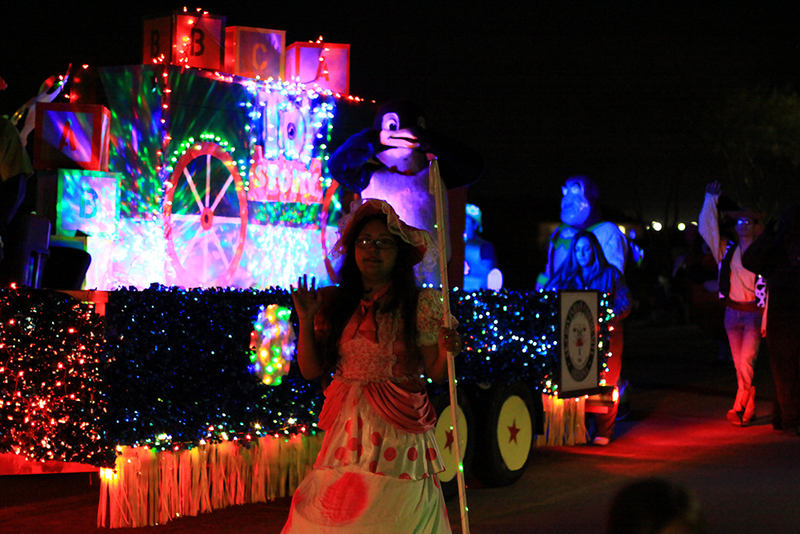 “We have Miss Kasey Tyndall with us. 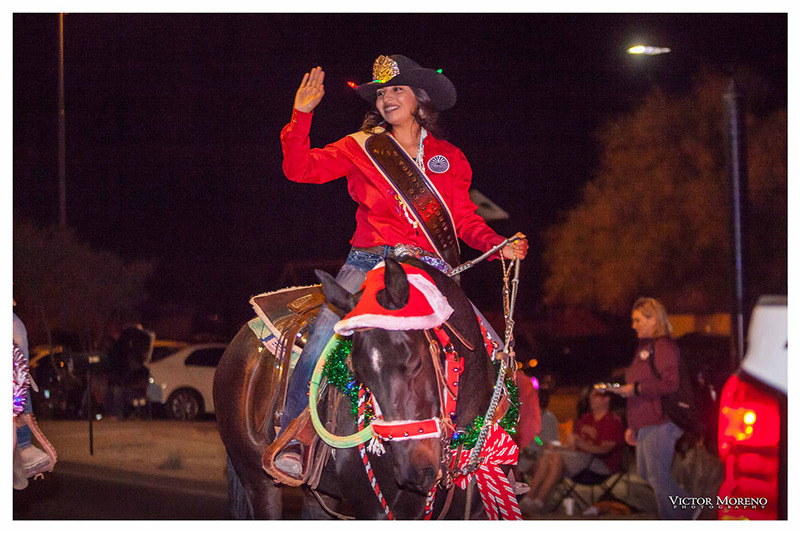 She’s a firecracker. 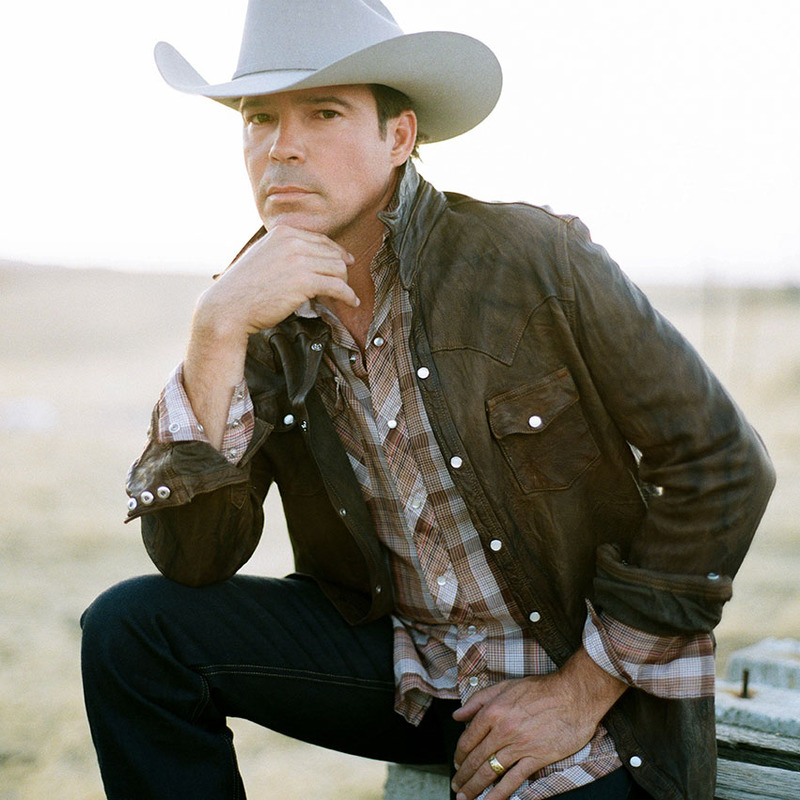 We do some collaborations and it’s been fun playing all this new material and just going across the country,” Thomas said over the phone while strumming a guitar inside a Nashville recording studio Tuesday afternoon. 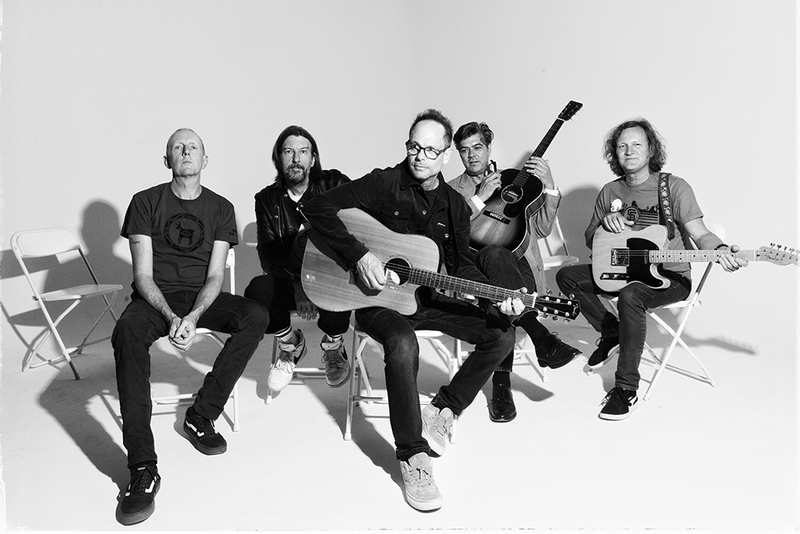 Friday, the band will perform songs off its newest album ‘27861,’ released in July. 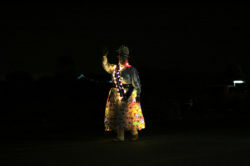 The album’s namesake is the ZIP code for the tiny town of Parmele, North Carolina. Its population was last recorded by the U.S. Census to include less than 300 people. 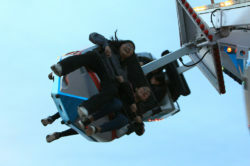 The group changed the spelling of their band’s name to “Parmalee” to make pronunciation easier for their fans, according to the Parmalee website. 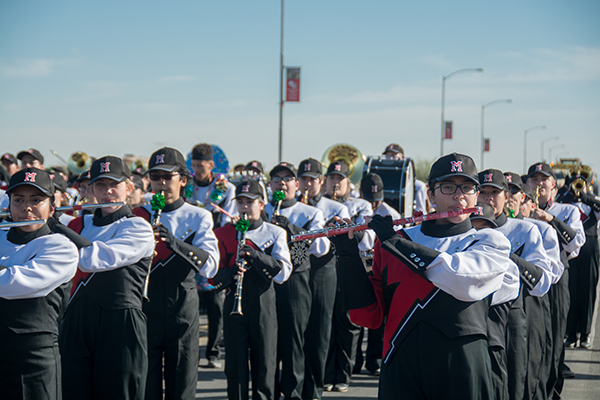 The story behind the band’s homage to the Parmele community begins with their origin story, naturally. 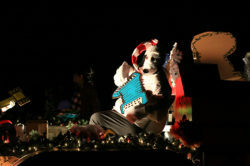 When the band formed in 2001, the group sought out a recording space where they could write songs far away from distractions. 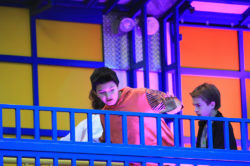 They eventually found it inside a barn in Parmele that belonged to a friend of Thomas’ father. “The first beginnings of the band came from that little barn, so we figured we’d give it a shout-out,” Thomas said. 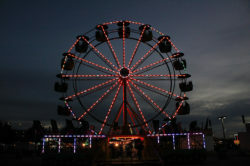 Local fans can also expect to hear favorites from Parmalee’s previous records at the show as well. 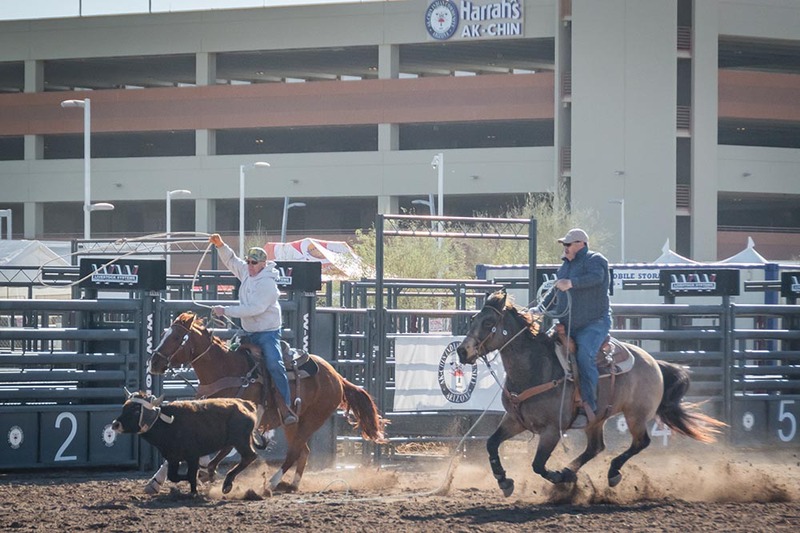 Parmalee will play a show in Flagstaff Thursday before arriving in Maricopa. 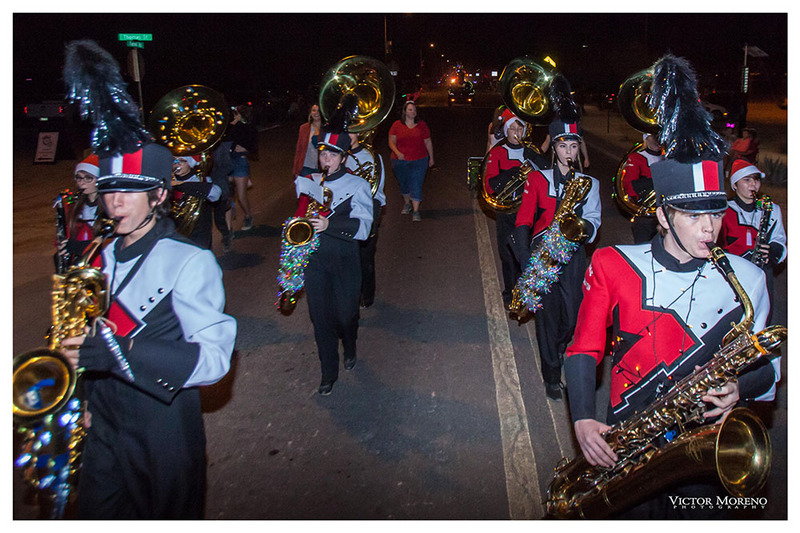 The band will open for Clay Walker Friday night at 7:30 p.m. 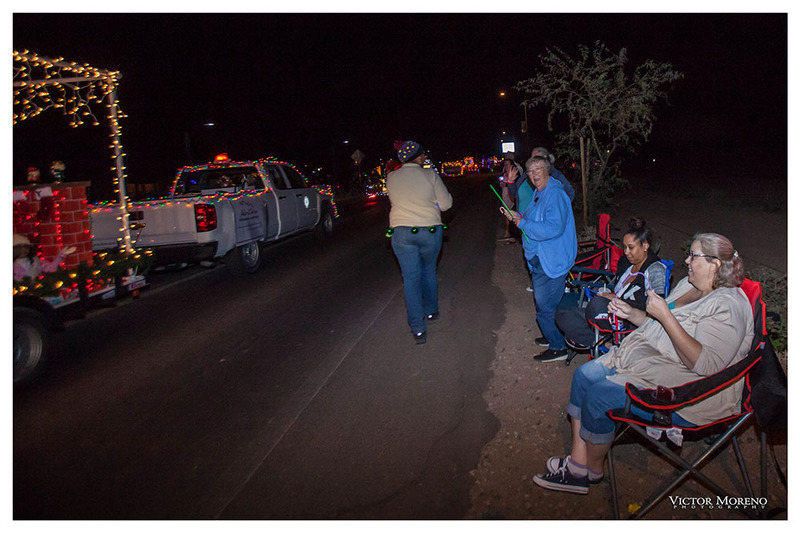 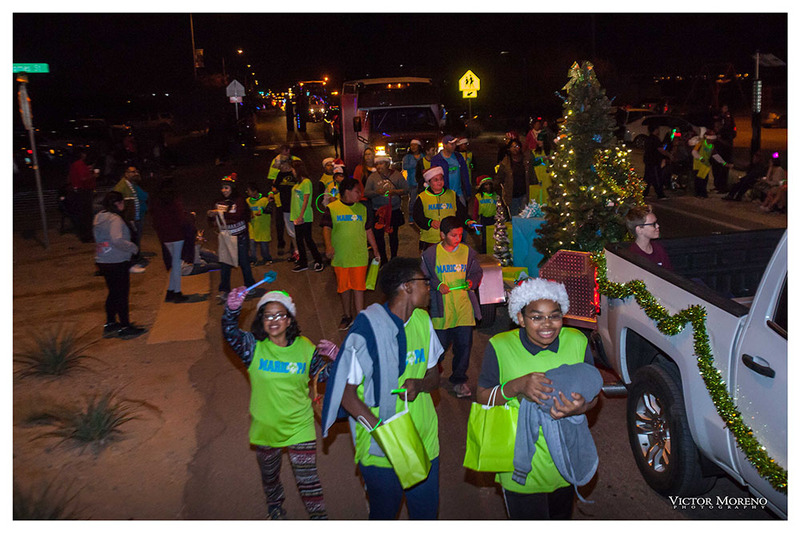 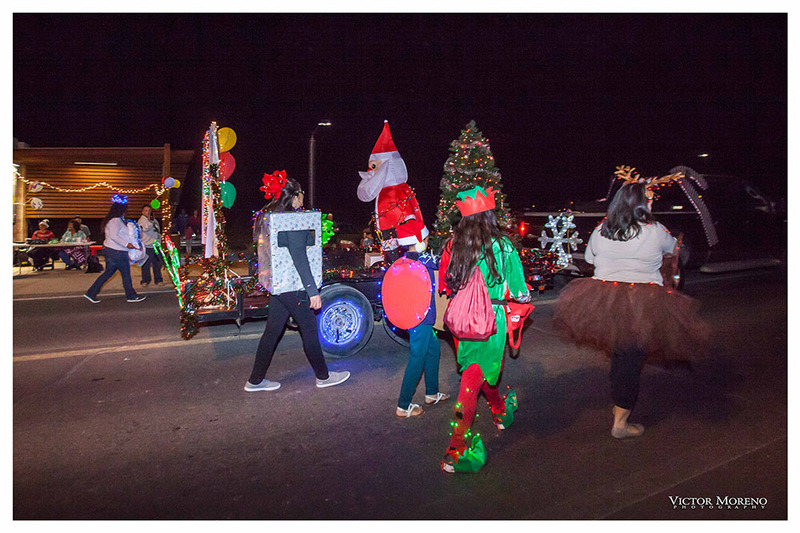 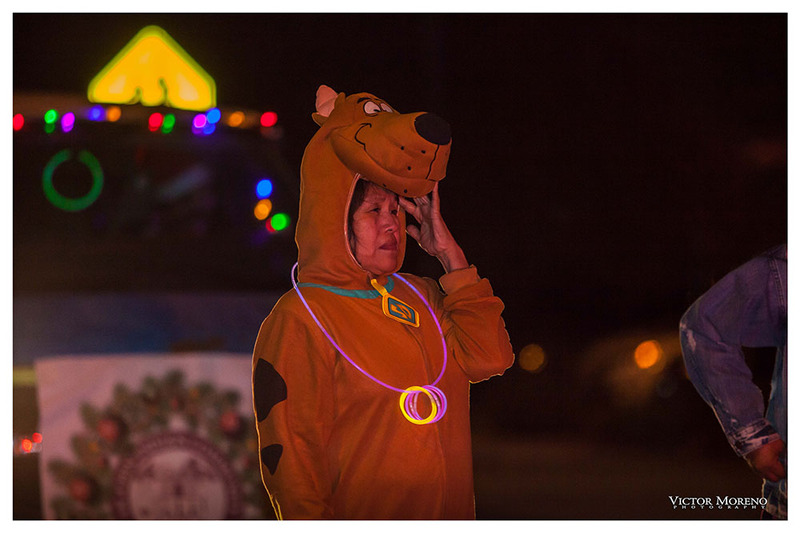 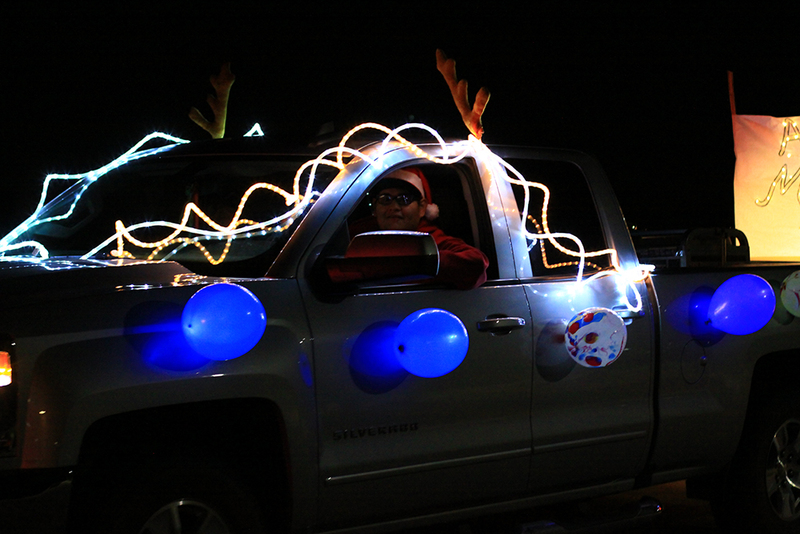 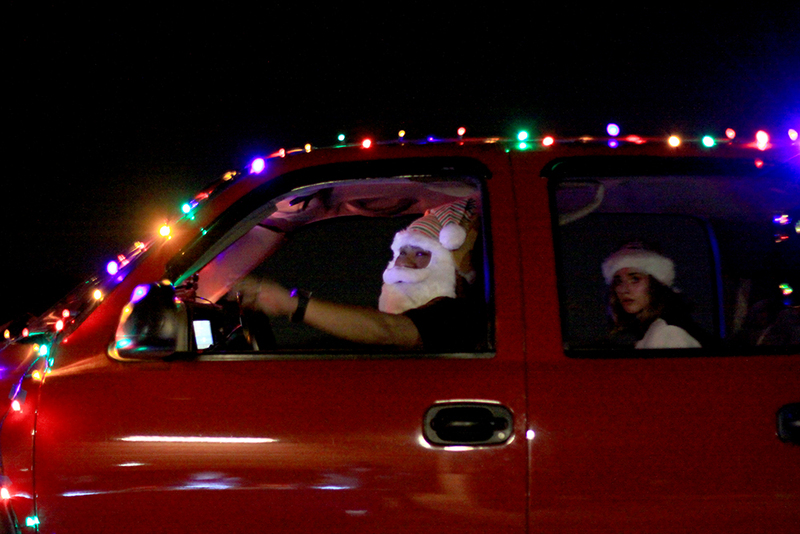 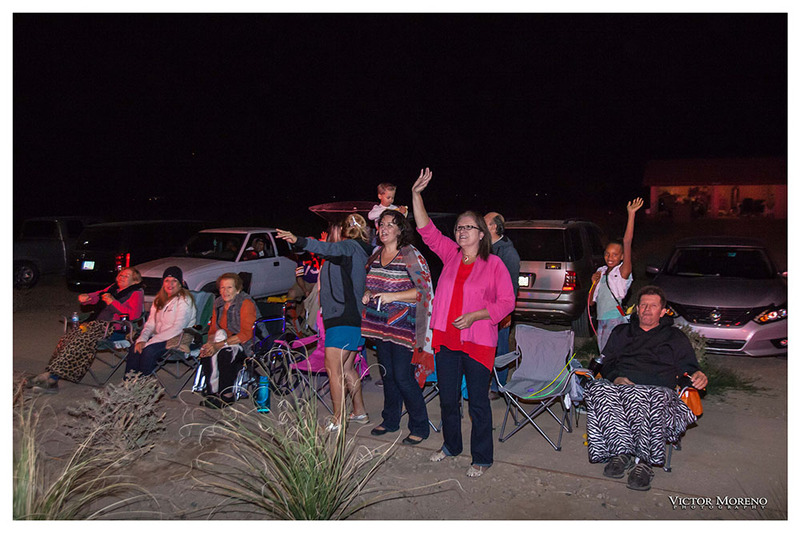 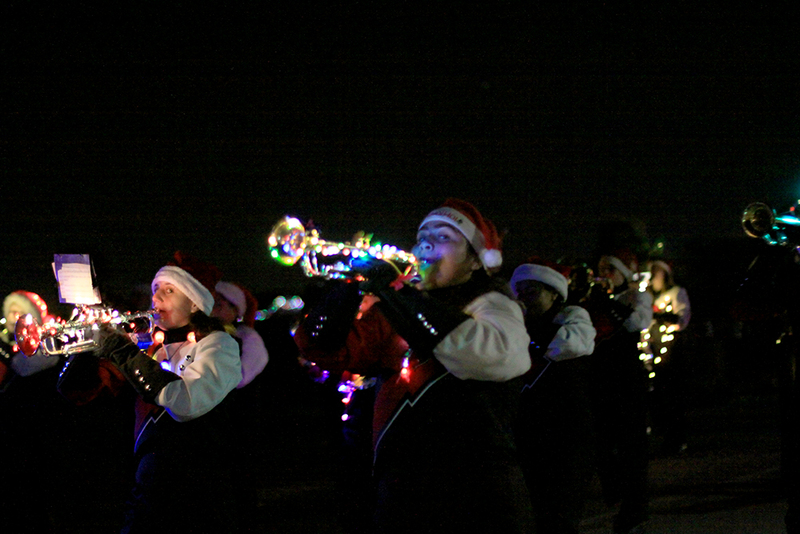 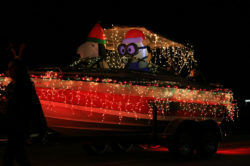 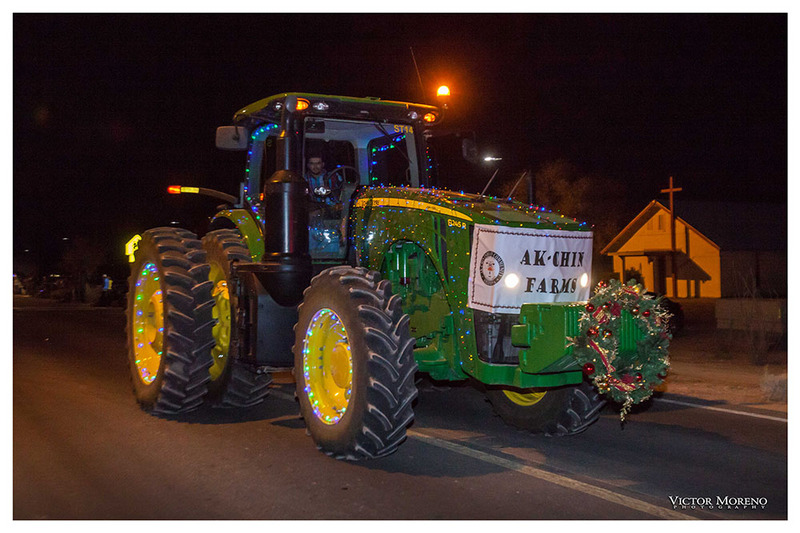 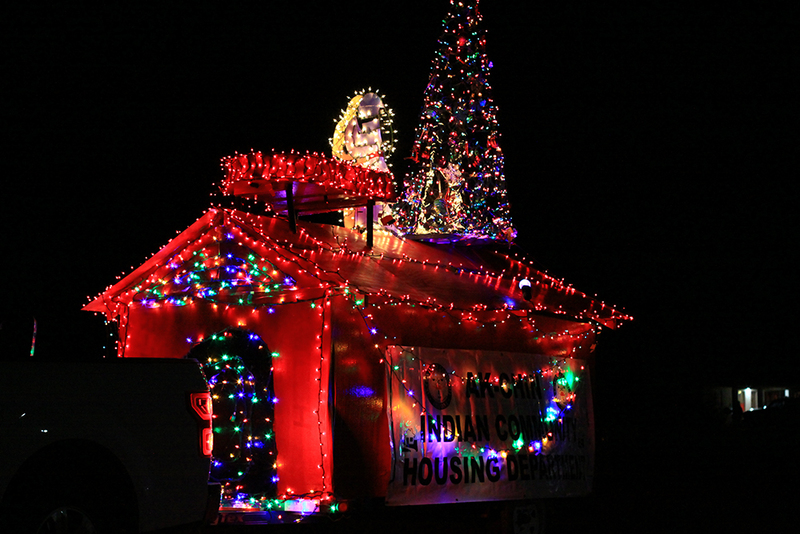 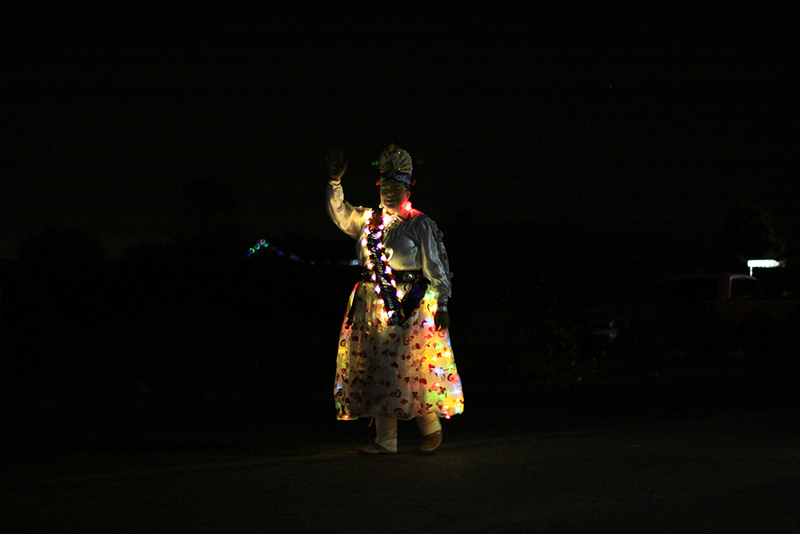 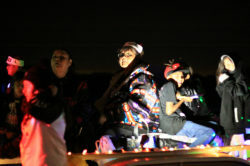 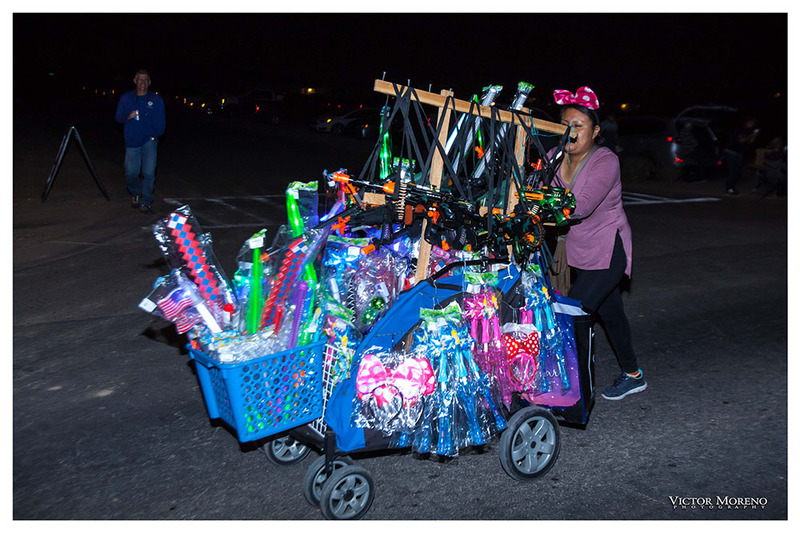 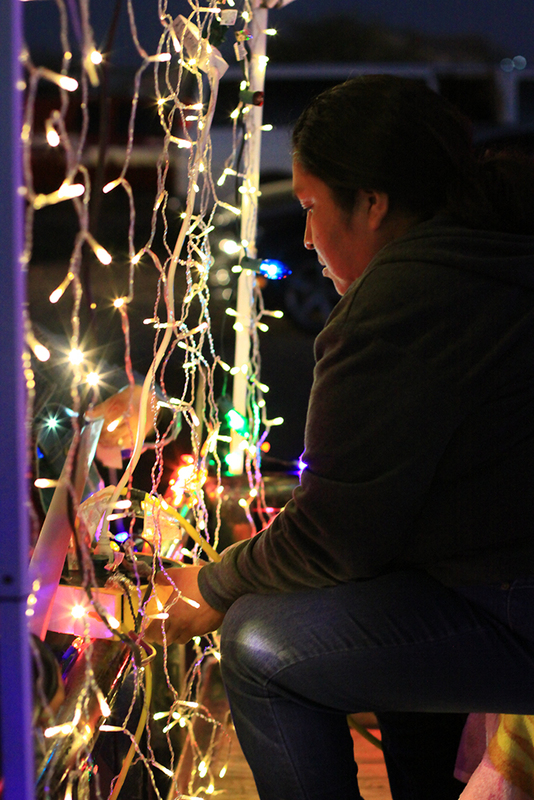 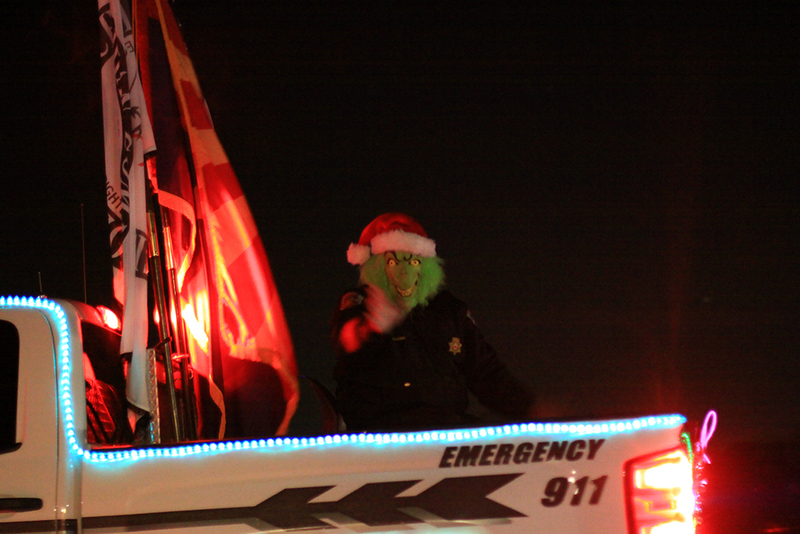 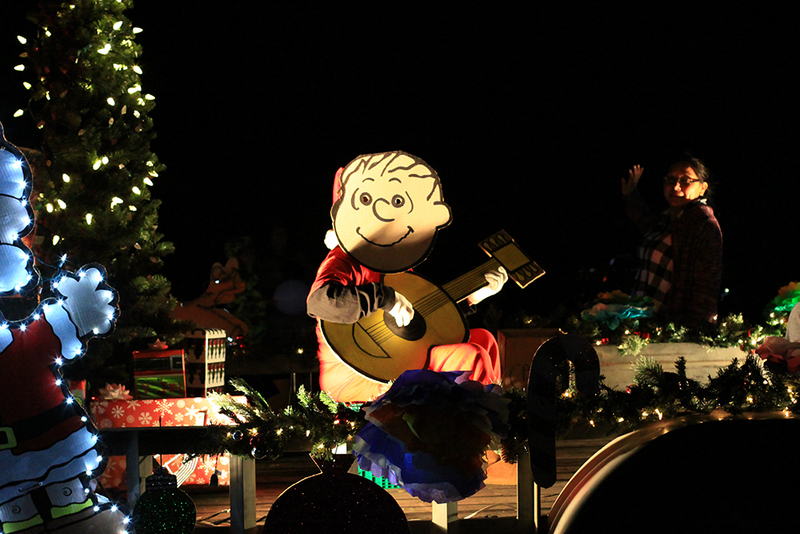 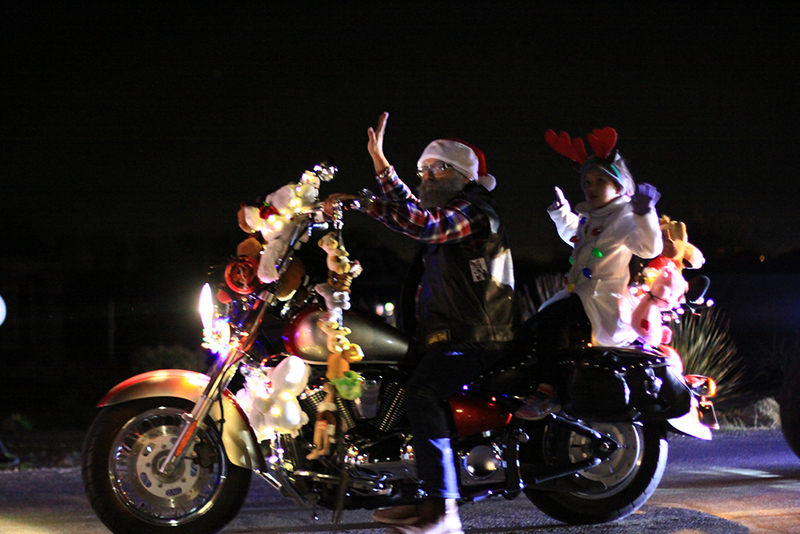 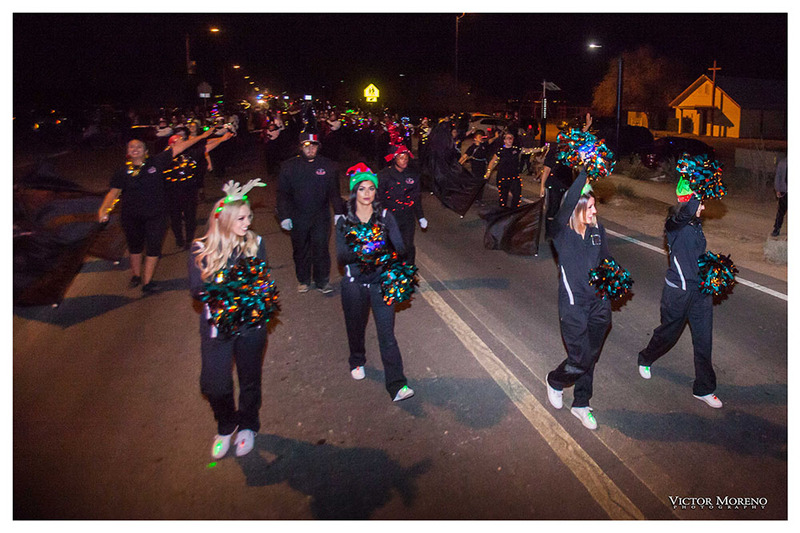 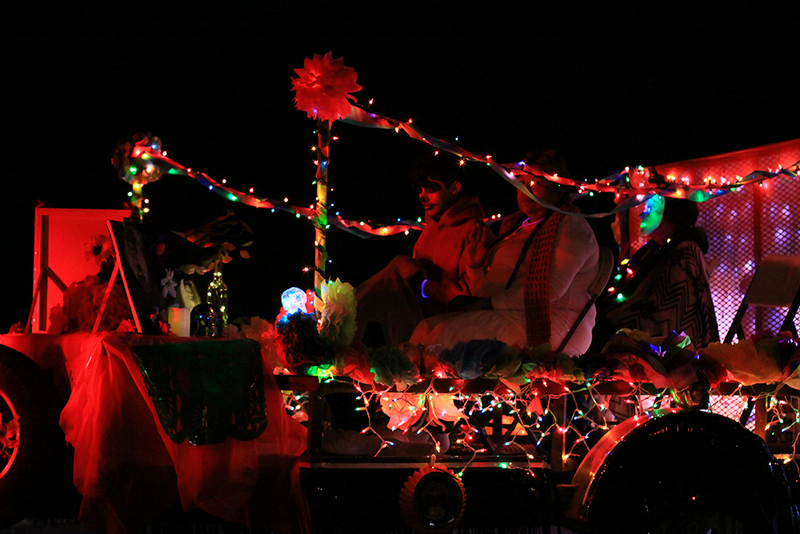 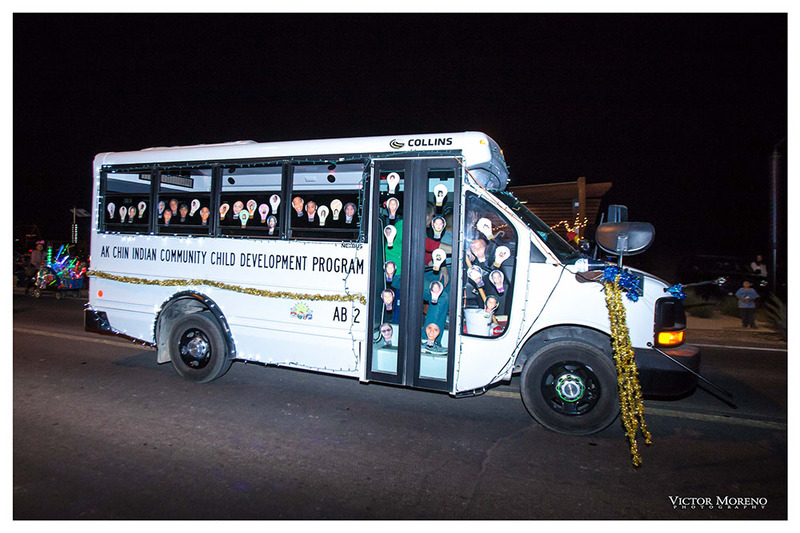 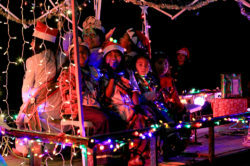 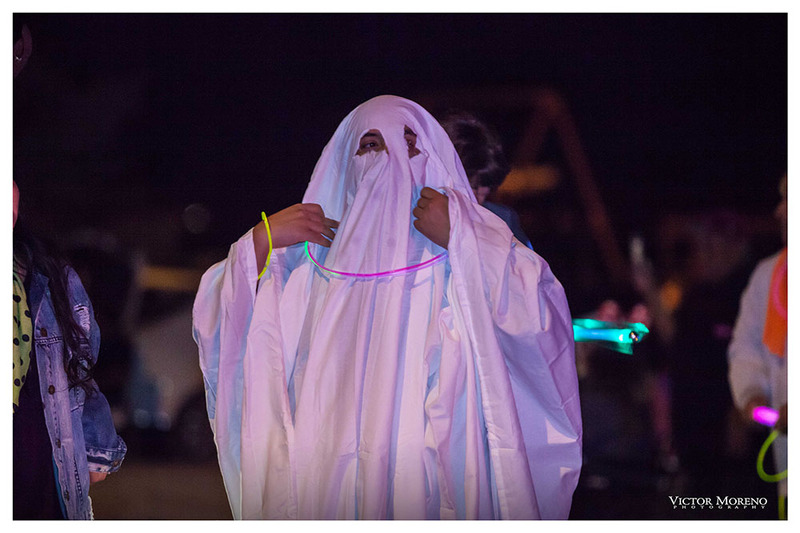 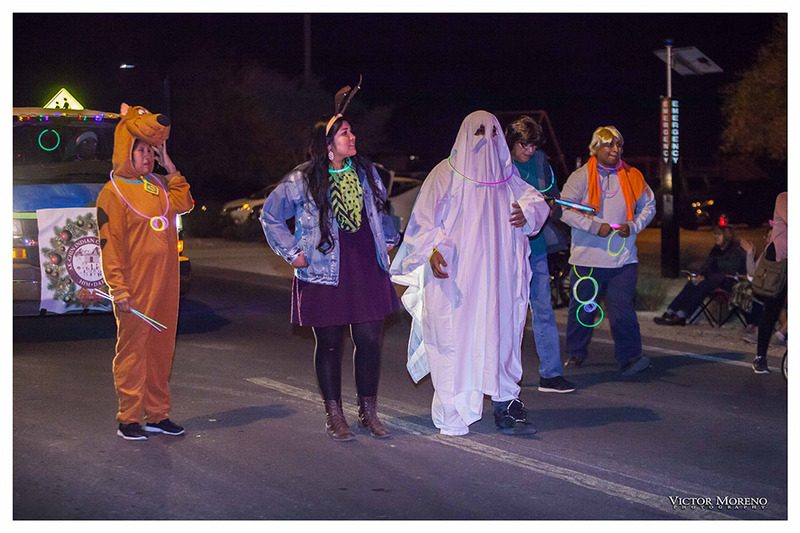 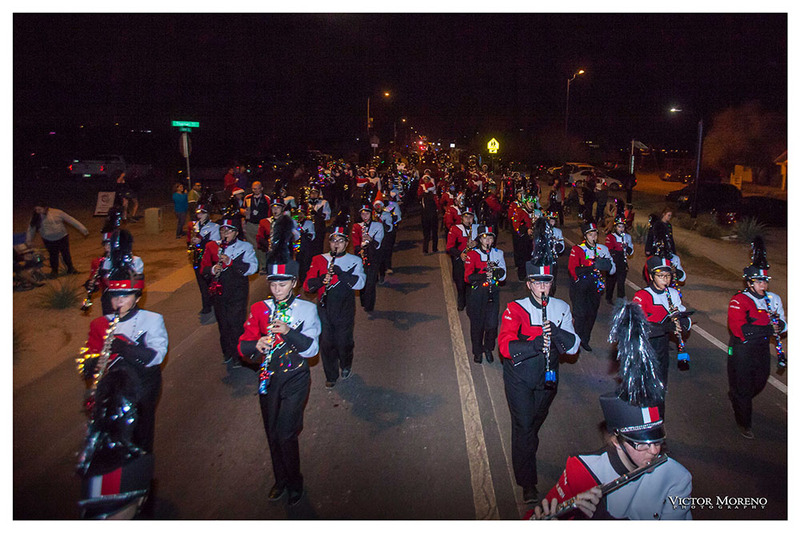 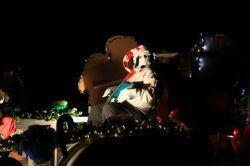 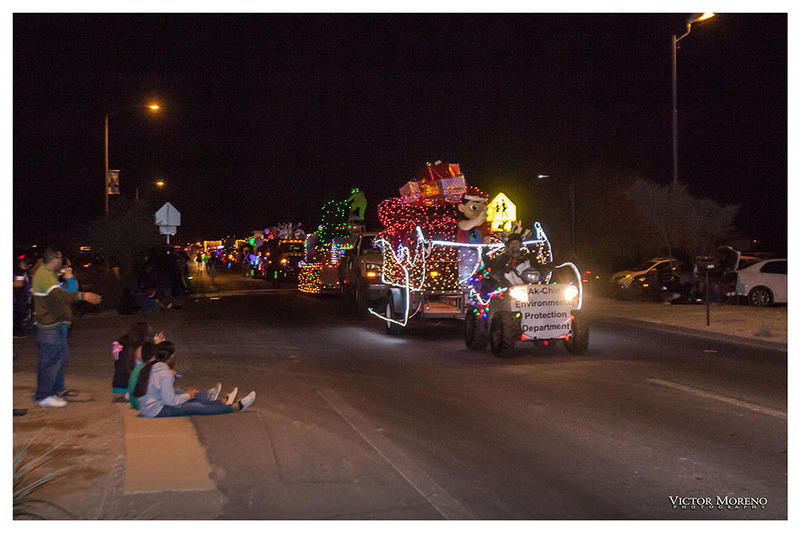 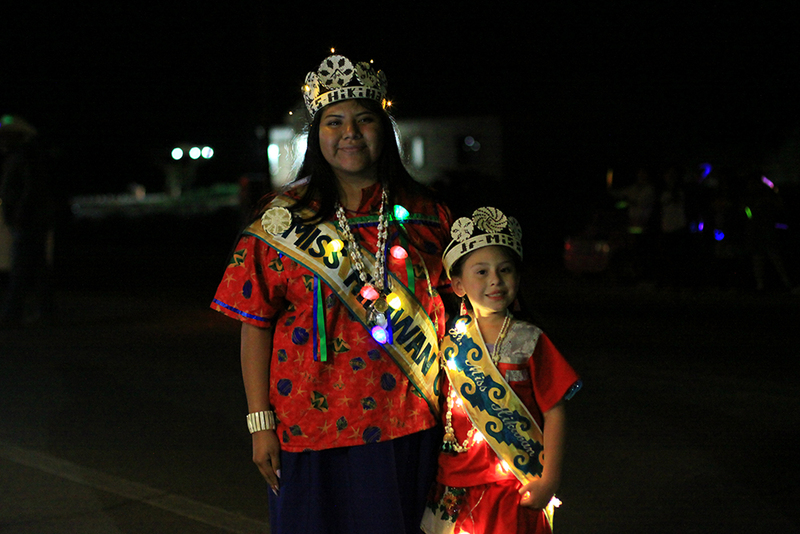 The 10th annual Masik Tas celebration included a Light Parade Sunday, the first time the parade has been at night. Entrants decked out floats, vehicles, people, instruments and horses in strings of lights and glow-in-the dark items to light up the night along Farrell Road. 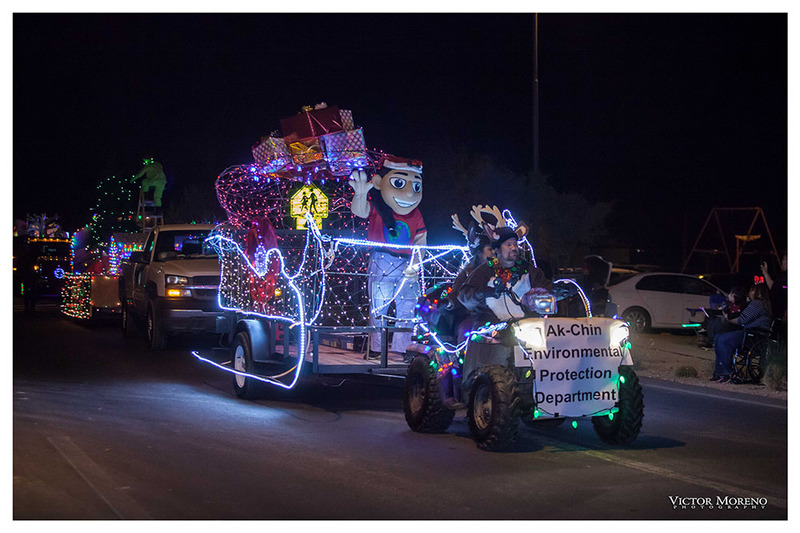 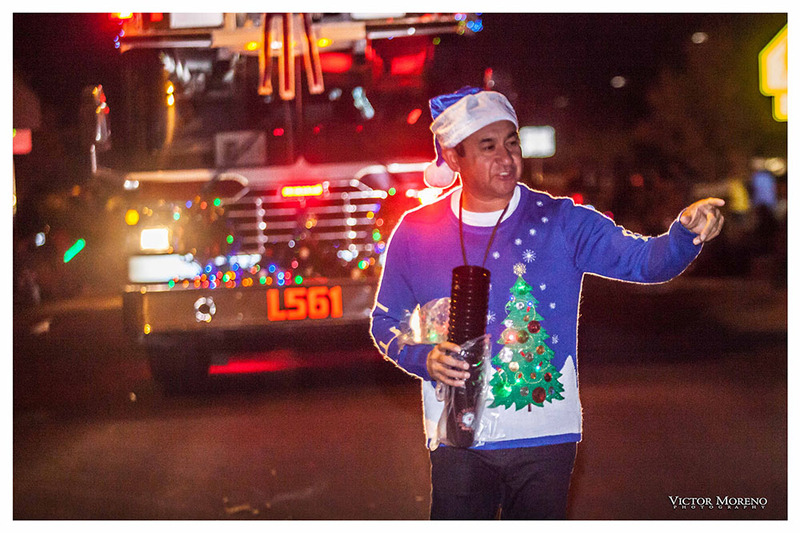 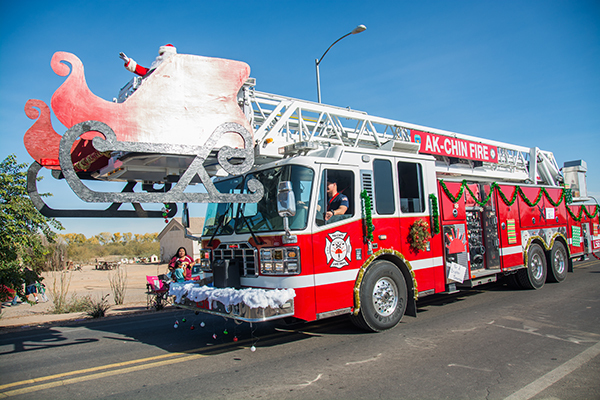 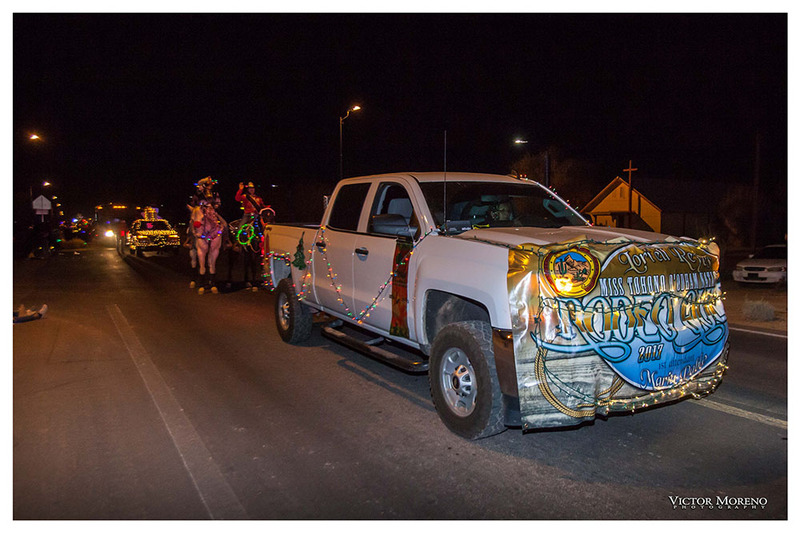 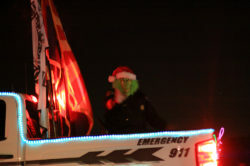 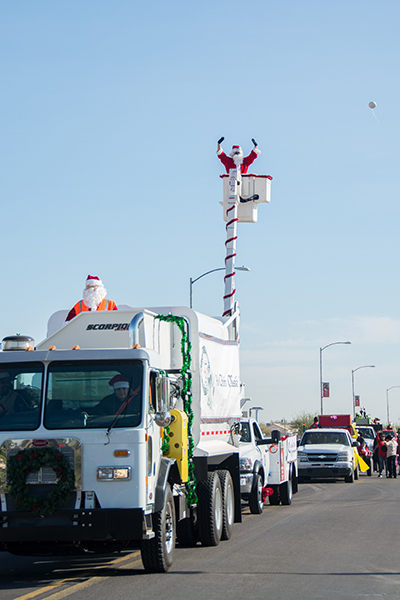 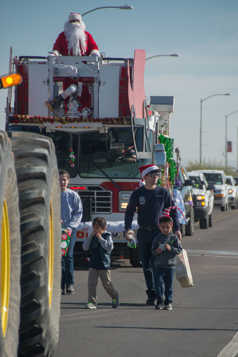 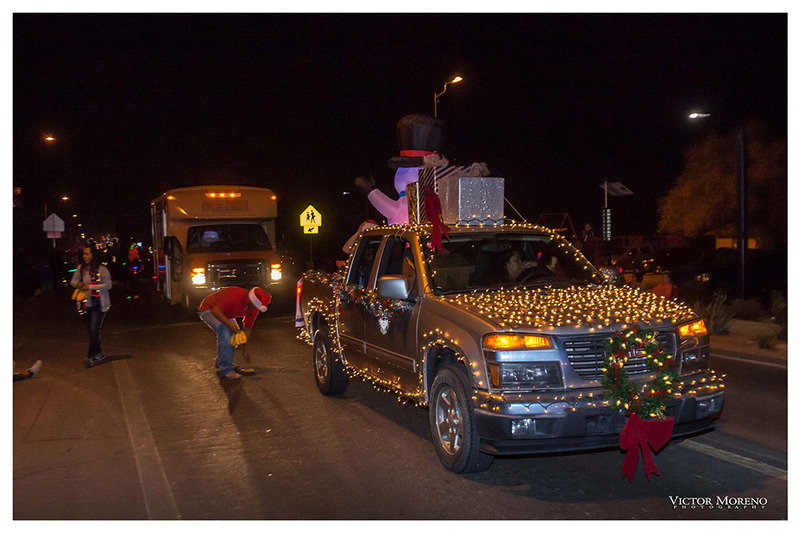 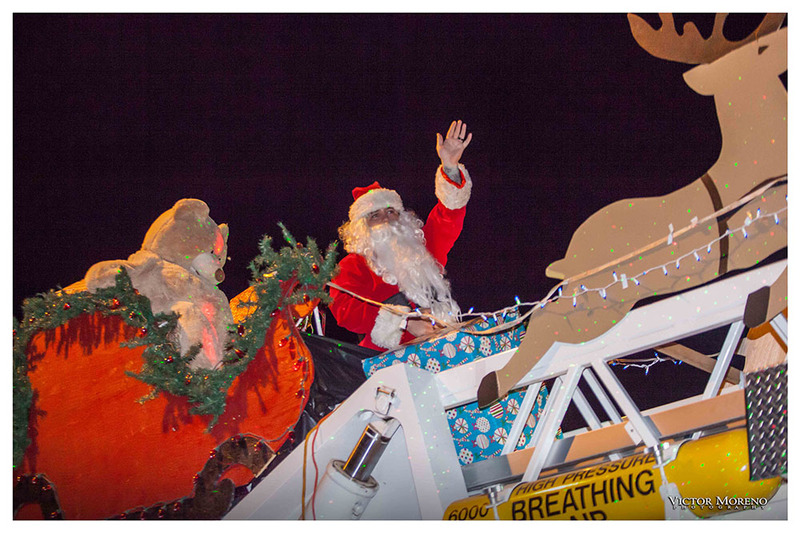 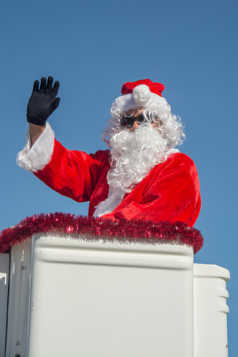 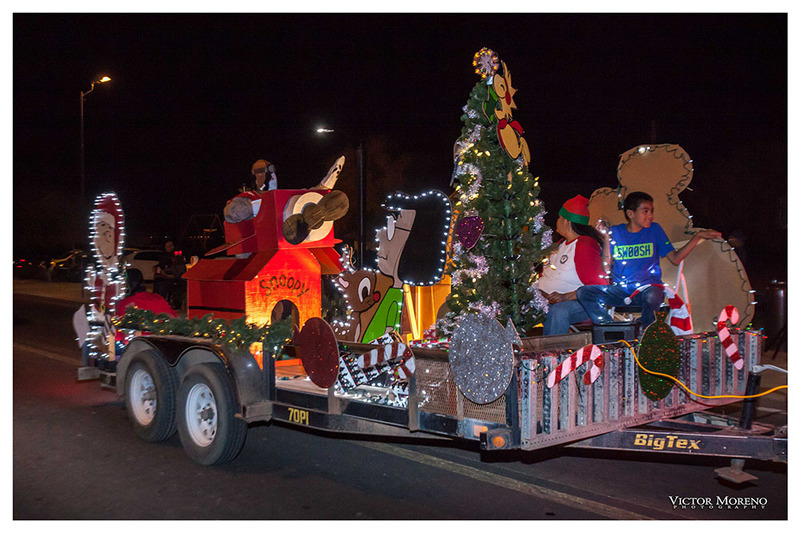 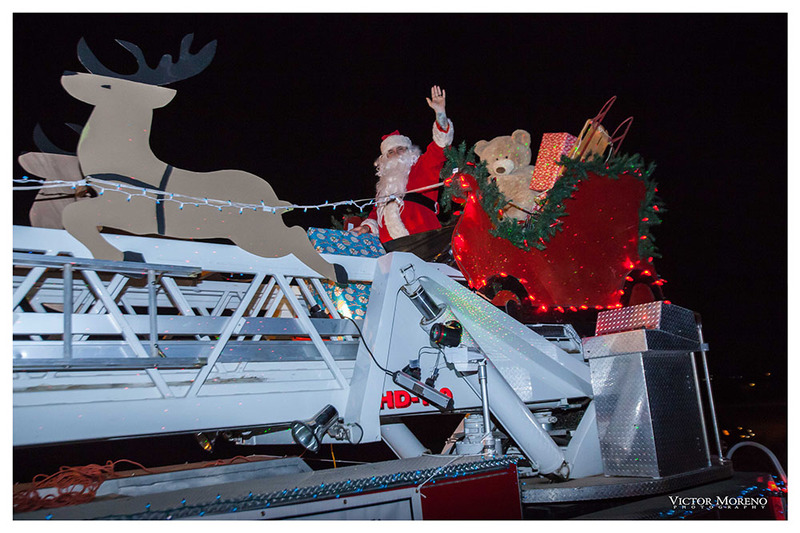 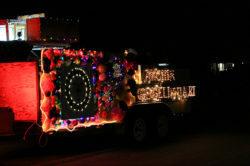 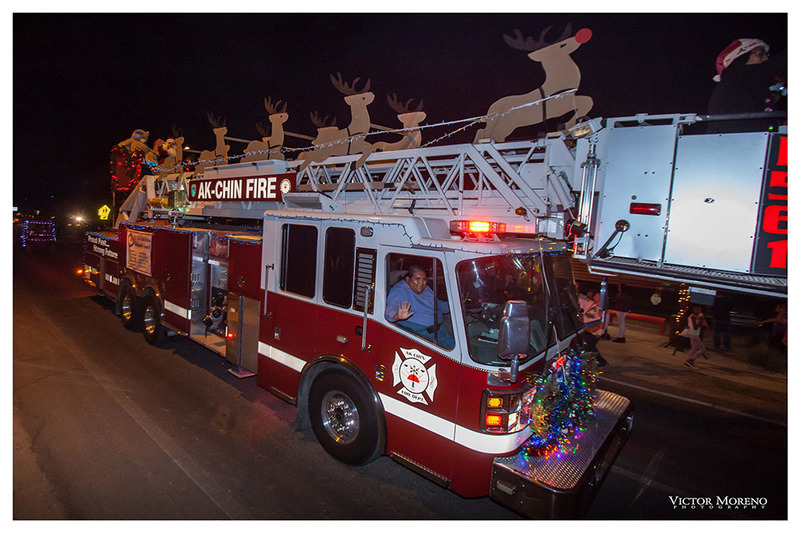 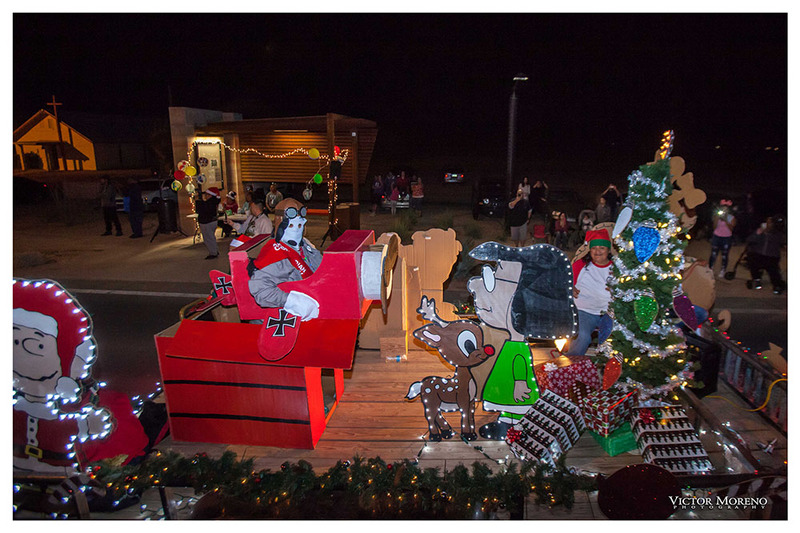 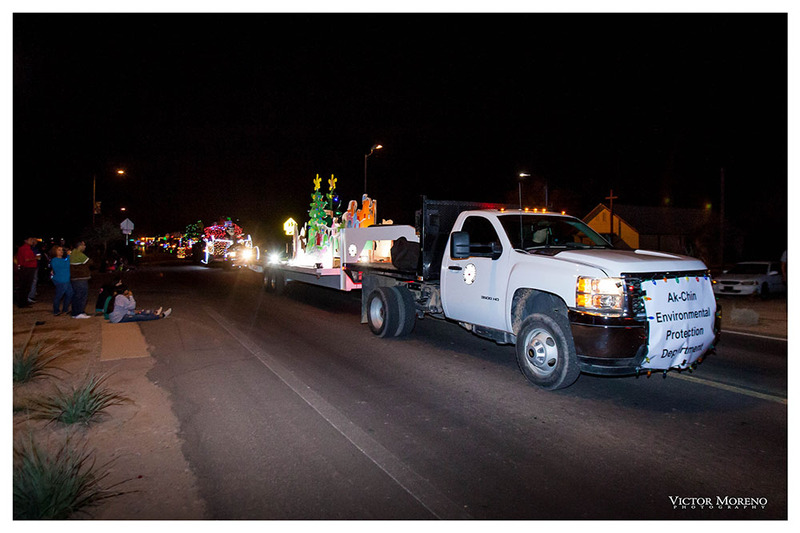 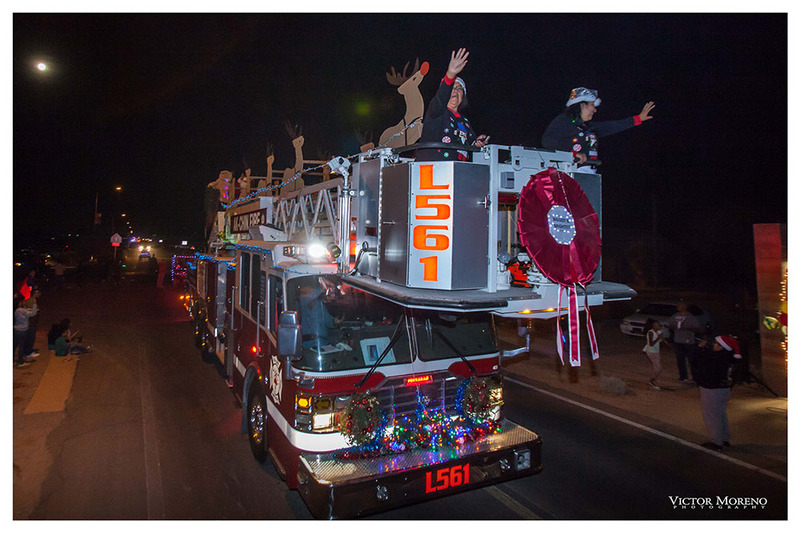 The finale of the parade, the Ak-Chin Fire Department truck carrying Santa and his reindeer, won the “biggest and brightest” award. 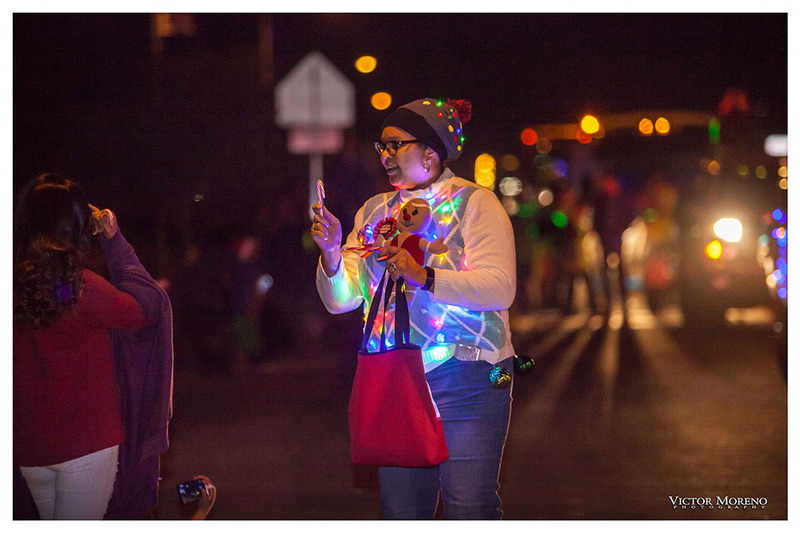 Themes were a mix of Masik Tas and Christmas, to the entertainment of the crowd that gathered along the route. 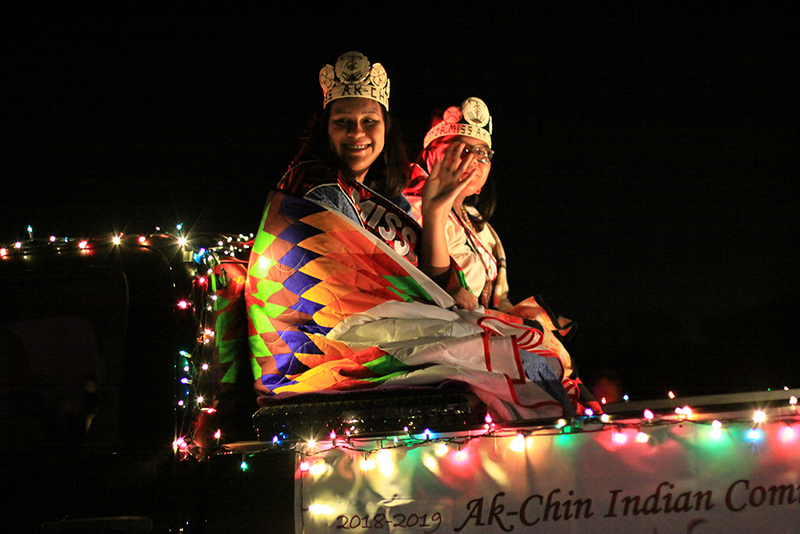 Ak-Chin Indian Community has more big events planned this week. 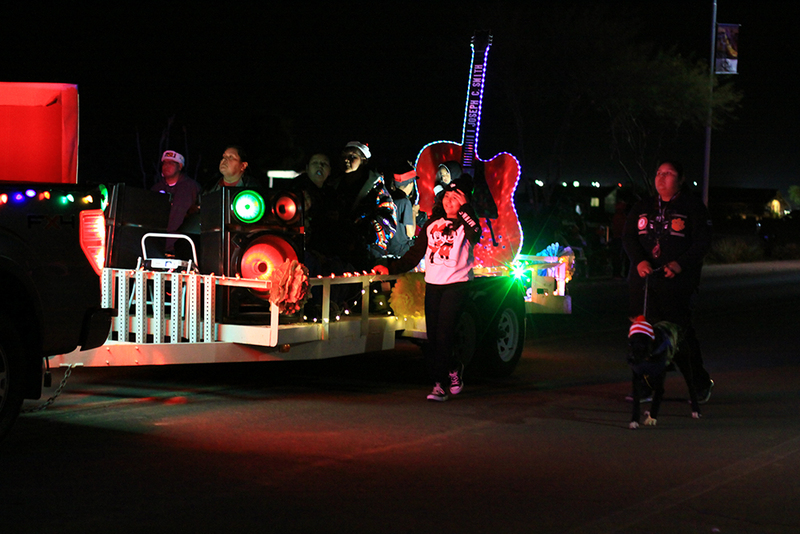 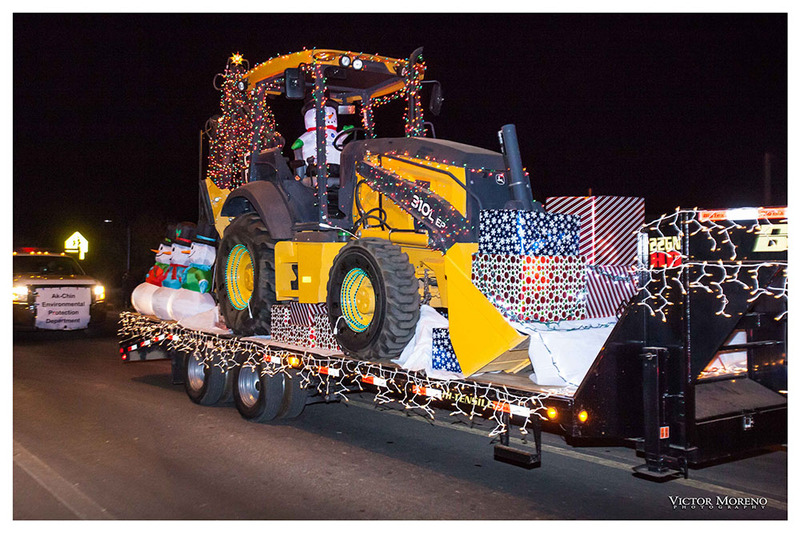 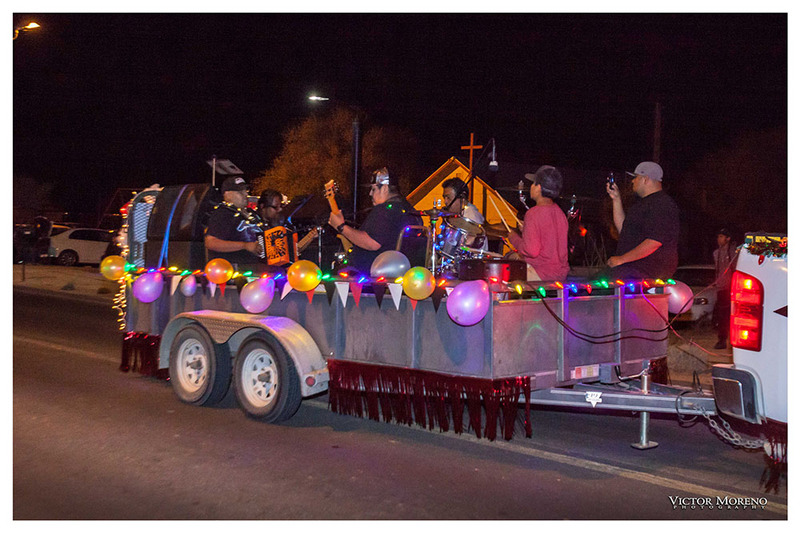 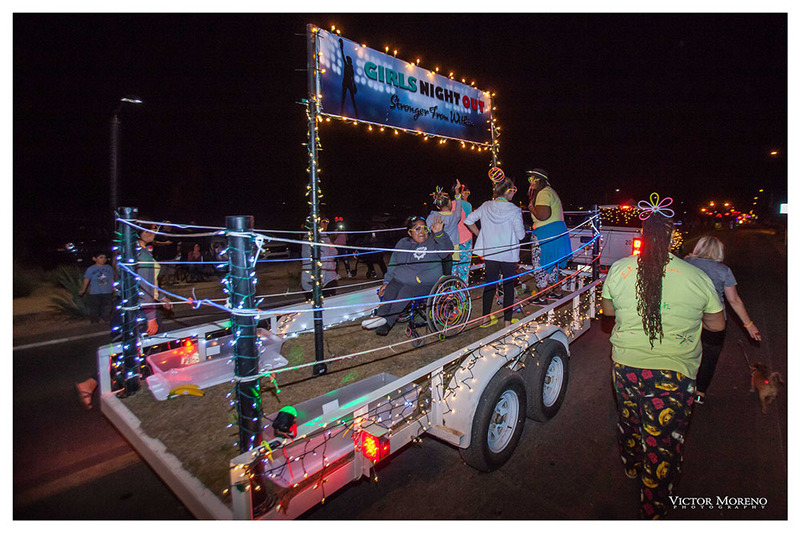 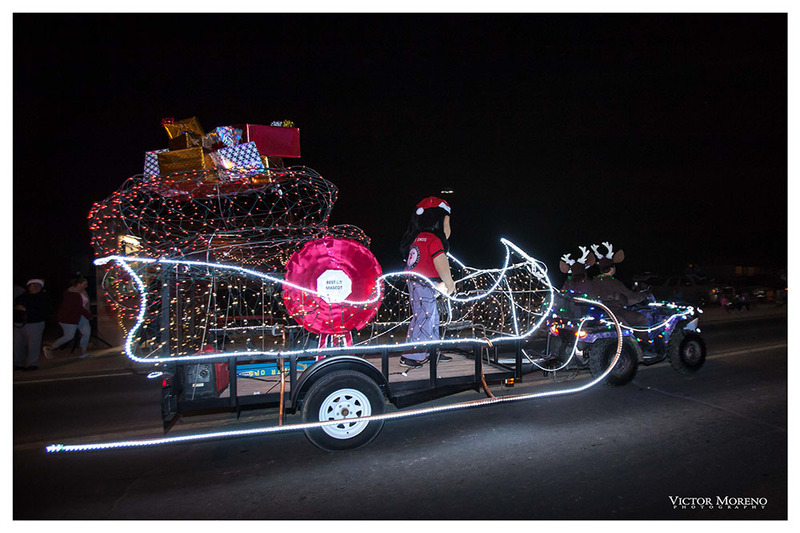 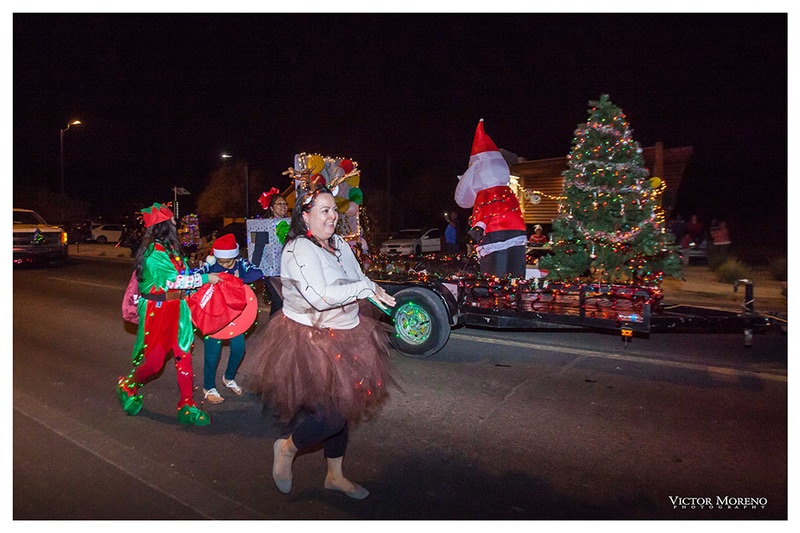 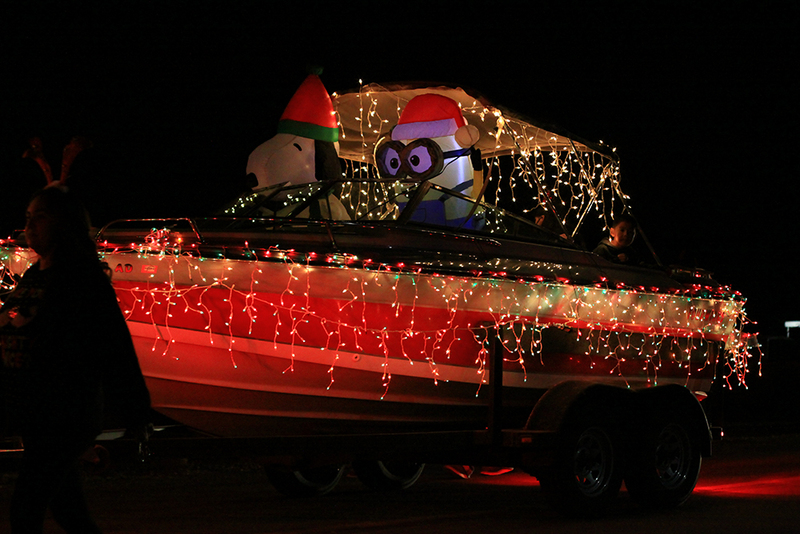 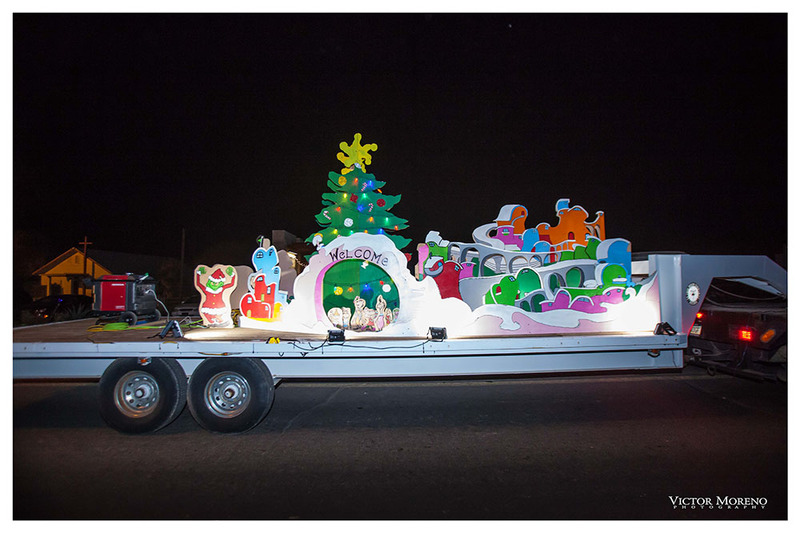 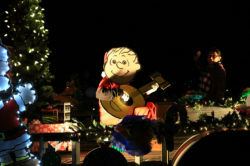 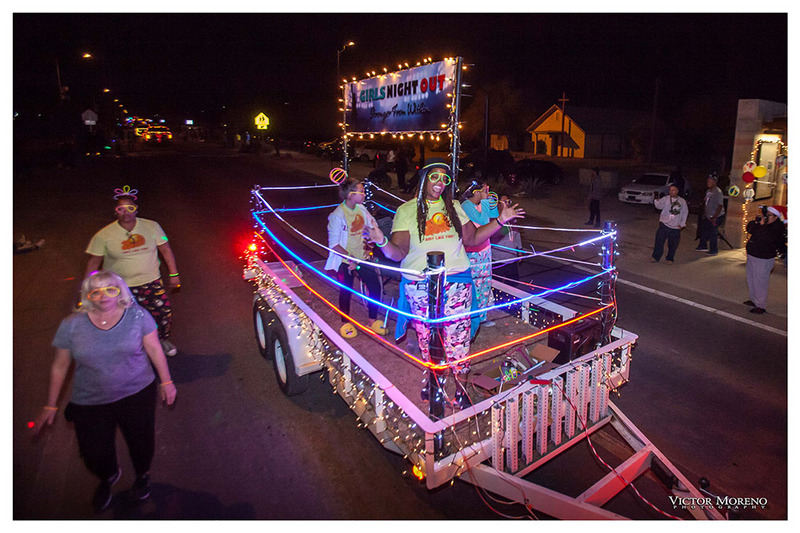 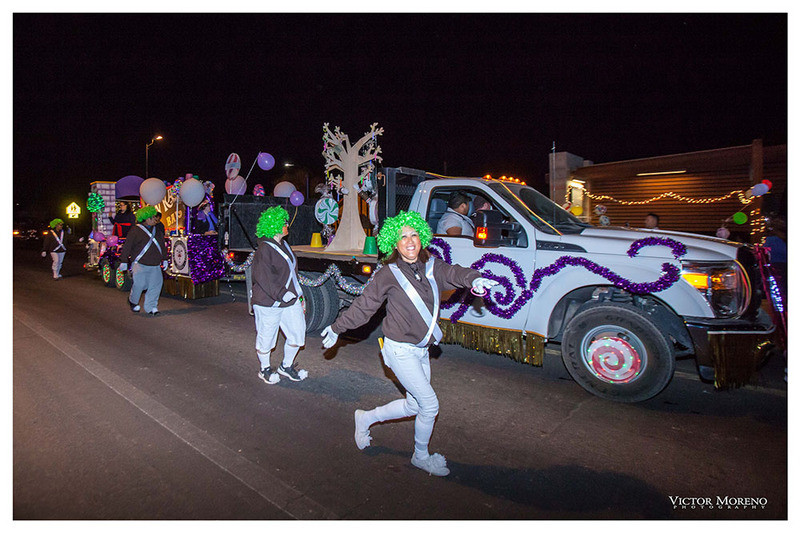 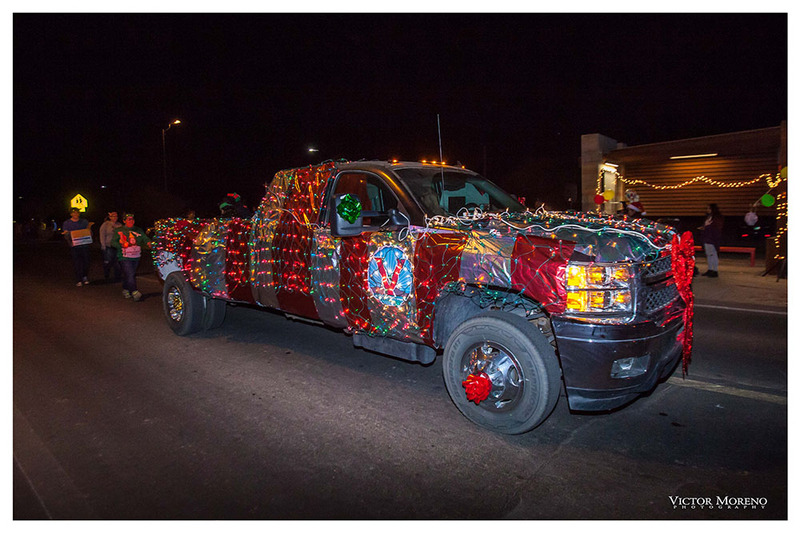 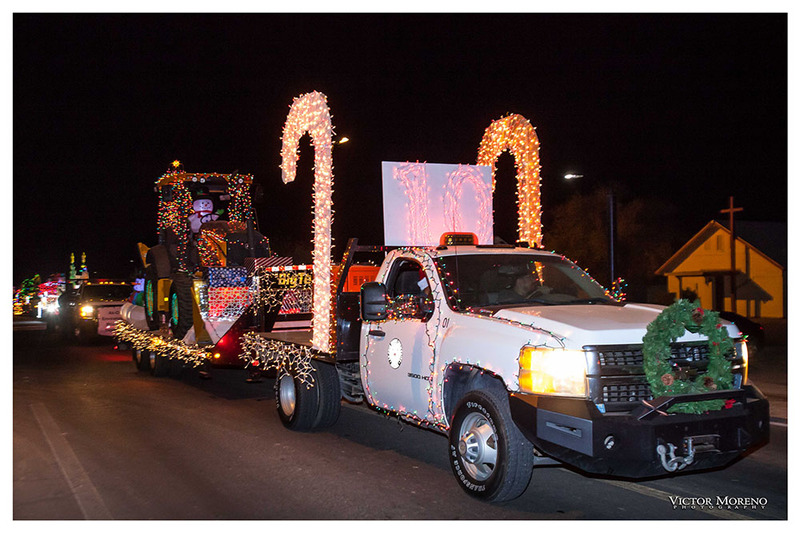 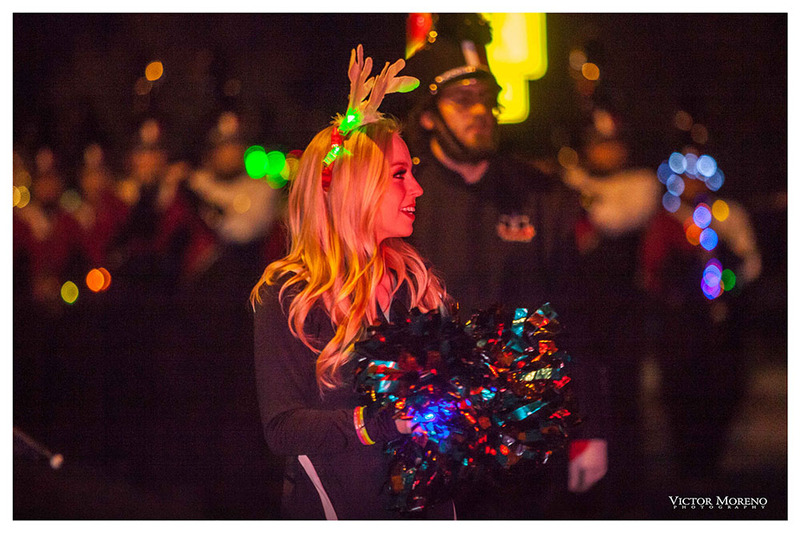 This year's Masik Tas parade will be a parade of lights for the first time. 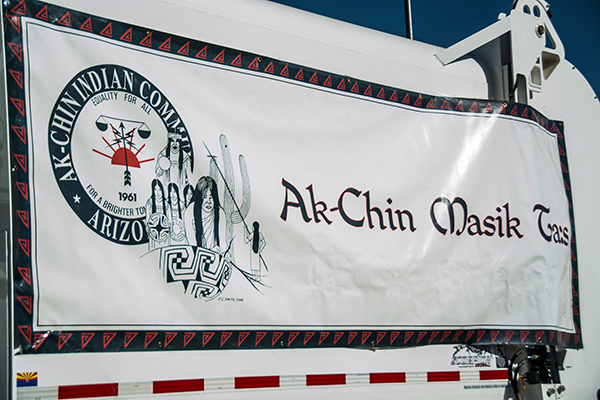 As the Ak-Chin Indian Community celebrates its 10th annual Masik Tas celebration, tribal officials remind the community the celebration is about sharing with your neighbors. 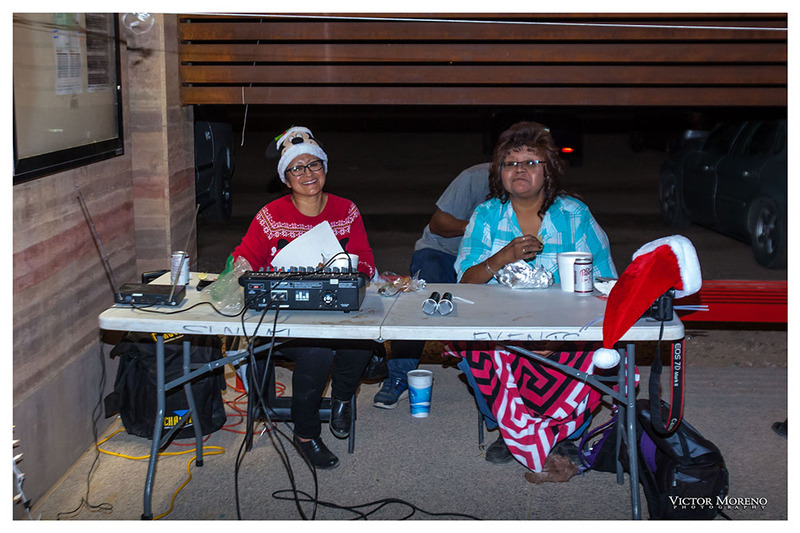 Ak-Chin Tribal Council Vice Chairman Gabriel Lopez said it’s always been a tradition to share your bounty with the community. 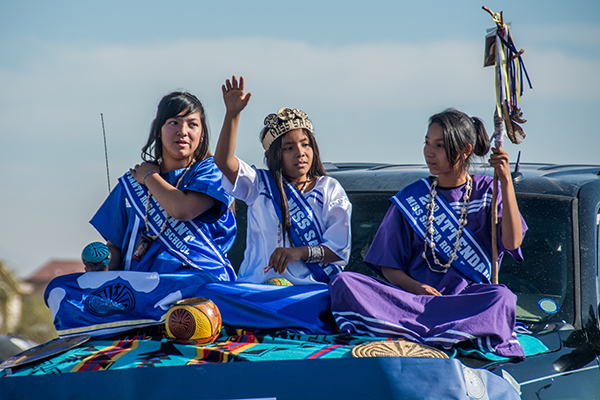 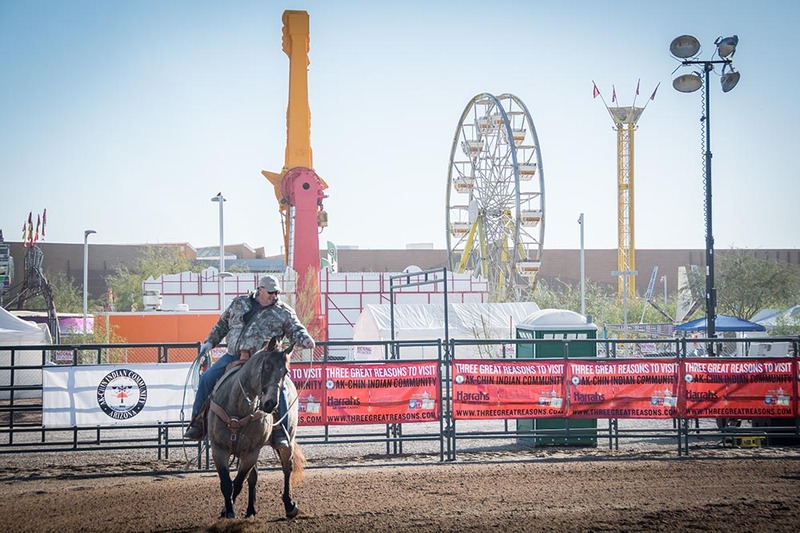 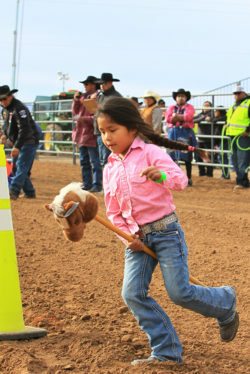 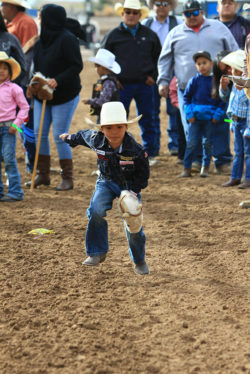 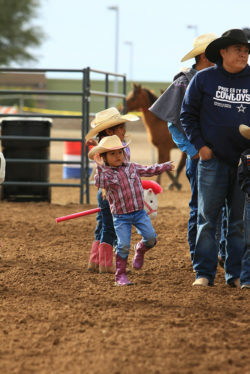 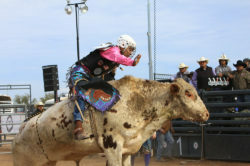 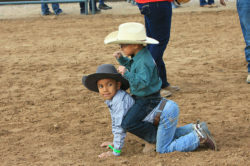 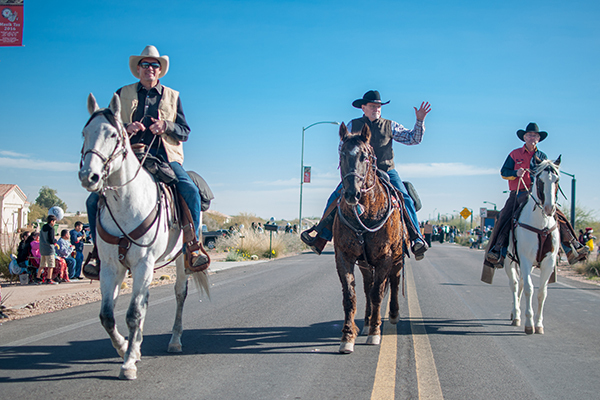 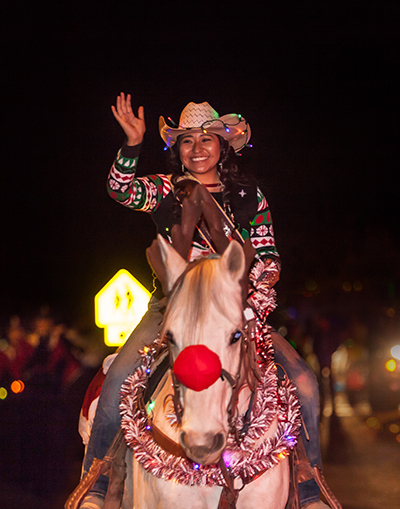 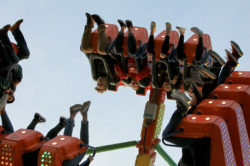 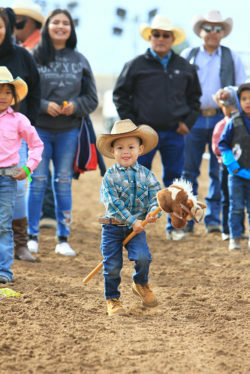 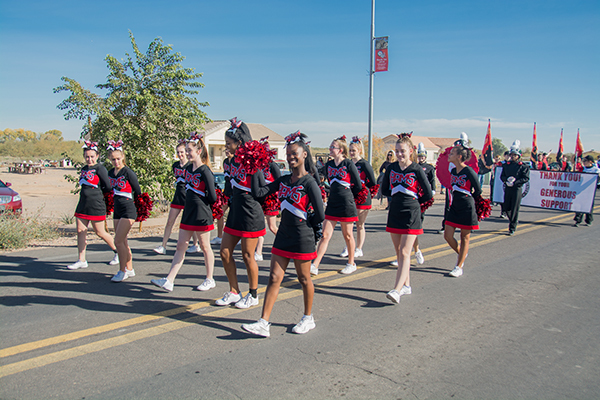 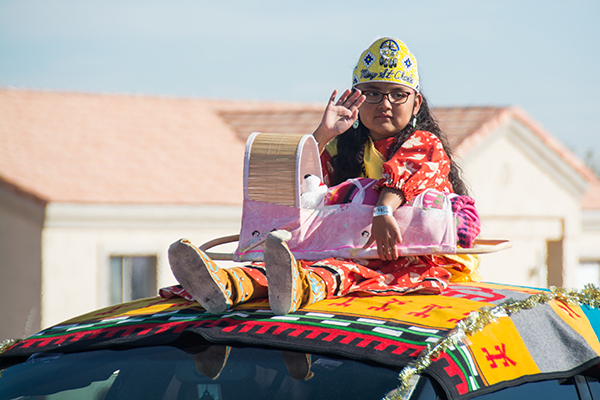 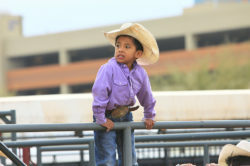 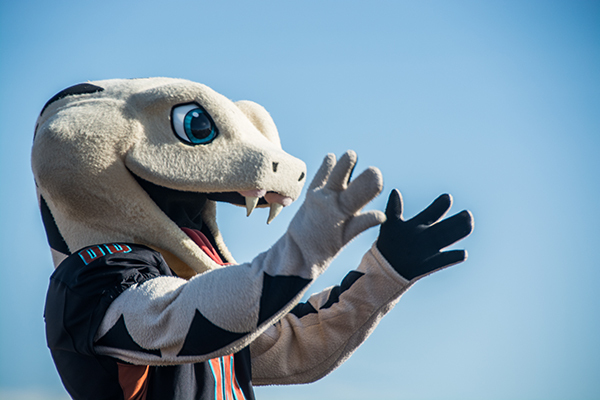 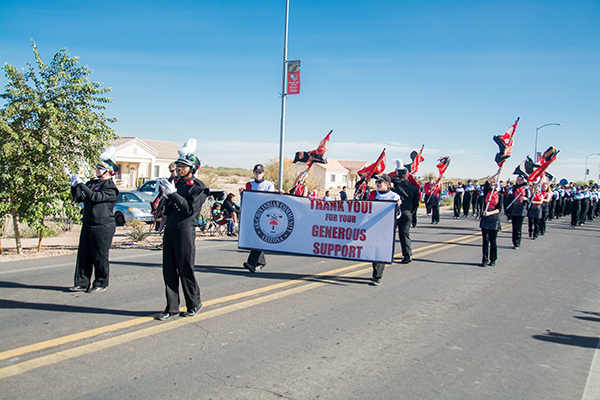 The celebration includes several major events including a concert, carnival, rodeo and parade that are free for all, including non-tribal members. 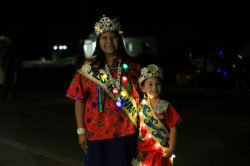 The Masik Tas celebration started 10 years ago when women decided they wanted to expand the tribe’s youth beauty pageant to include young women, Lopez said. 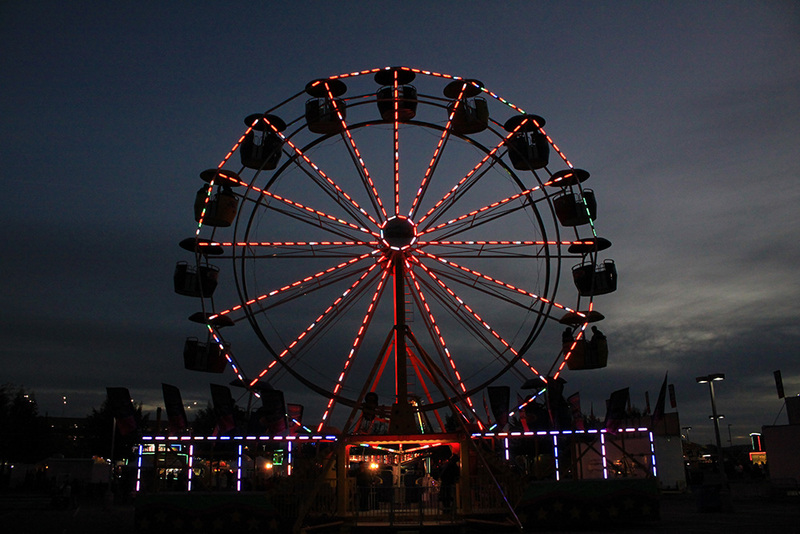 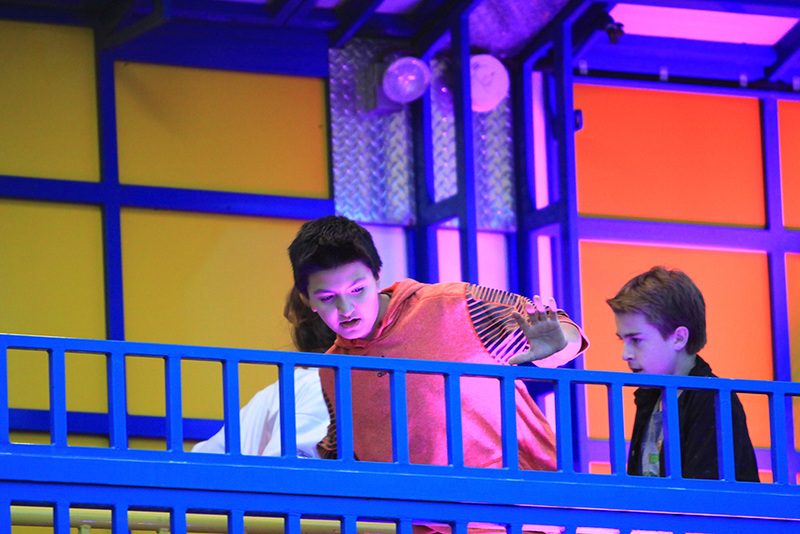 They started adding and experimenting with different events until it finally became what it is today. 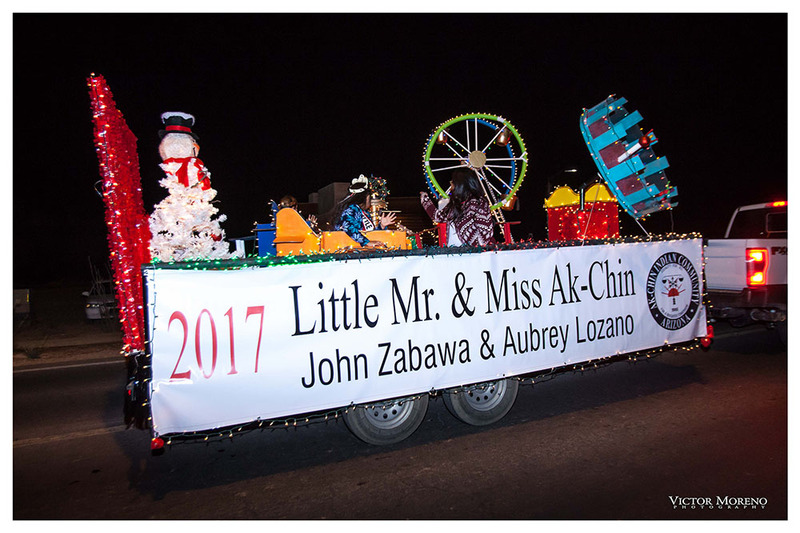 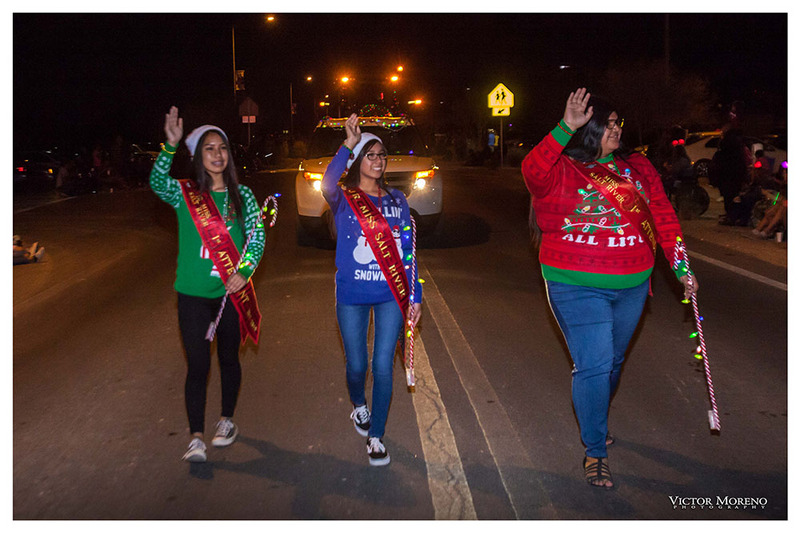 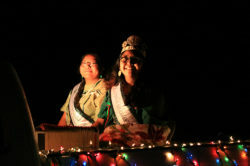 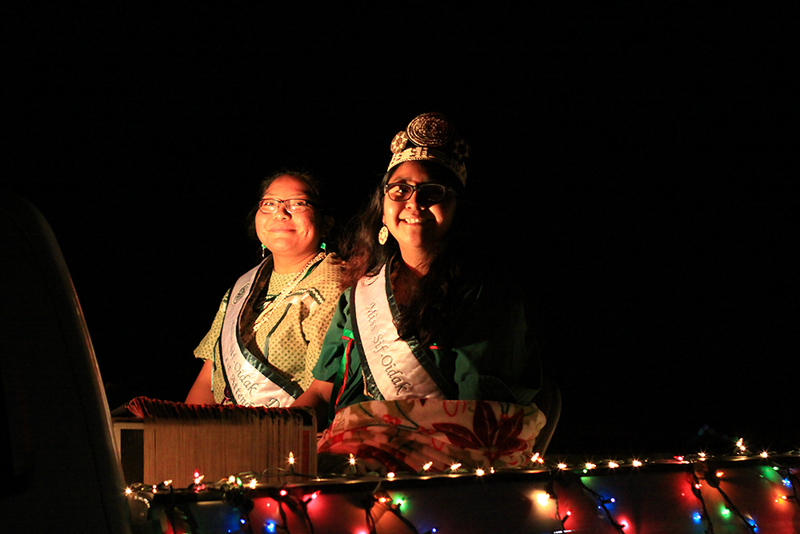 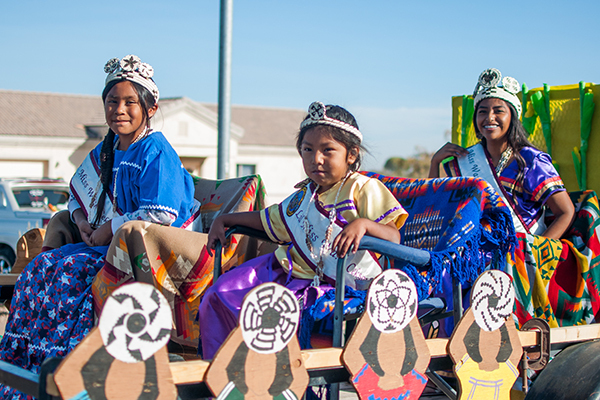 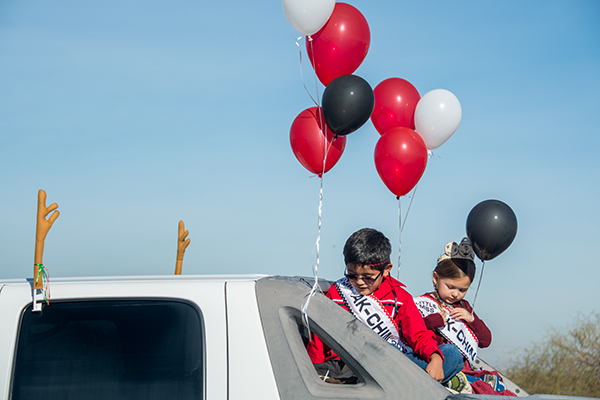 This year the public celebration will appropriately start with the Miss Ak-Chin and Junior Miss Ak-Chin beauty pageants Dec. 2, followed by the parade Dec. 3, at 7 p.m. 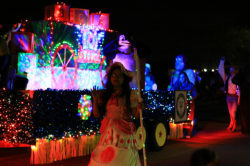 The parade will be a “parade of lights” this year, Lopez said. 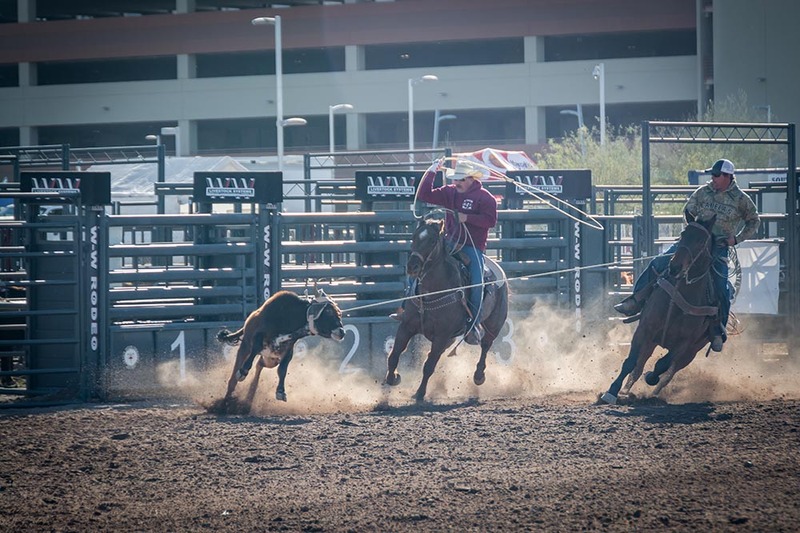 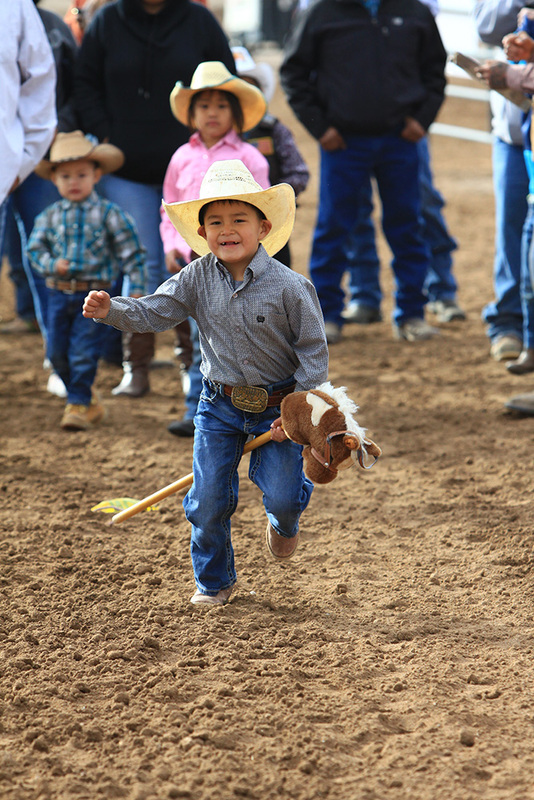 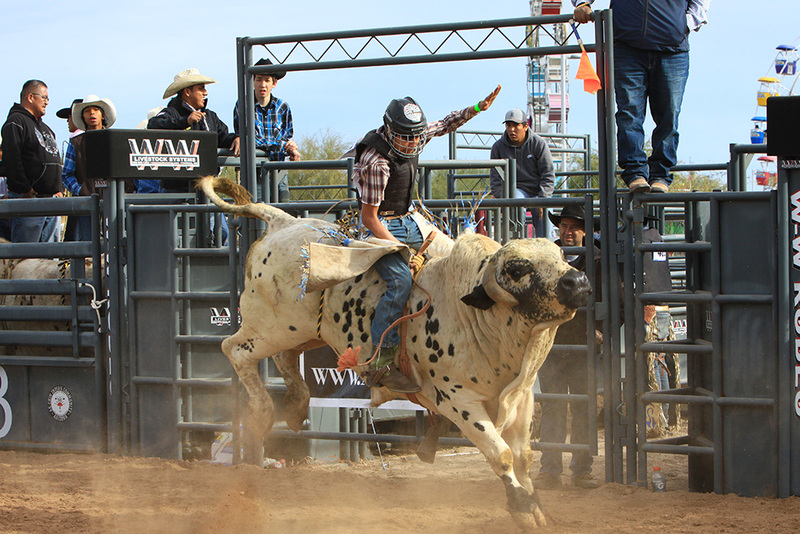 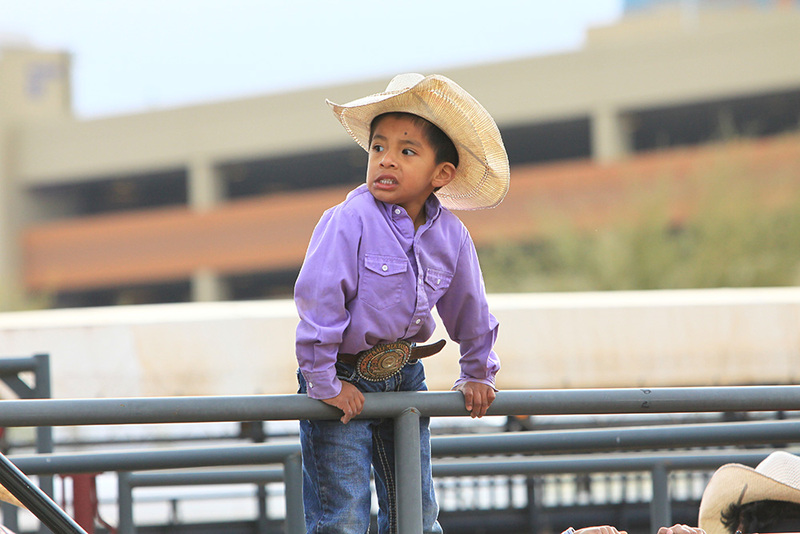 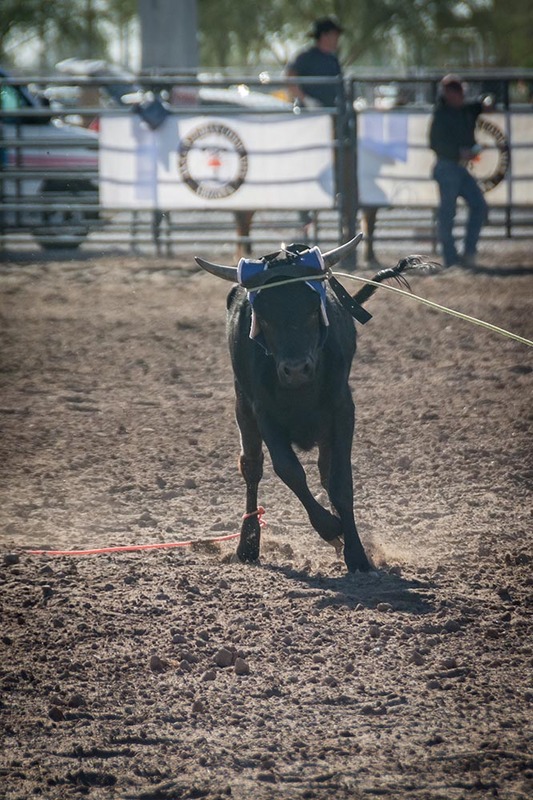 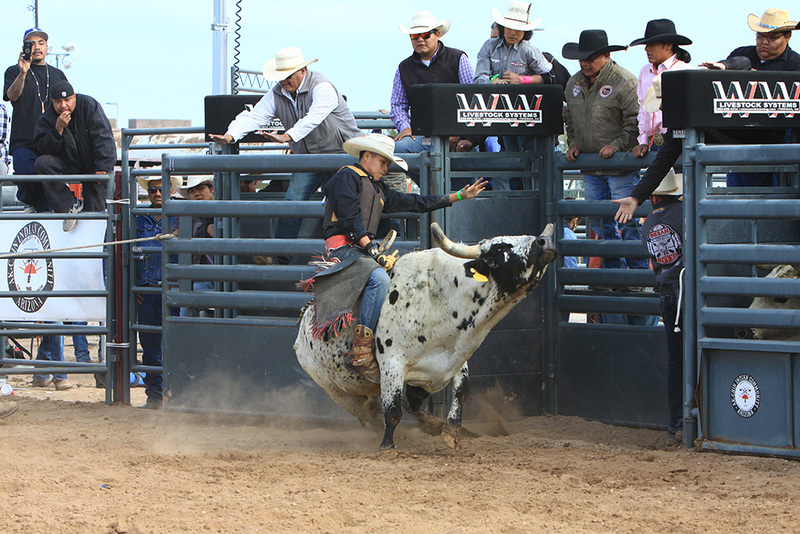 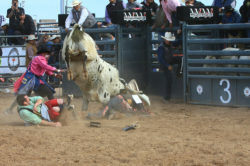 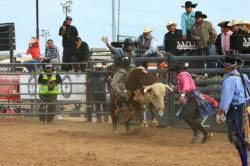 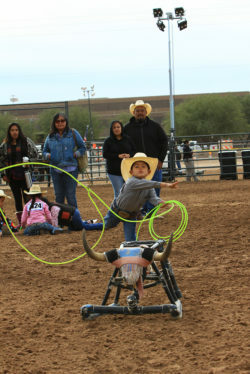 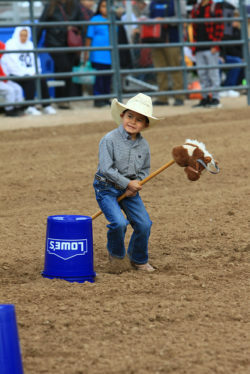 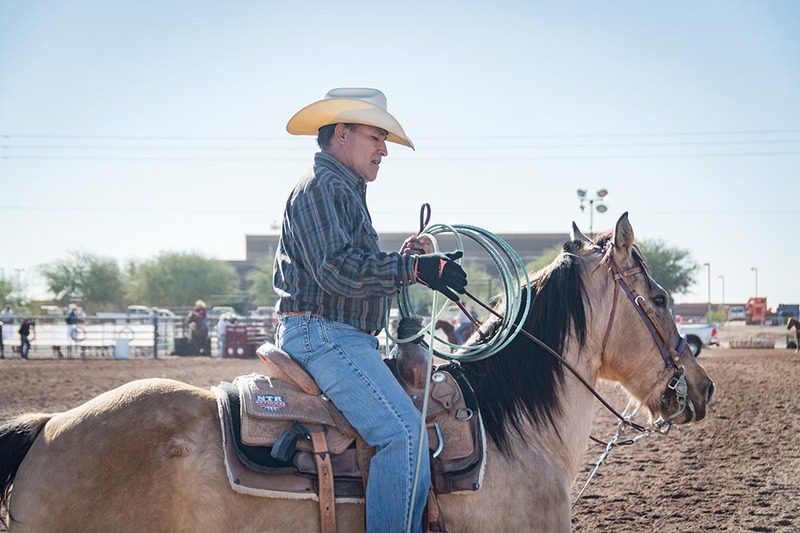 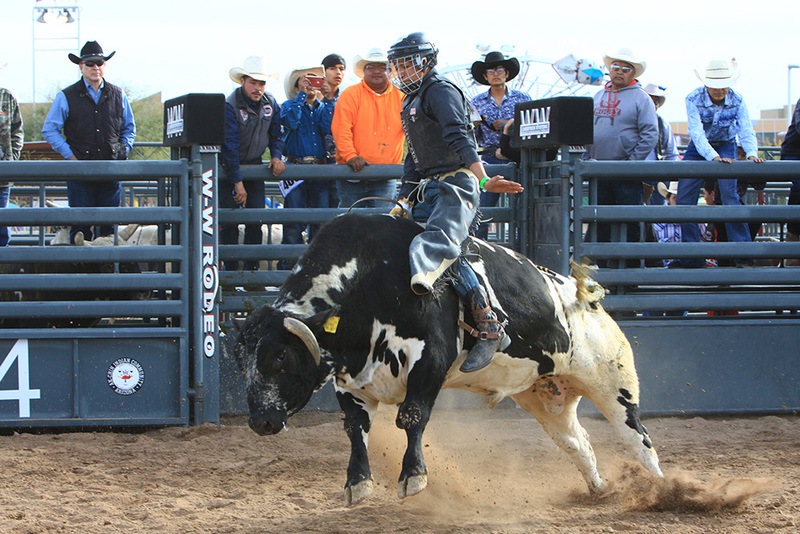 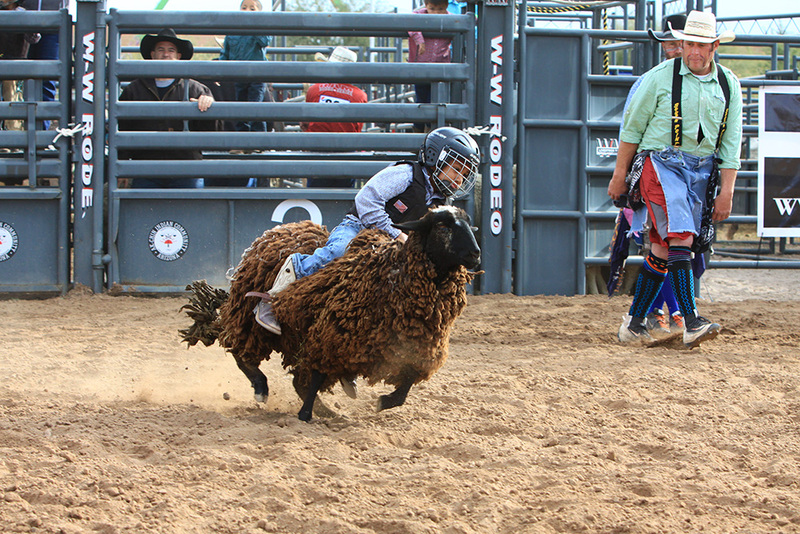 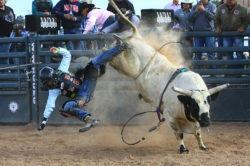 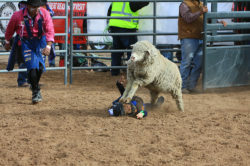 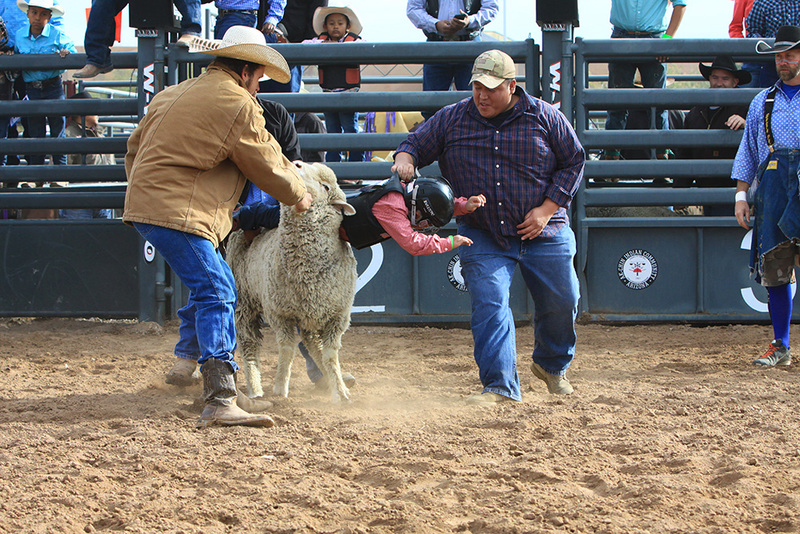 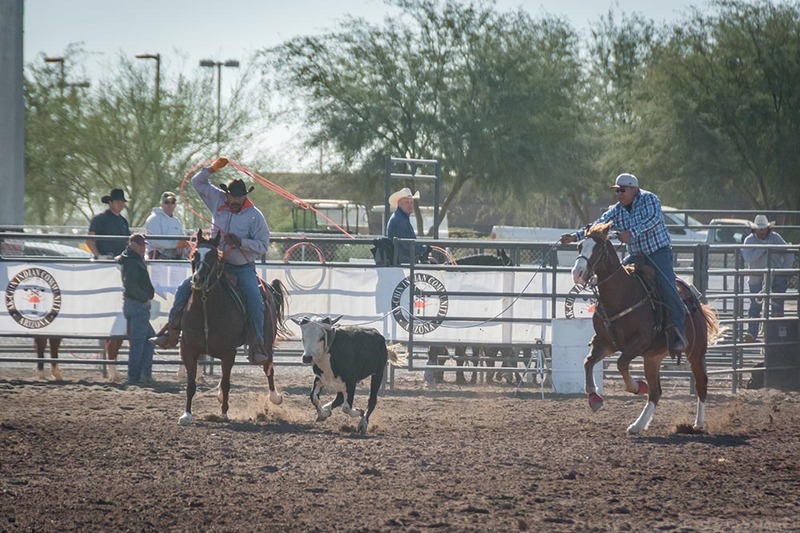 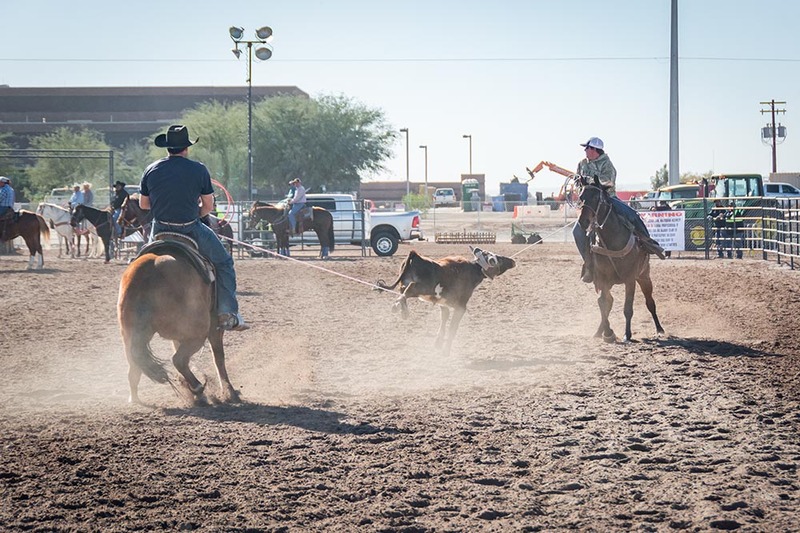 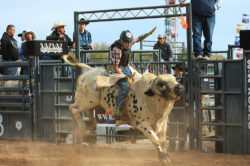 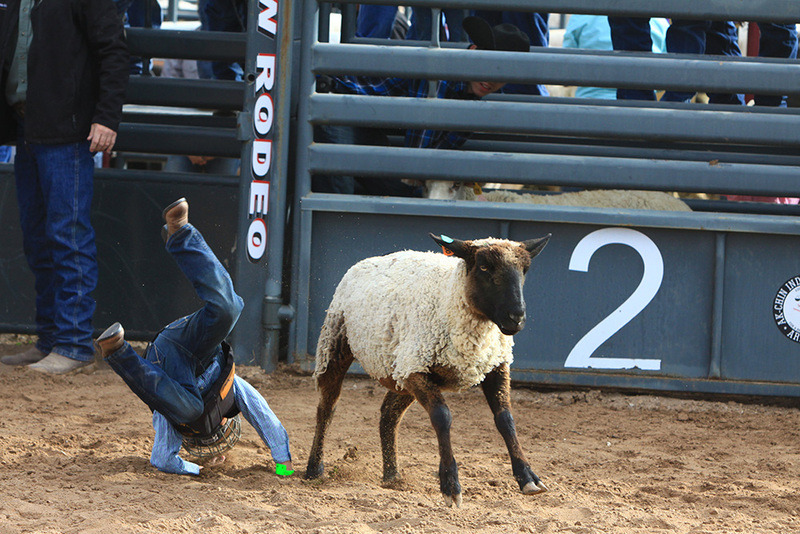 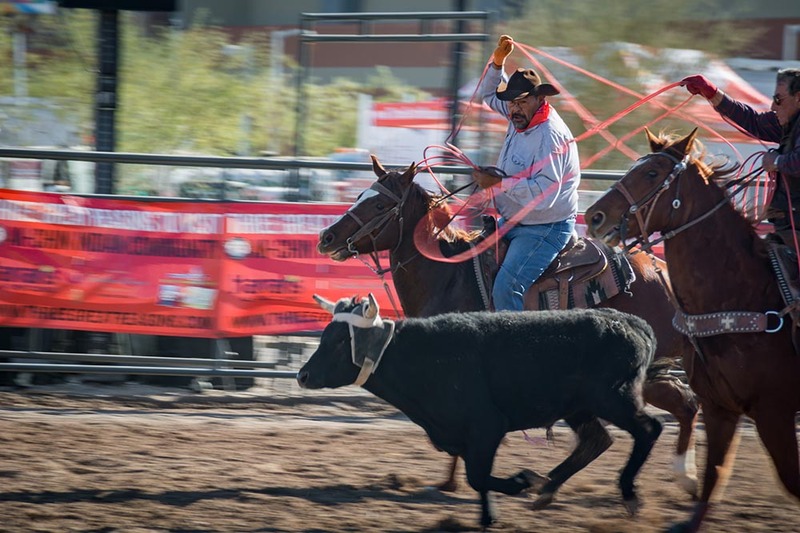 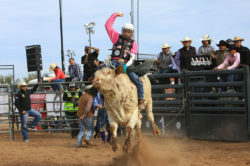 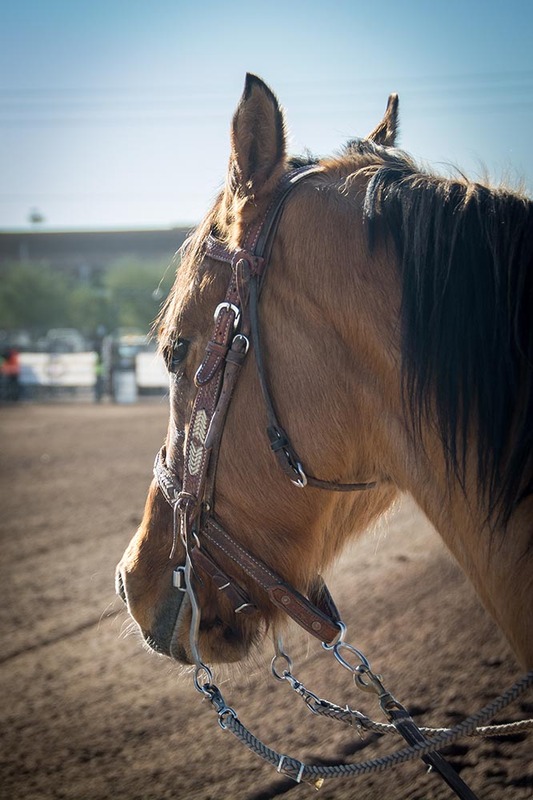 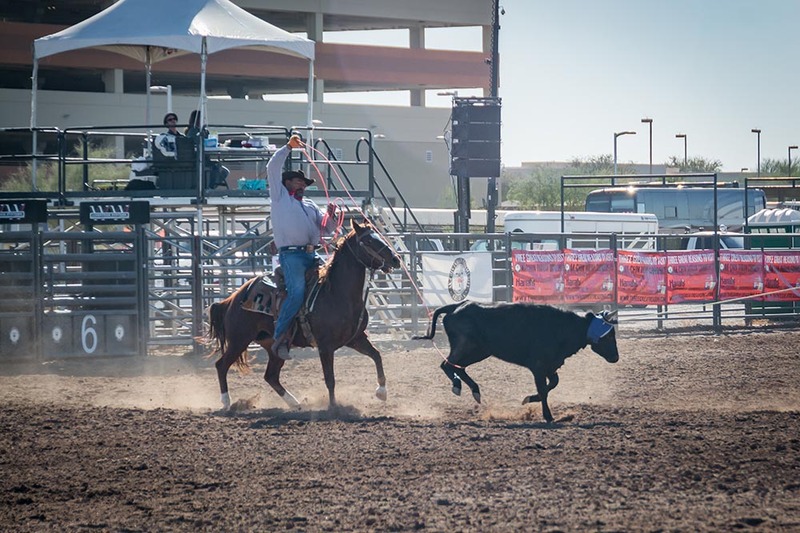 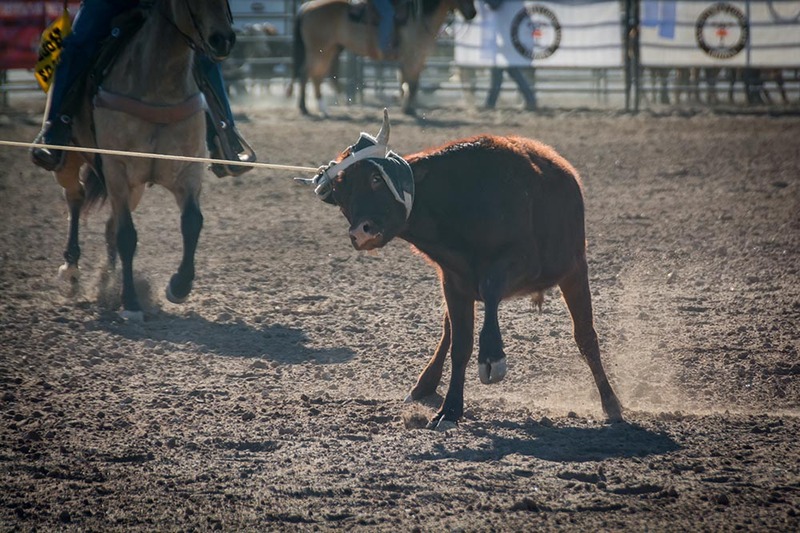 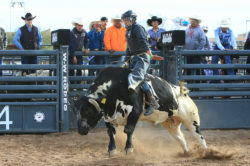 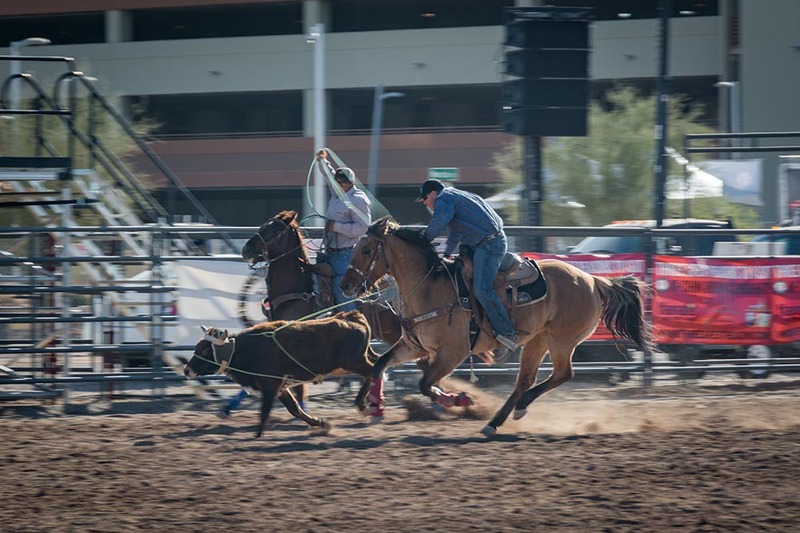 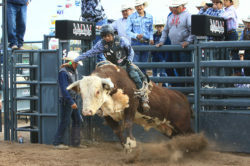 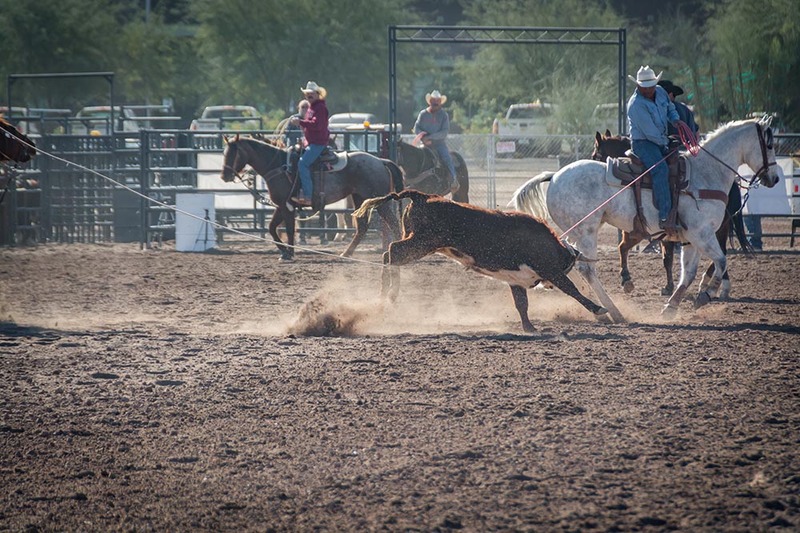 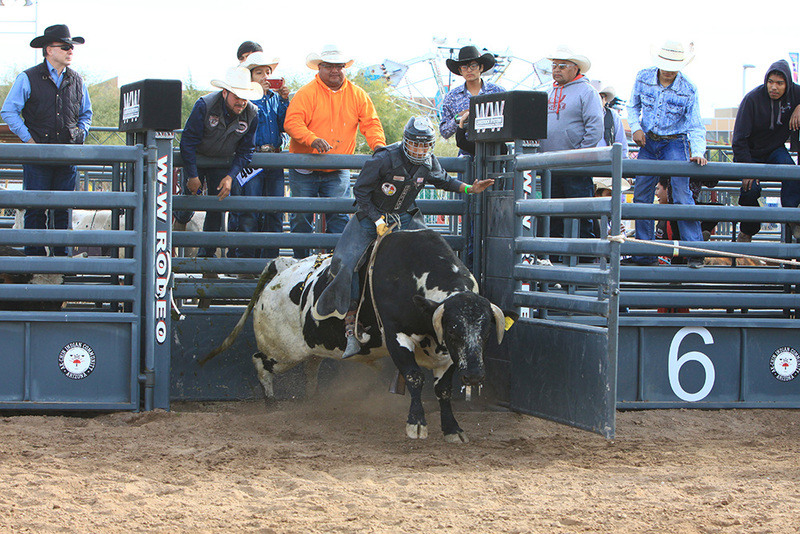 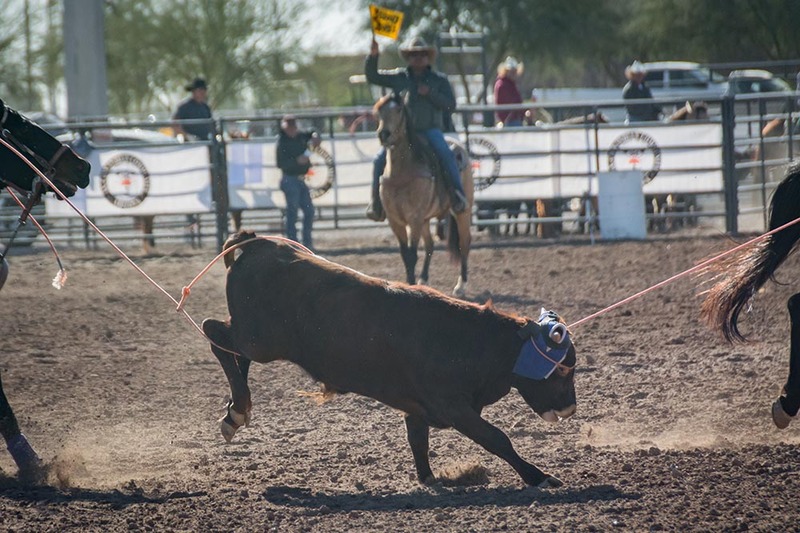 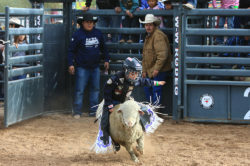 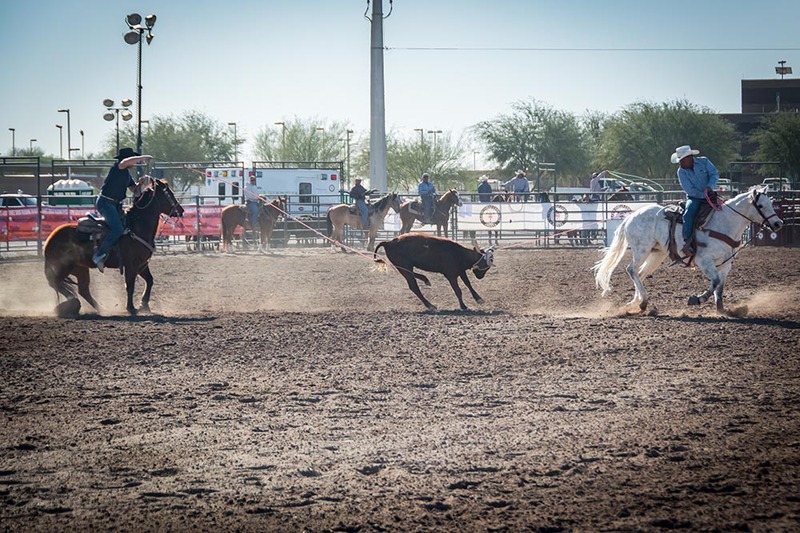 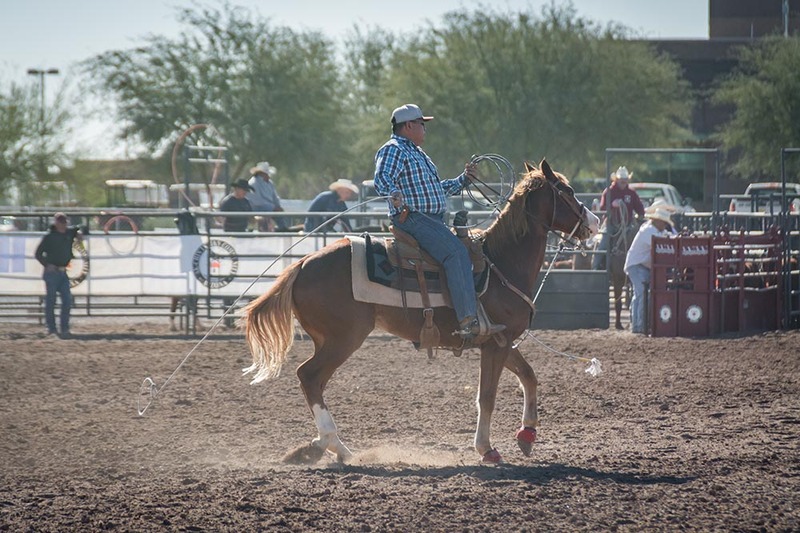 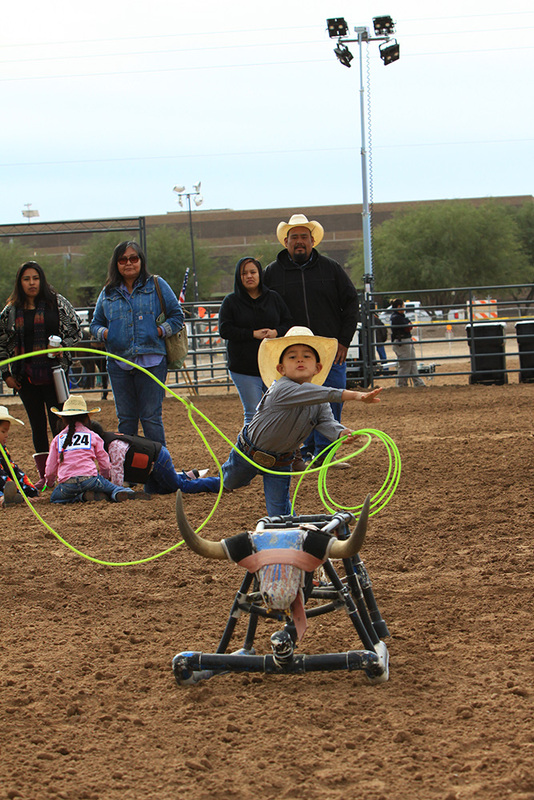 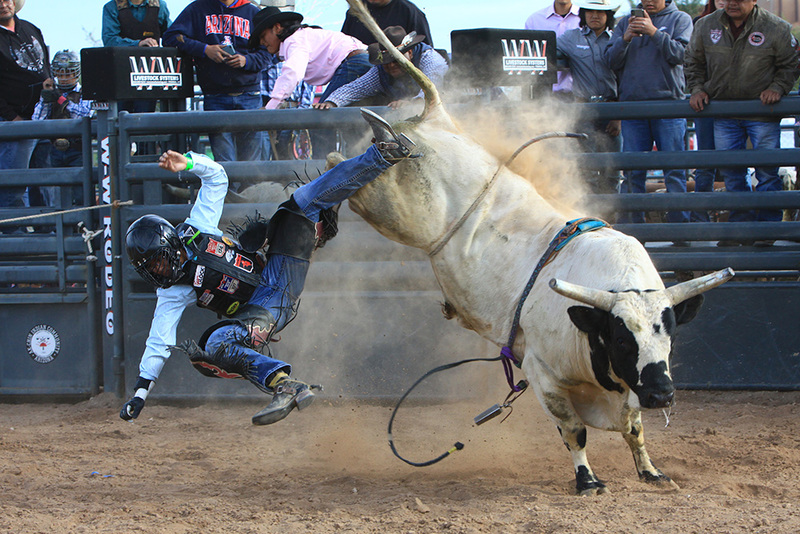 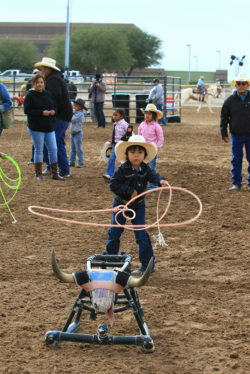 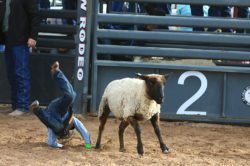 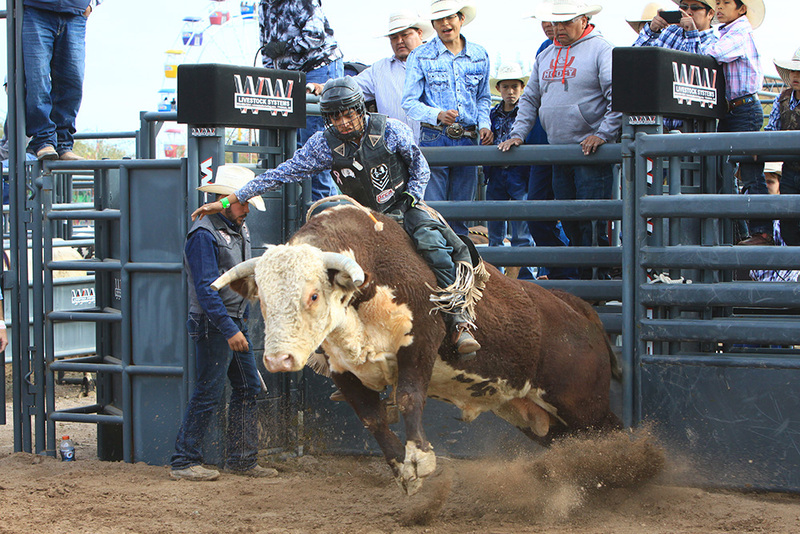 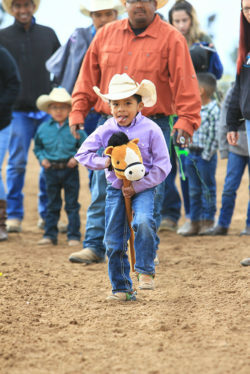 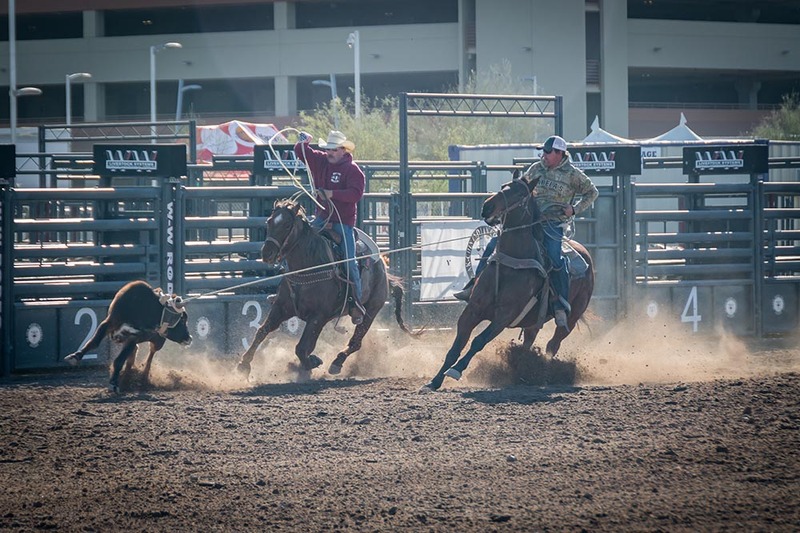 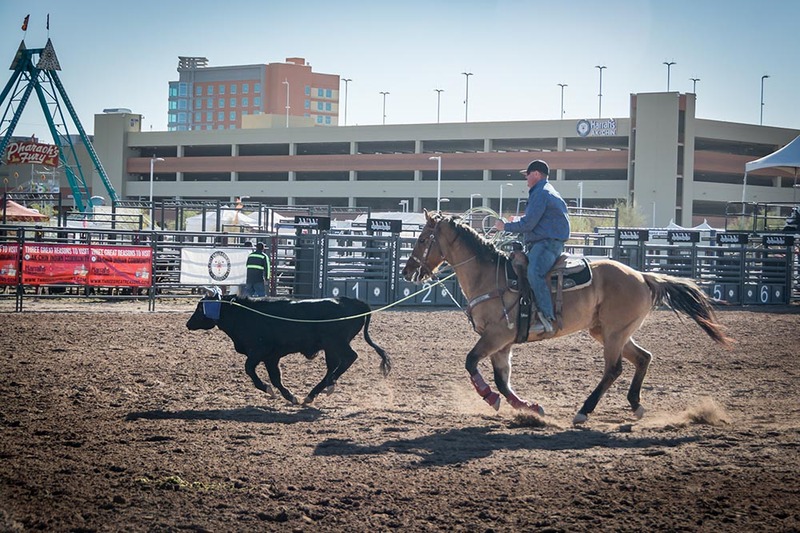 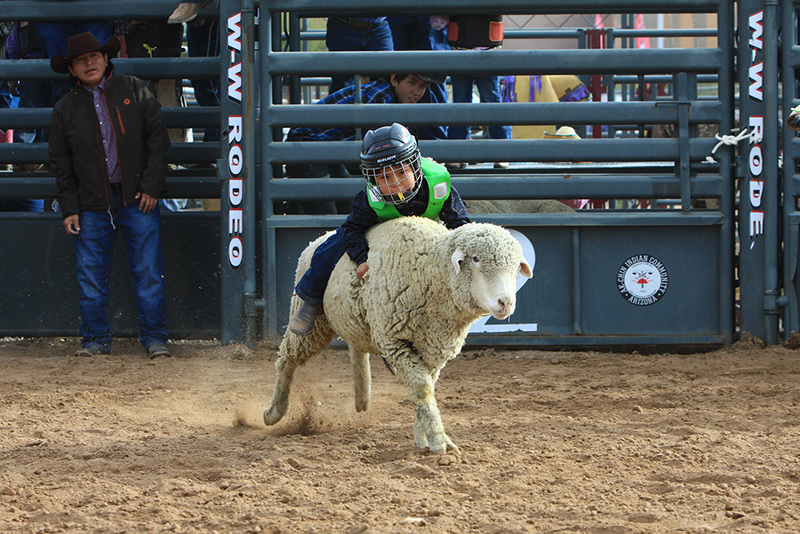 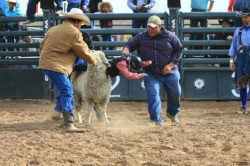 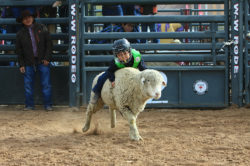 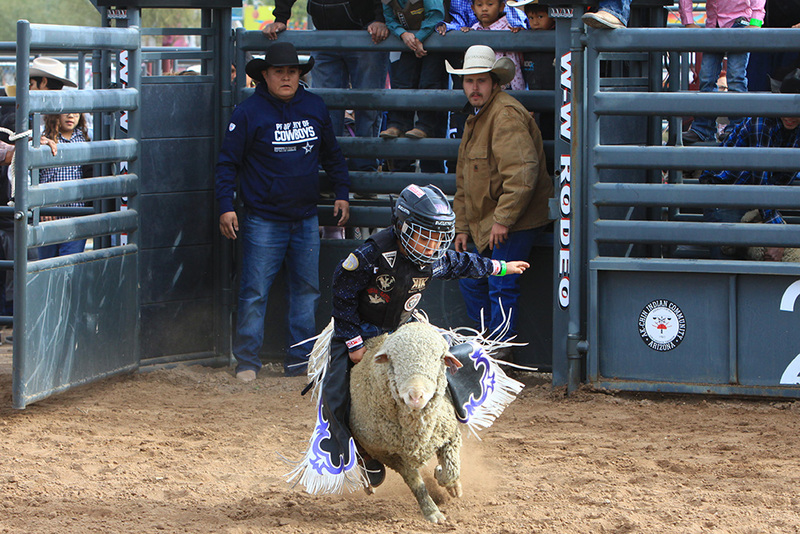 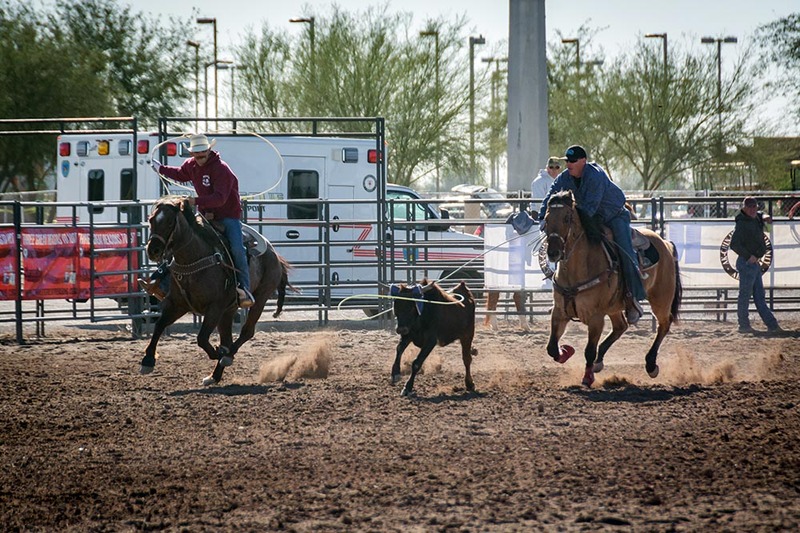 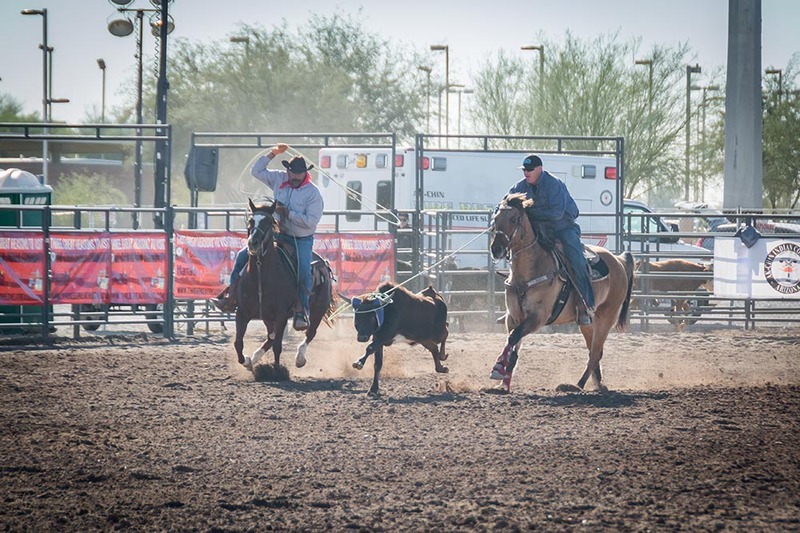 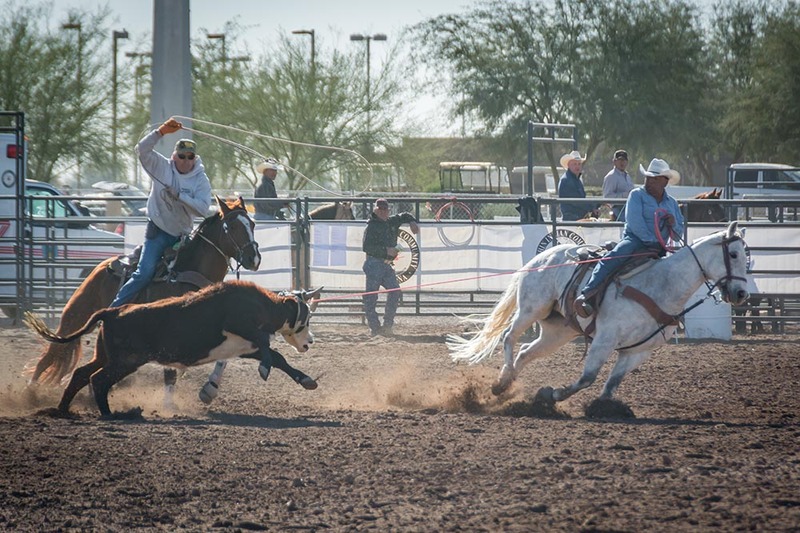 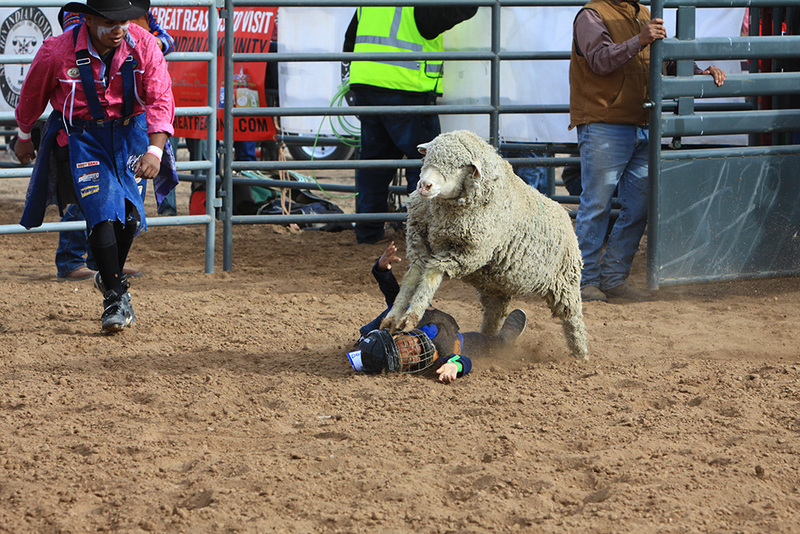 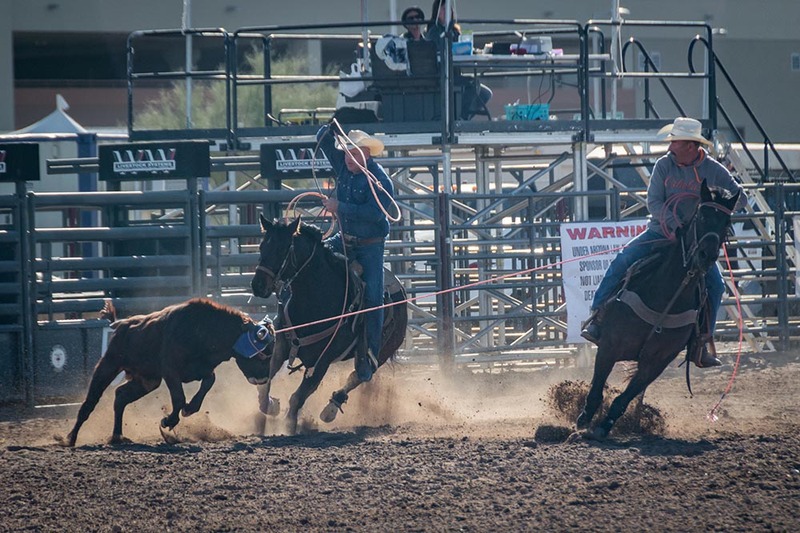 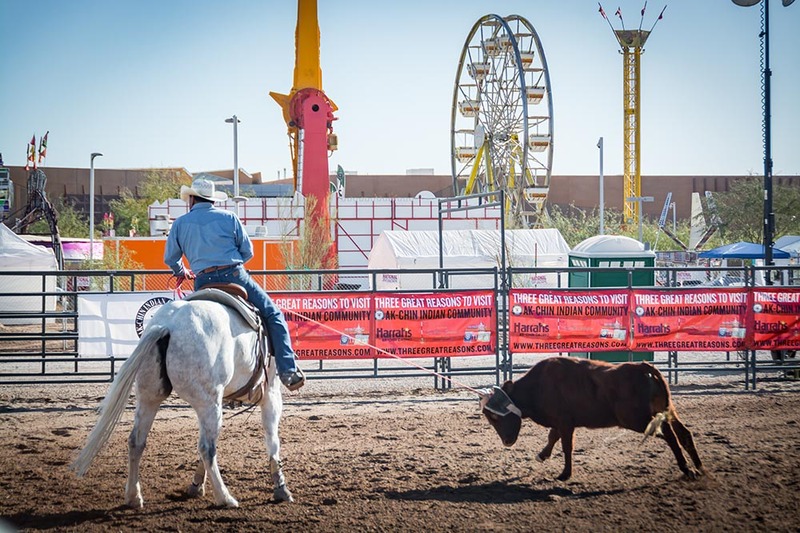 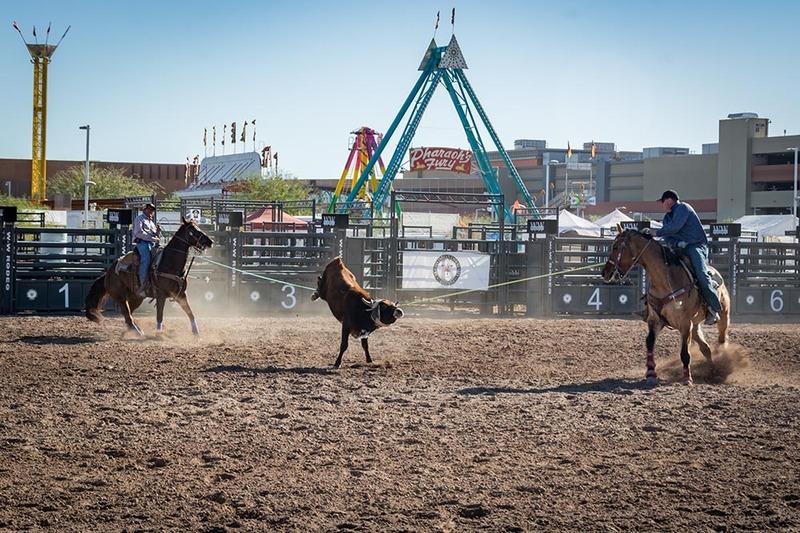 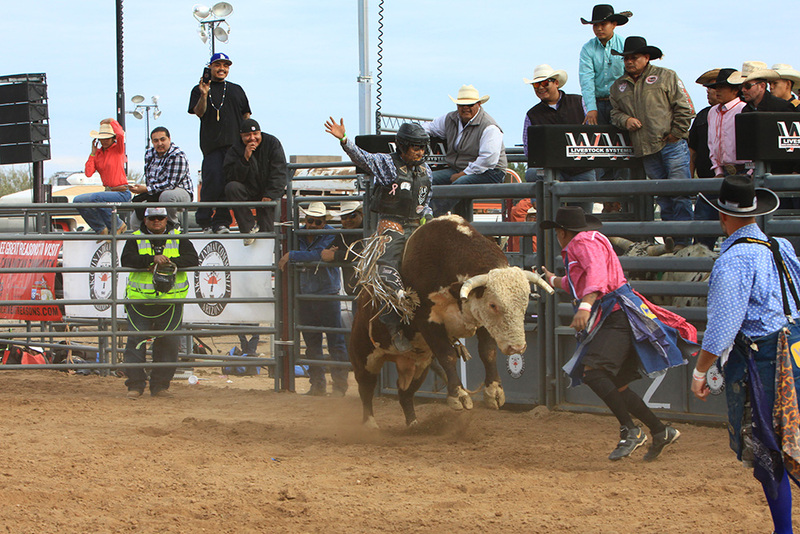 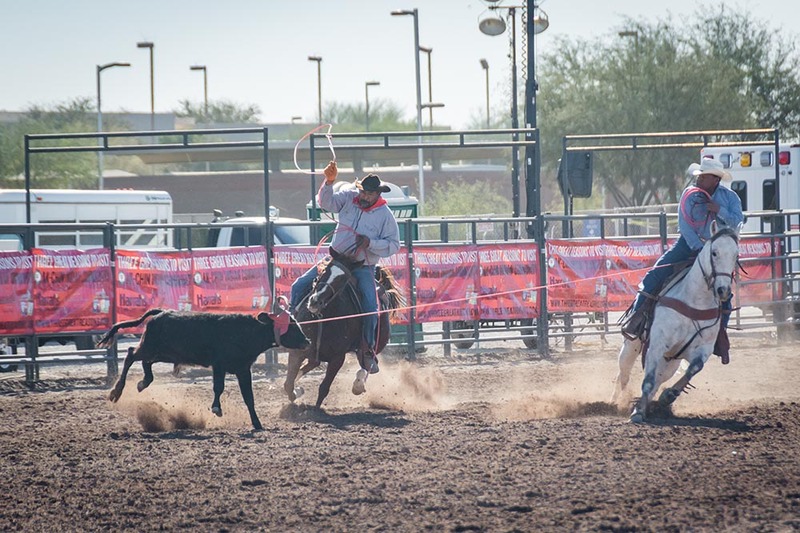 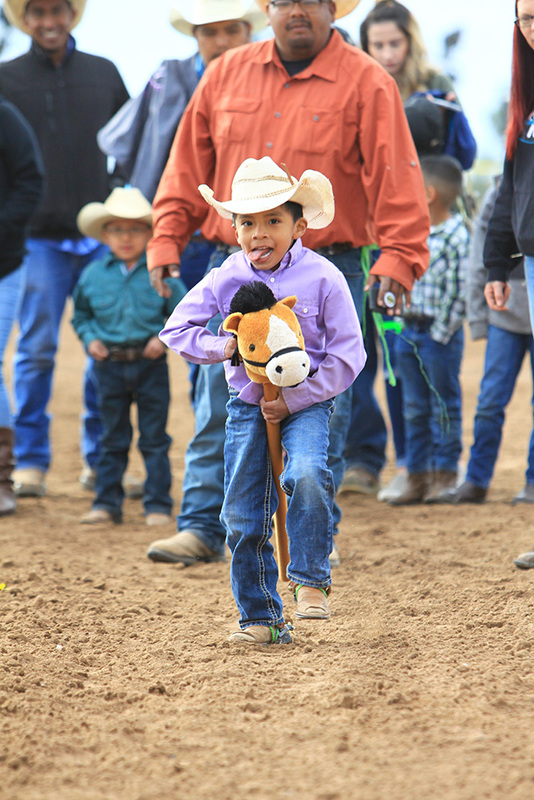 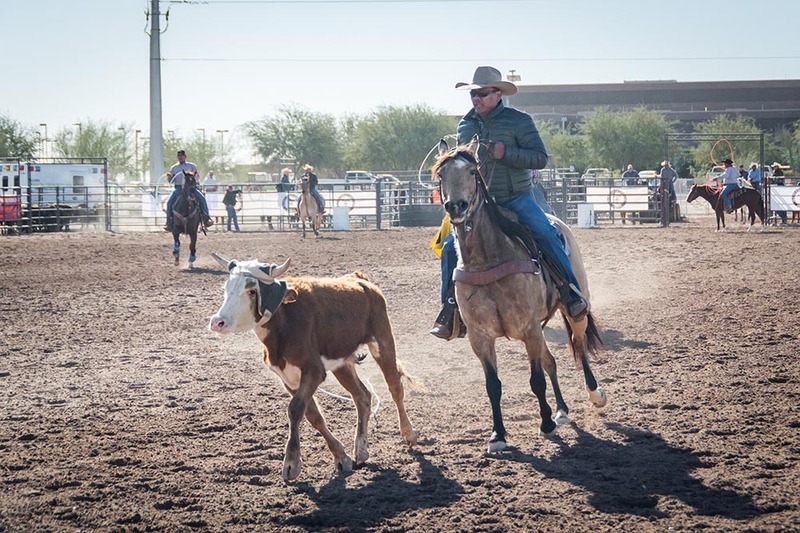 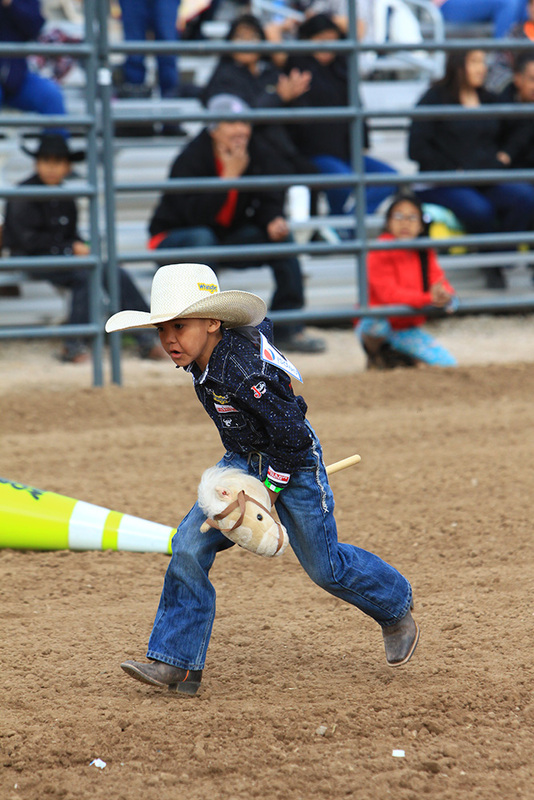 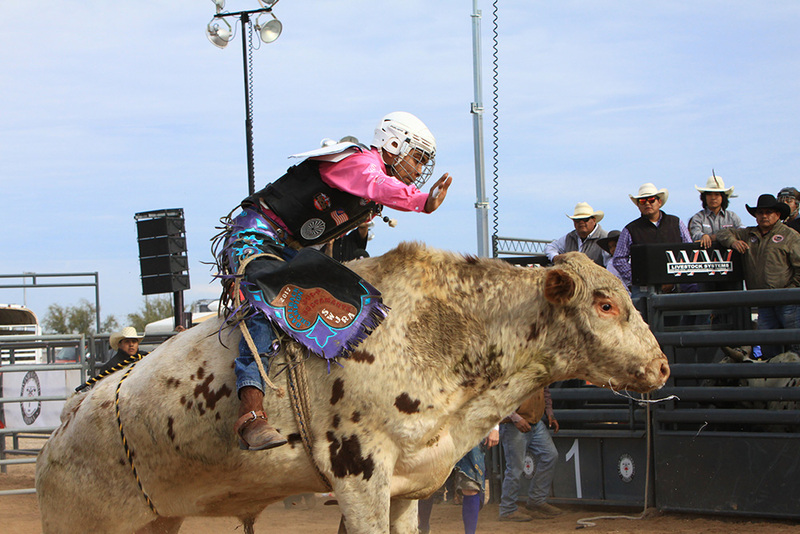 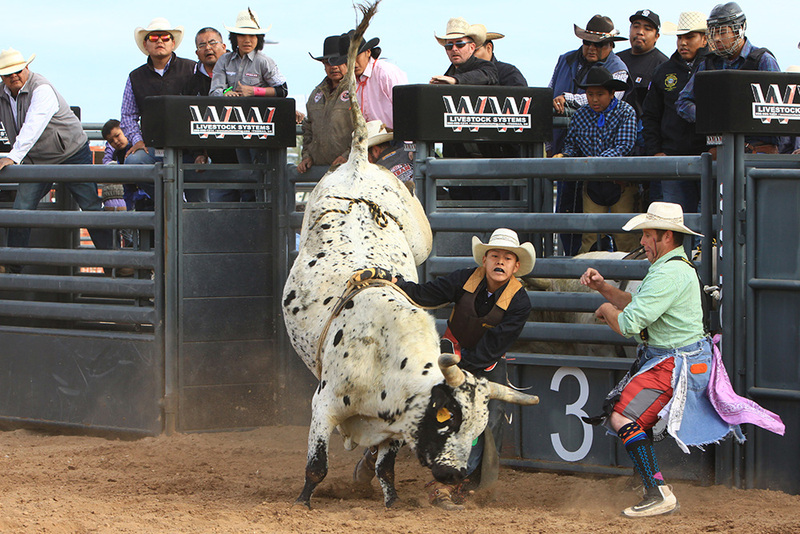 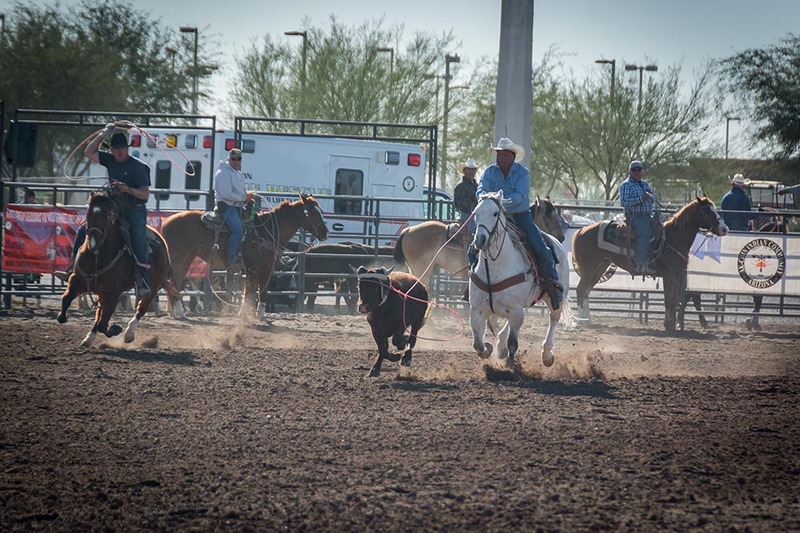 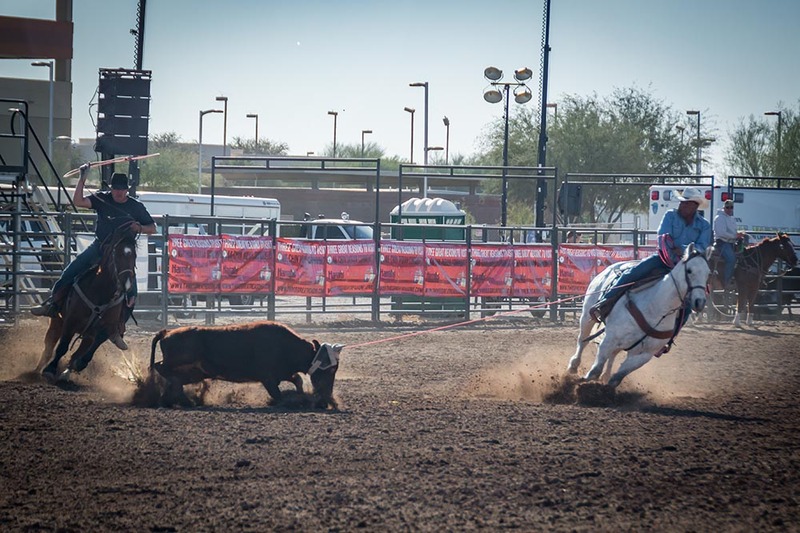 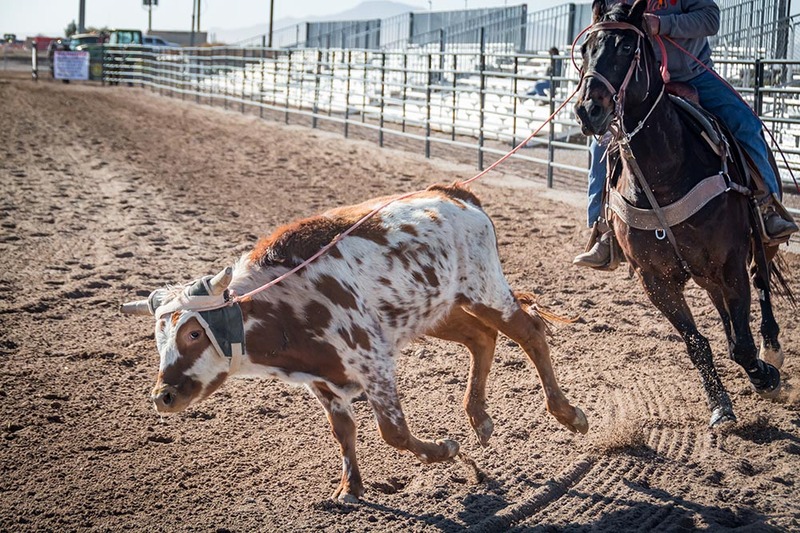 Jackpot roping and other rodeo events will take place at various times Dec. 7-10. 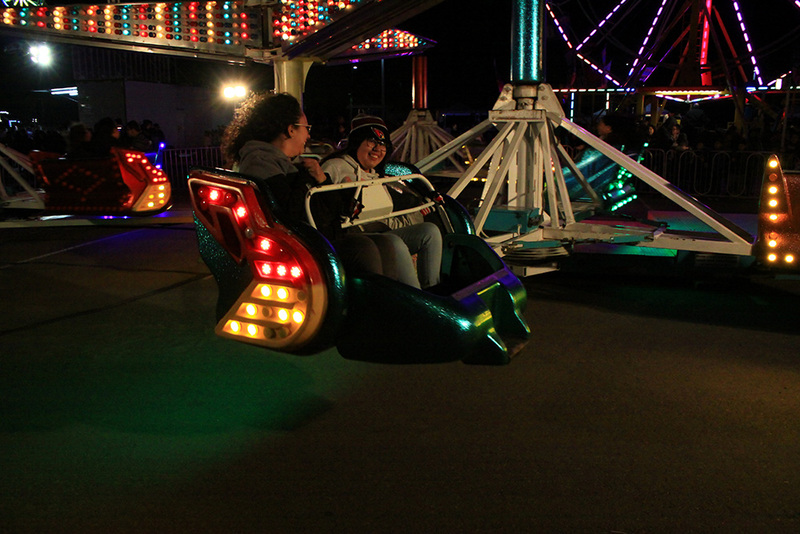 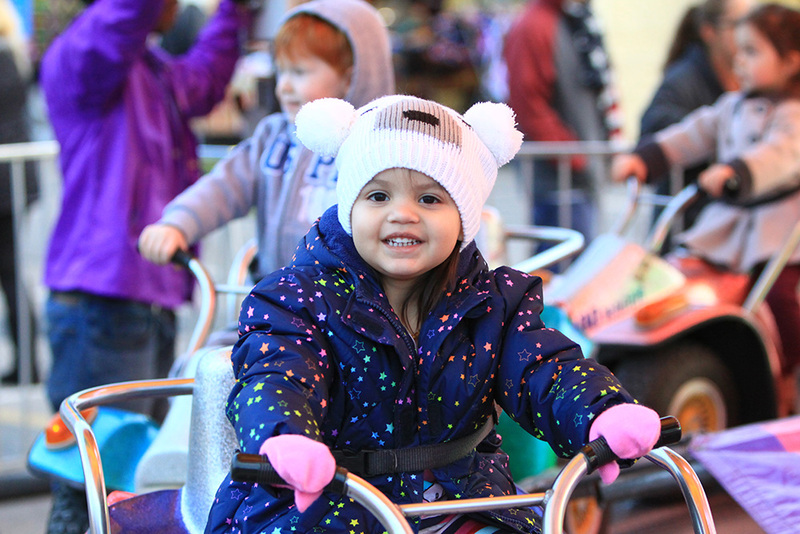 Dec. 8, the Carnival and Fun Zone will open at 4 p.m. followed by live music from Clay Walker, Parmalee, Kasey Tyndel and a special mystery guest. 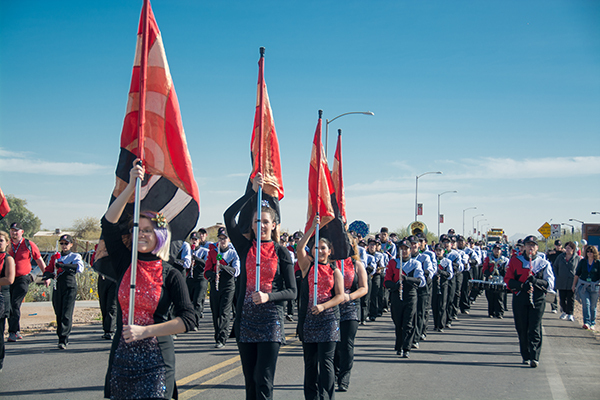 Event dates and times are tentative. Ak-Chin Indian Community’s Masik Tas included a parade Dec. 10 down Farrell Road.